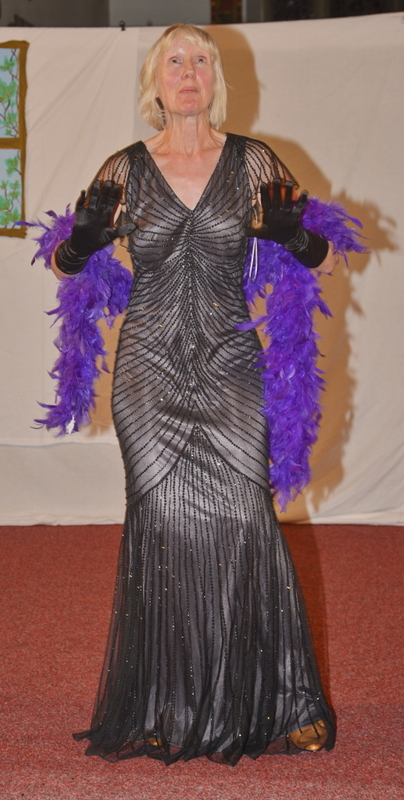 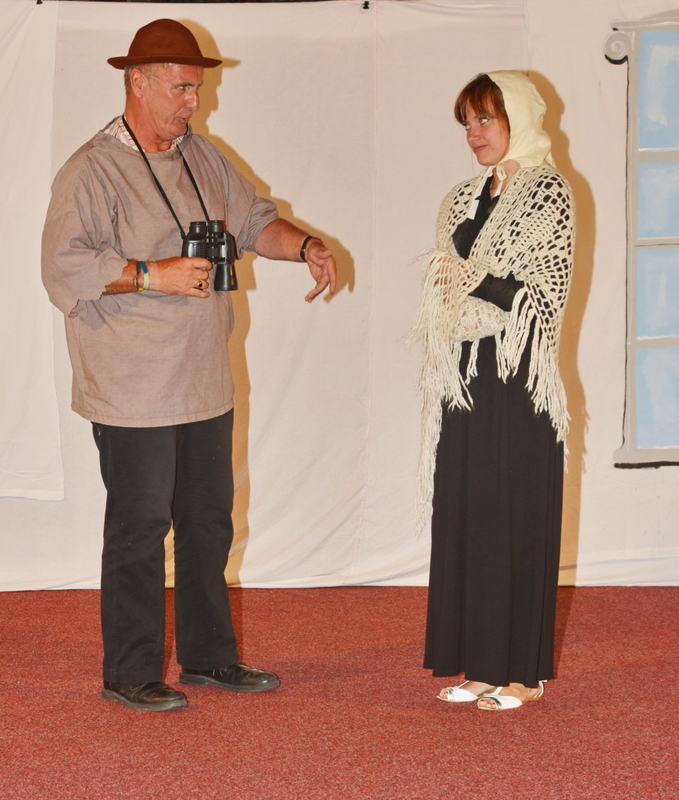 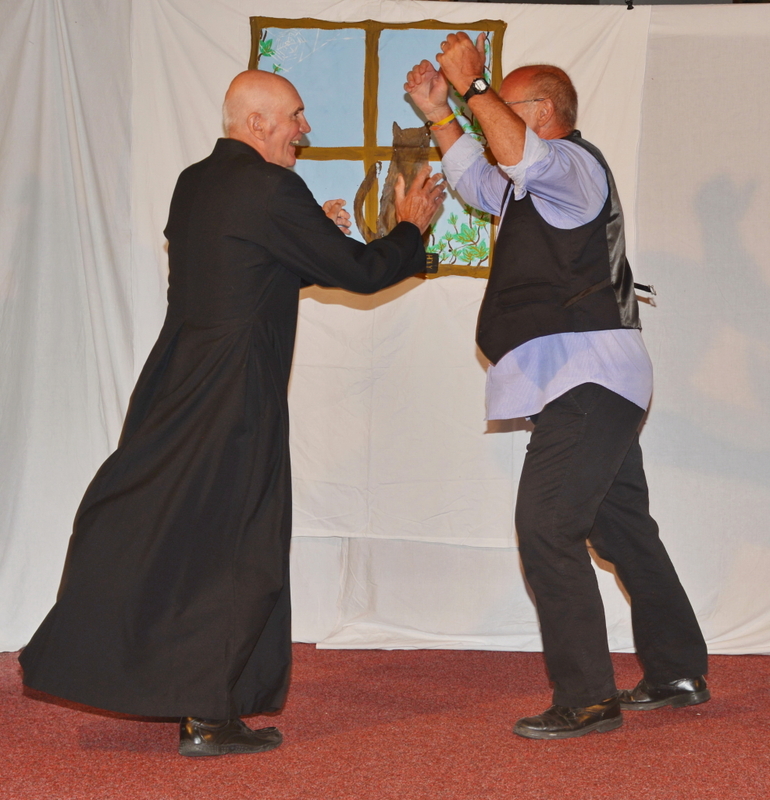 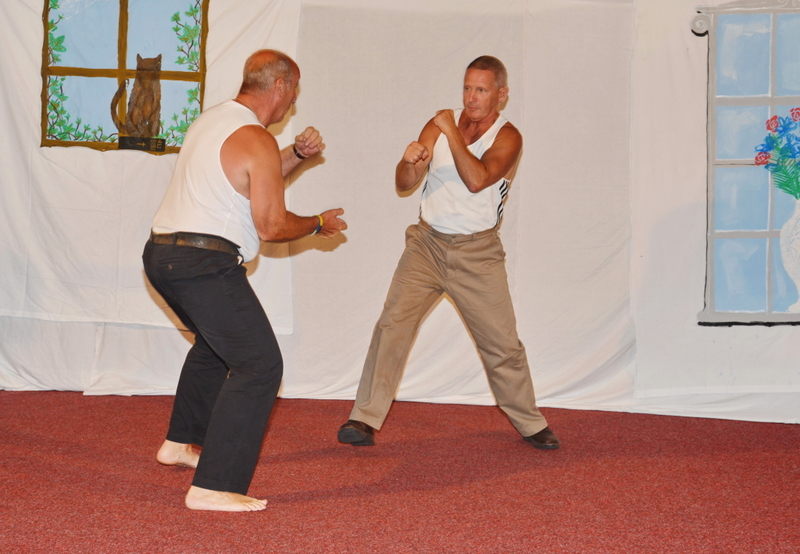 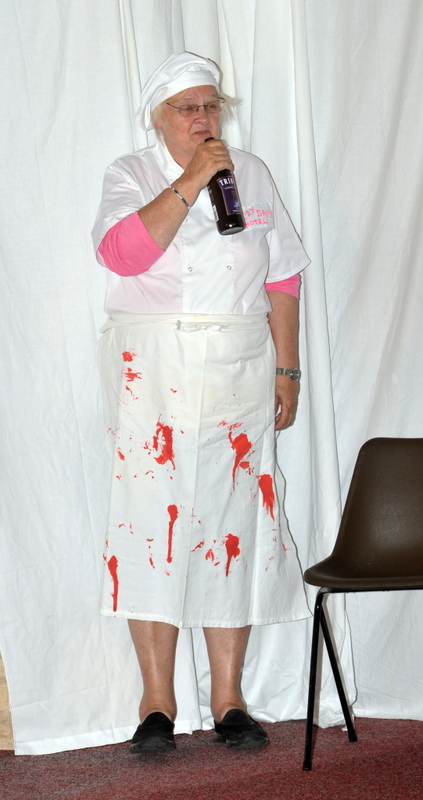 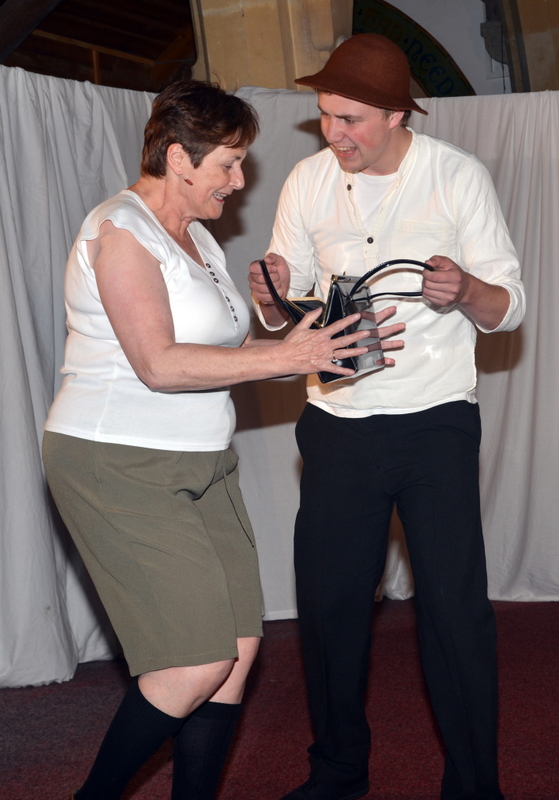 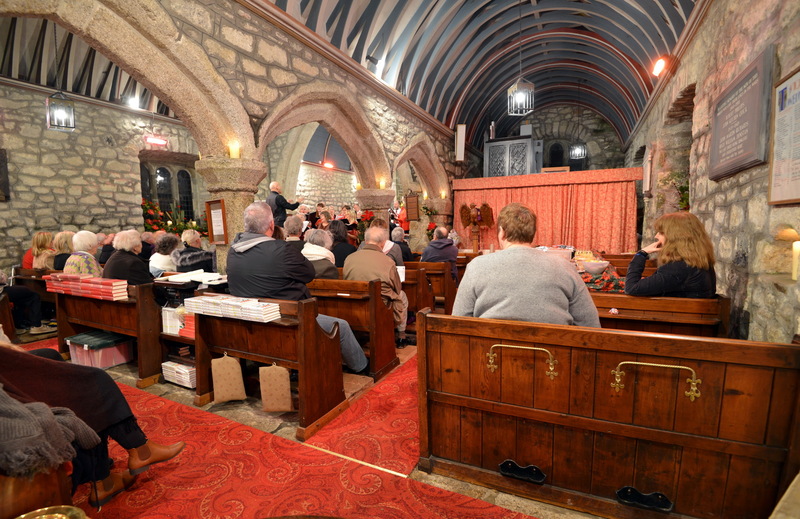 Feel free to browse through the photos below. 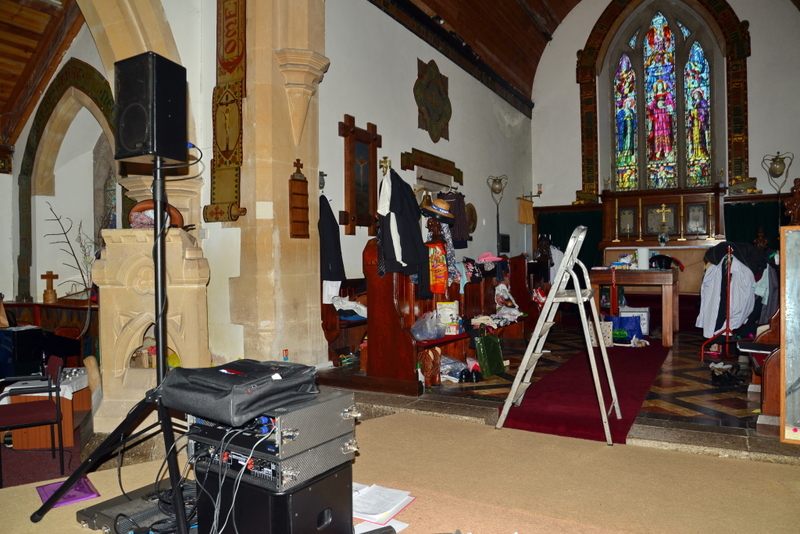 They are kept in chronological order. 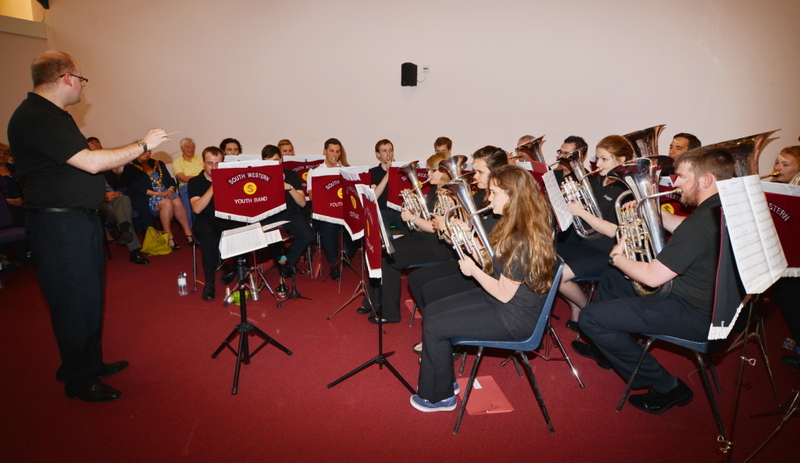 If you have any photos of the choir during practices or at concert or social events, please send to the webmaster. 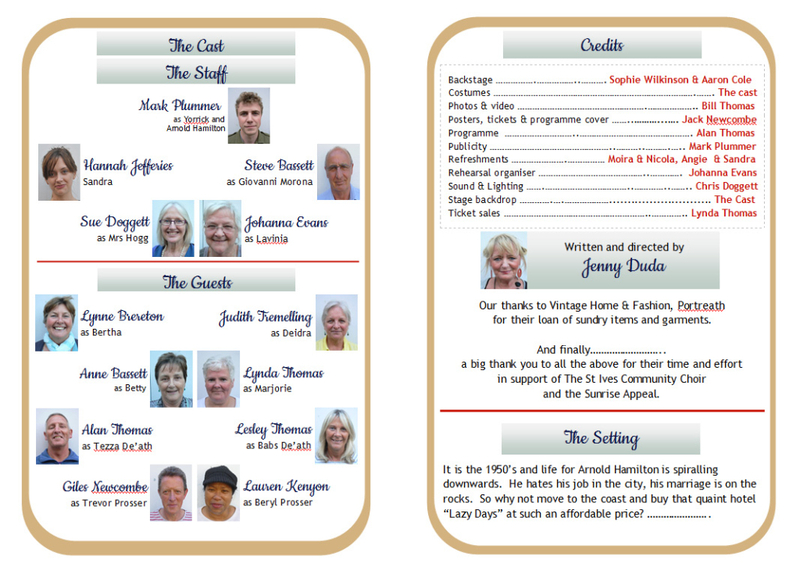 The email address is in the footer. 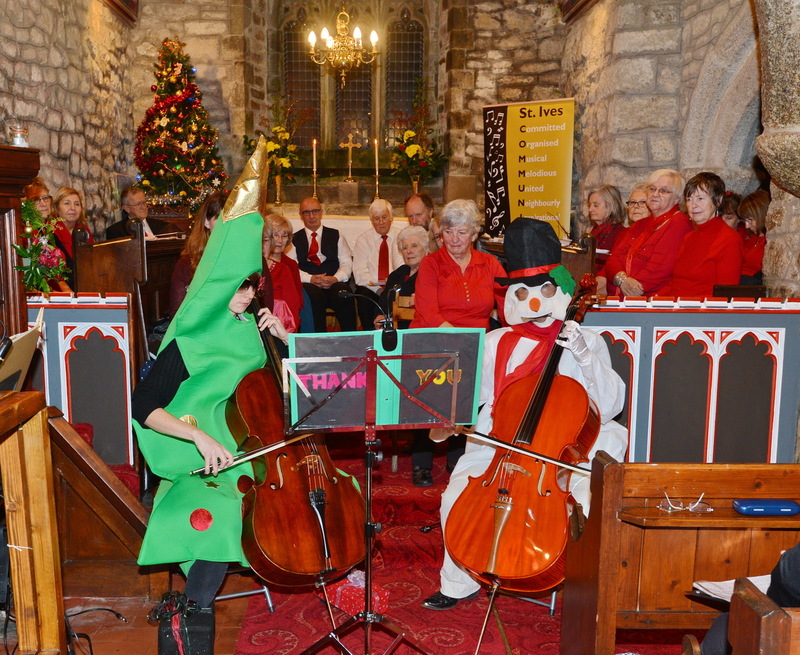 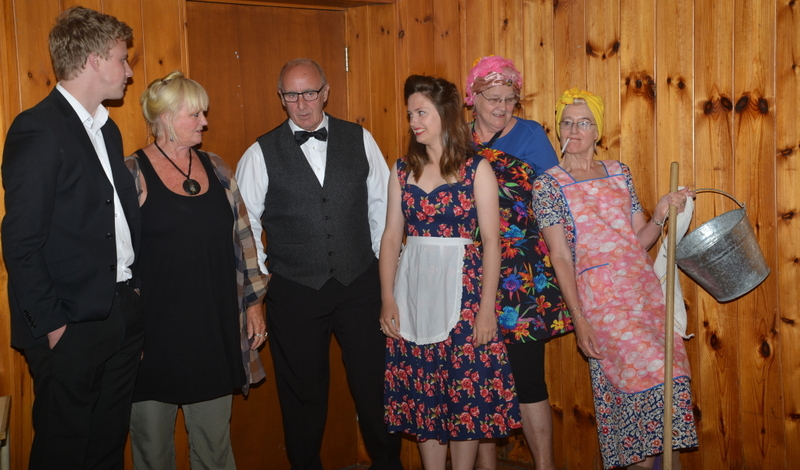 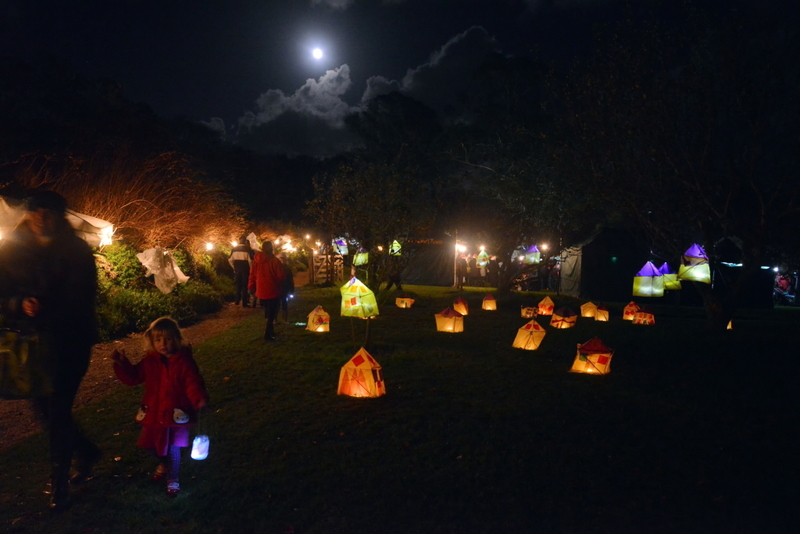 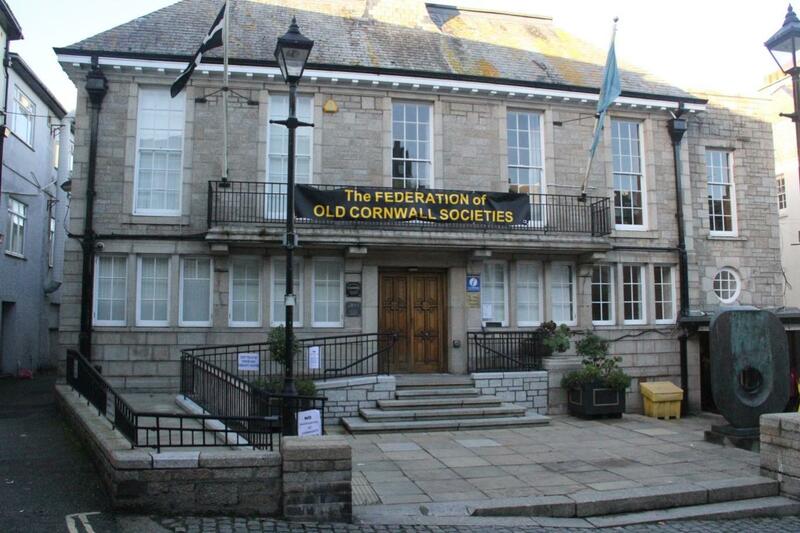 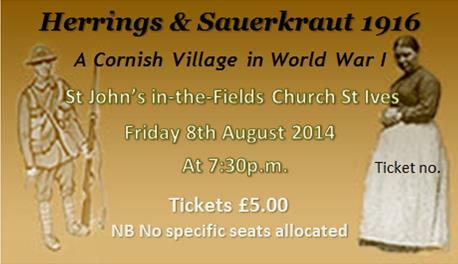 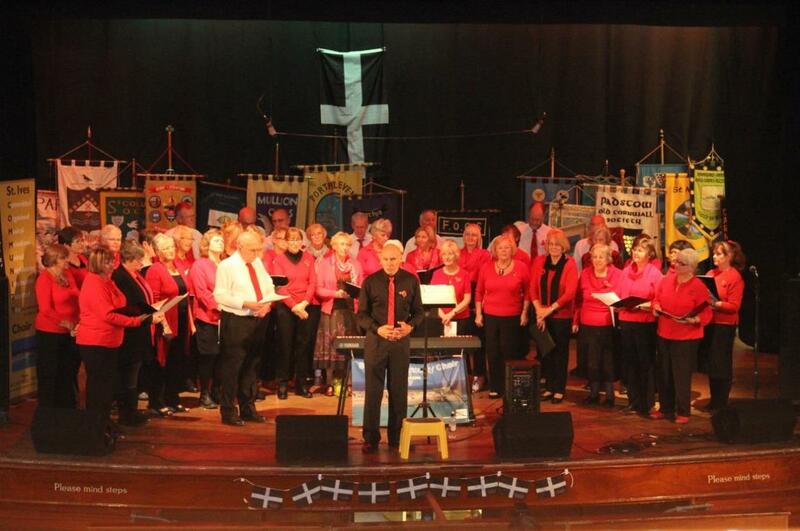 The Old Cornwall Society invited us to perform the finale at this event. 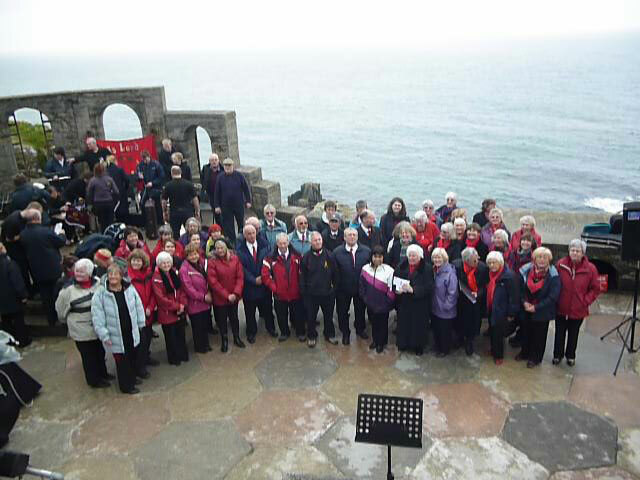 In its 11th year the choir has its 1st tour. 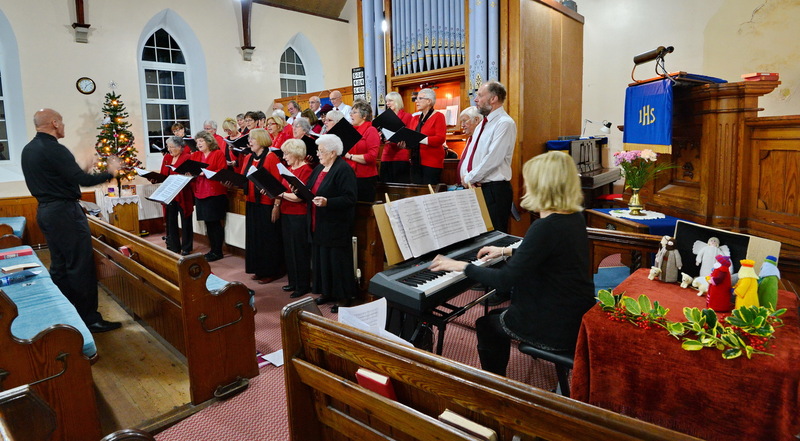 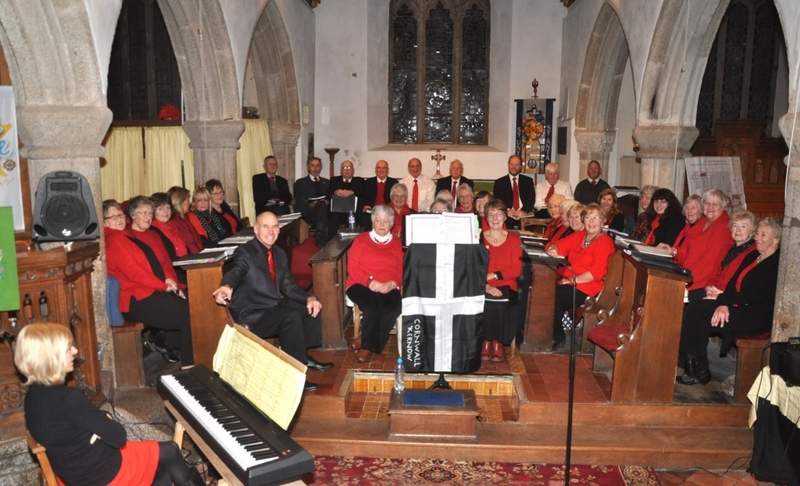 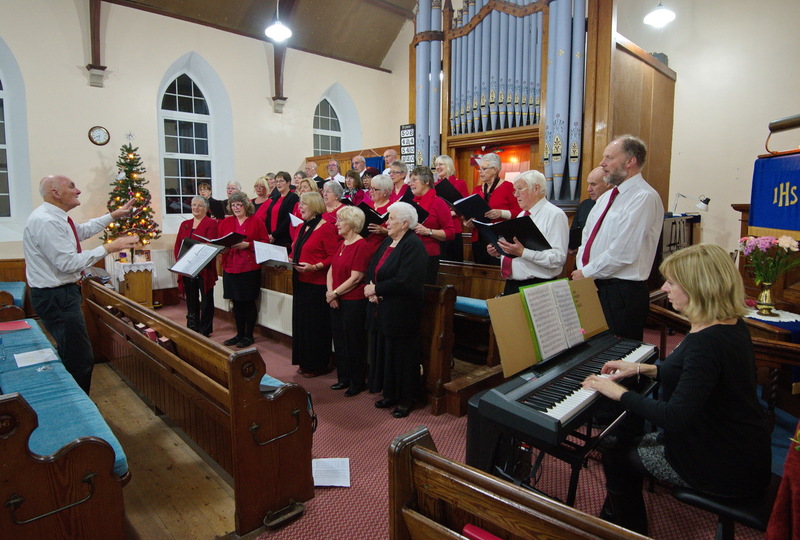 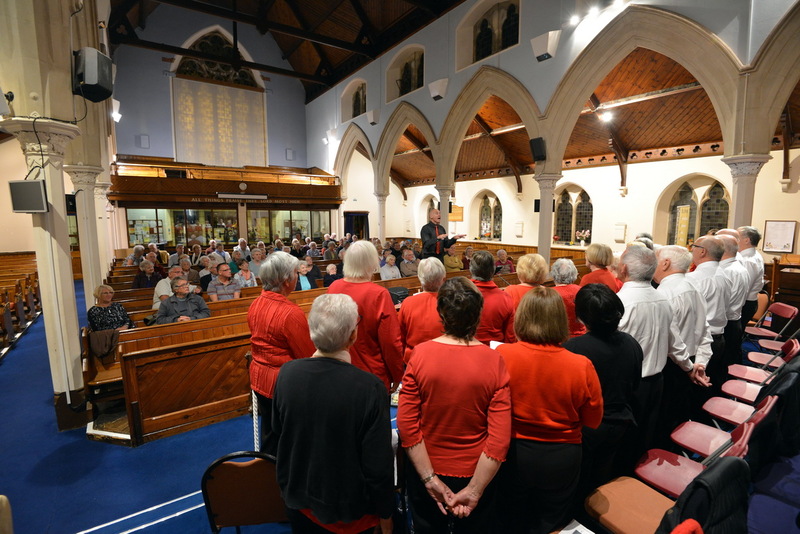 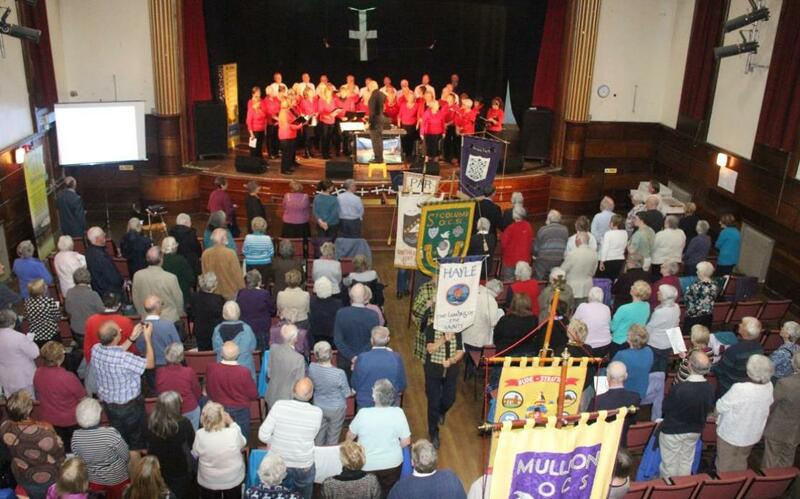 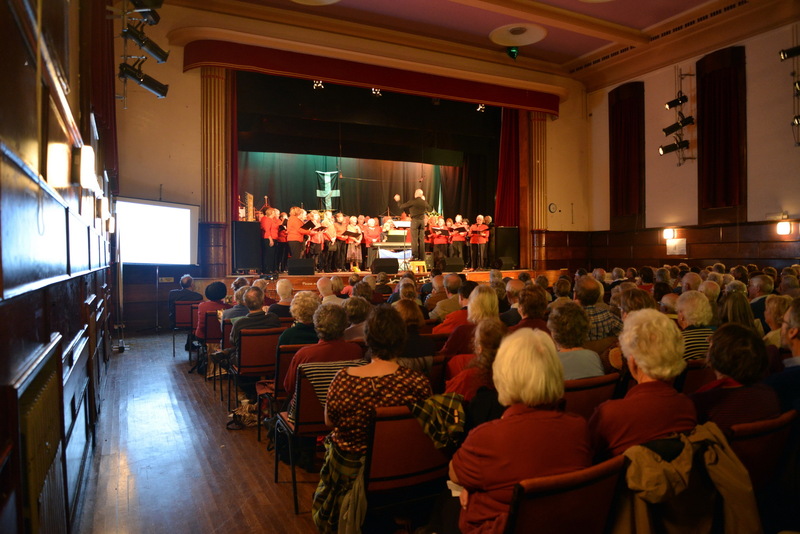 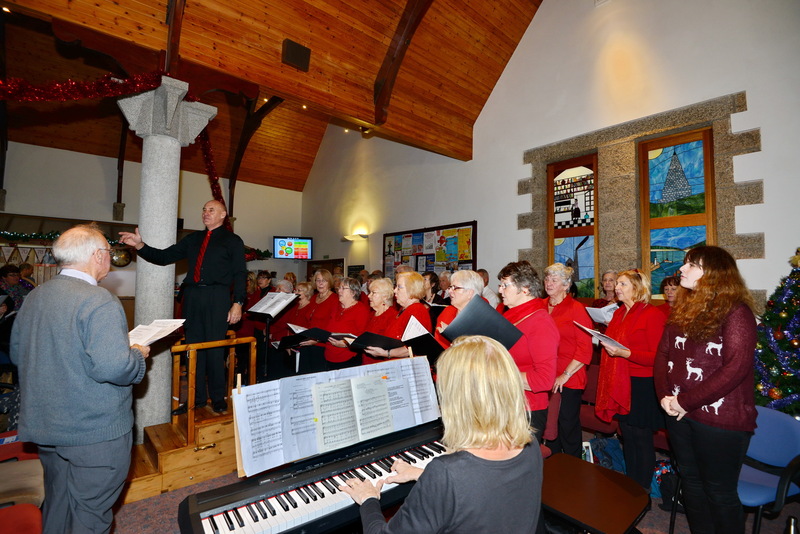 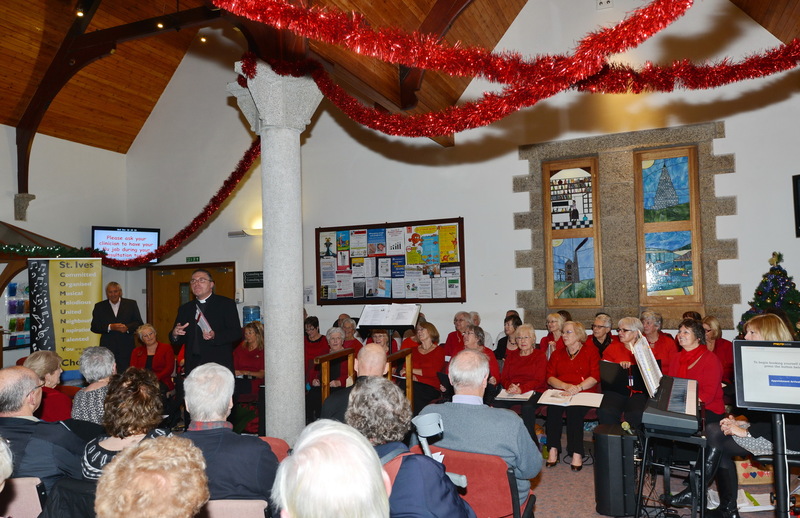 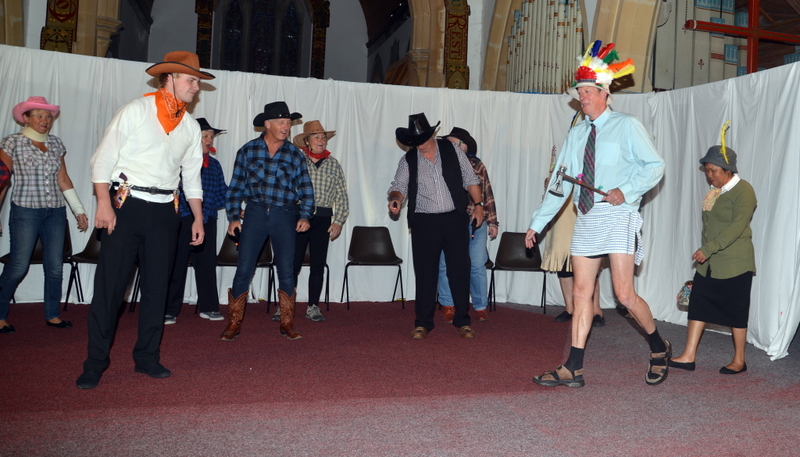 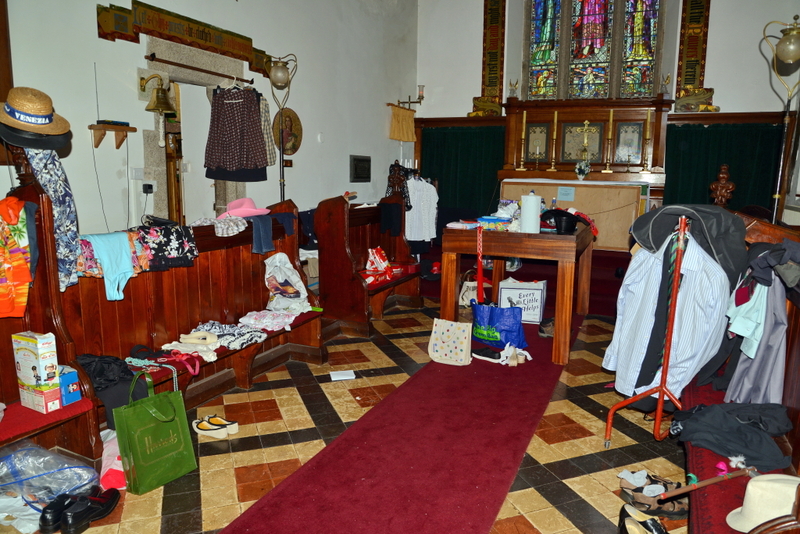 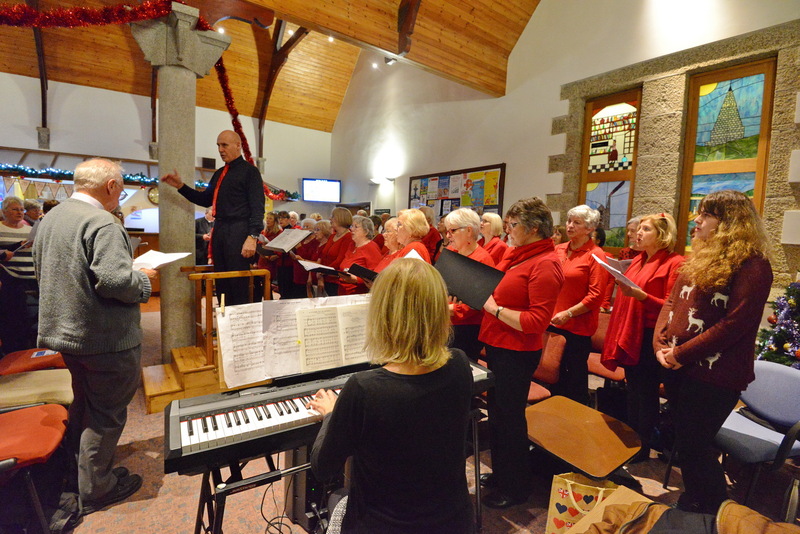 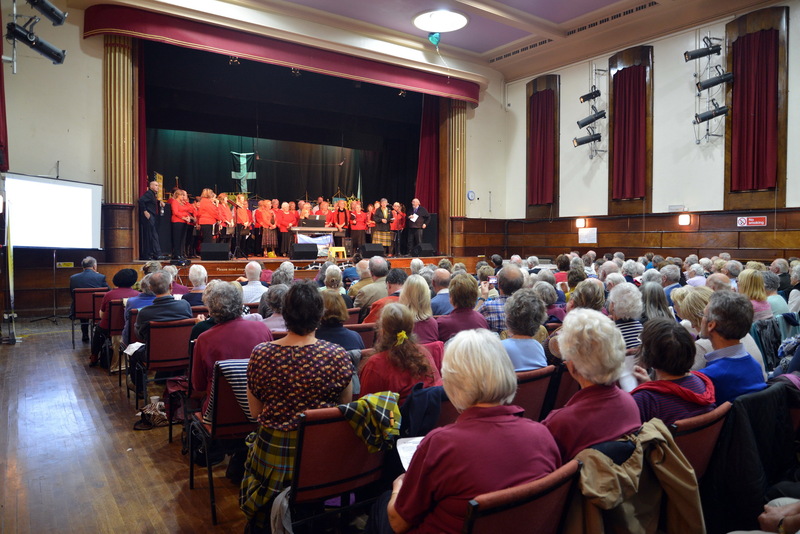 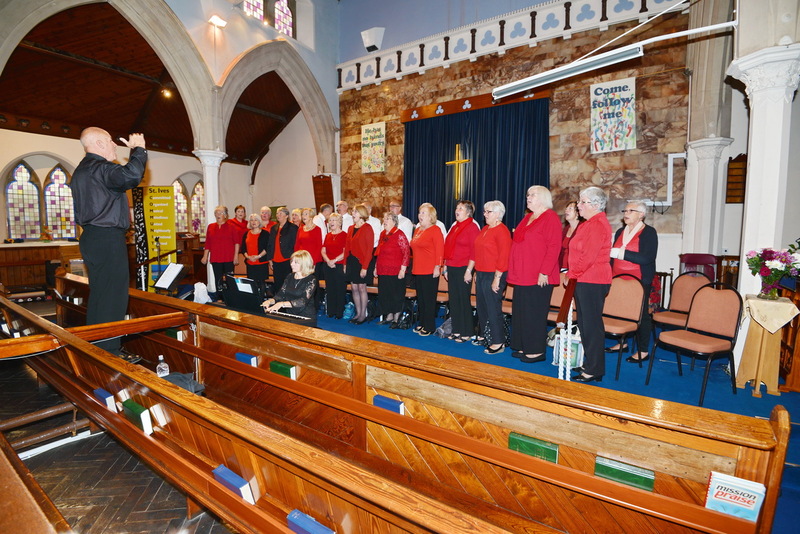 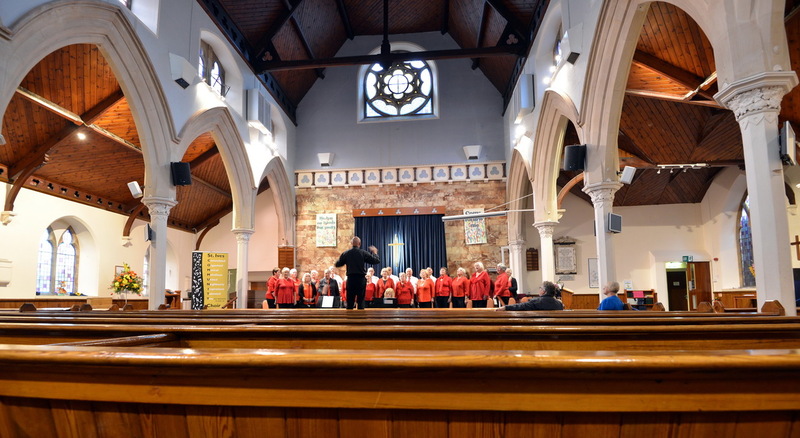 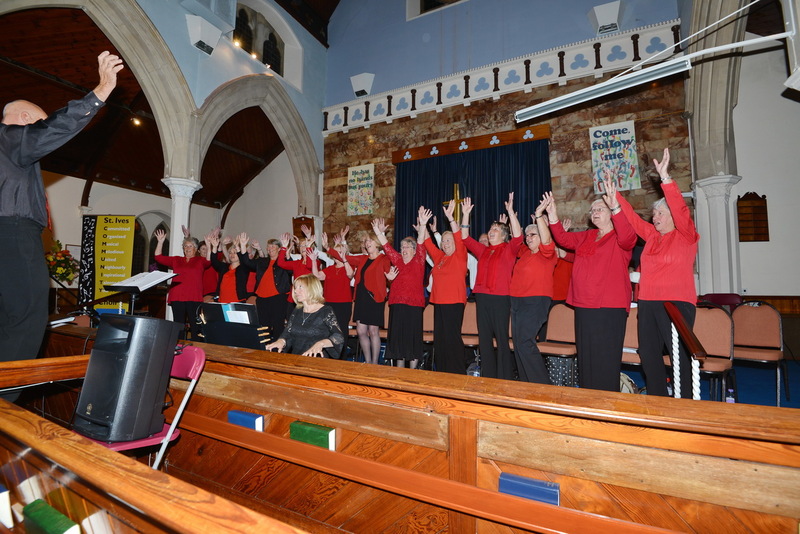 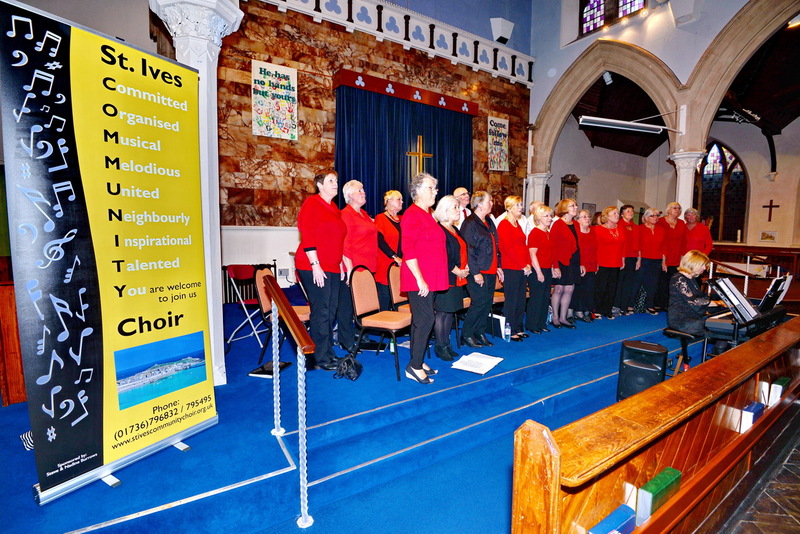 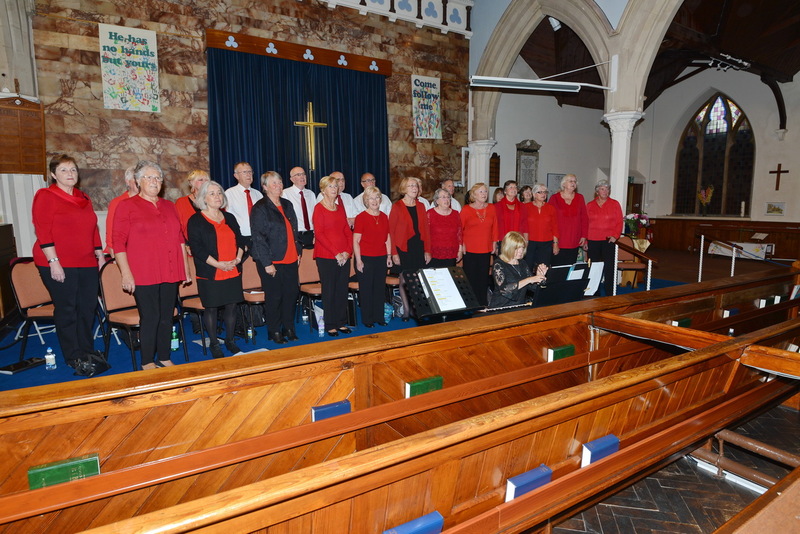 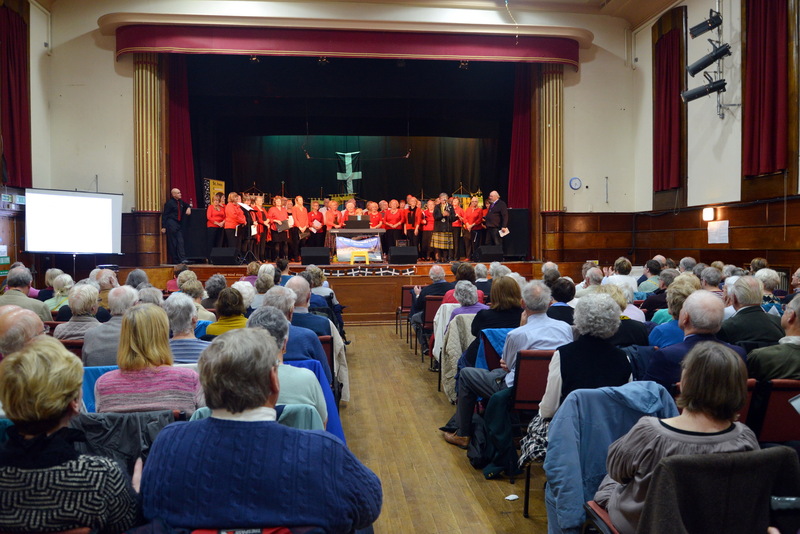 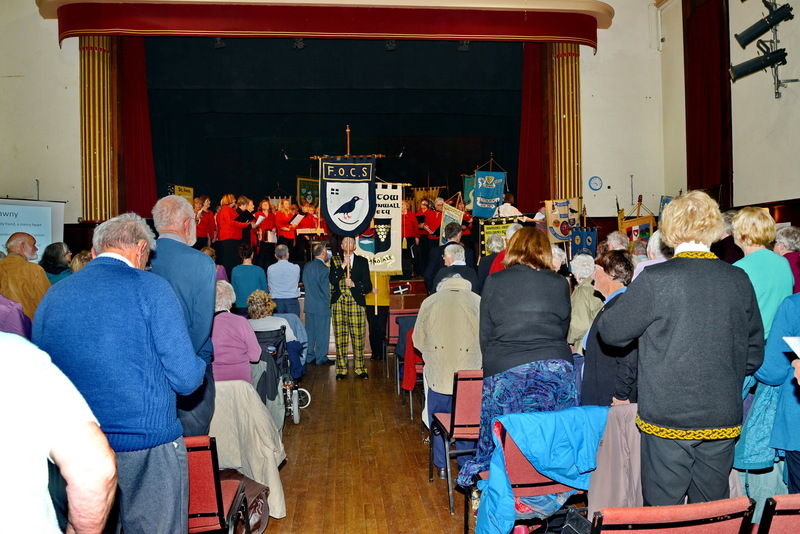 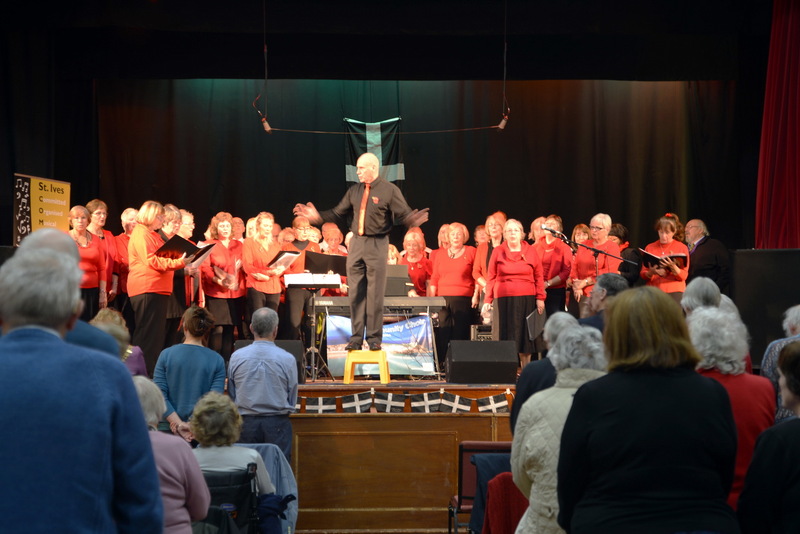 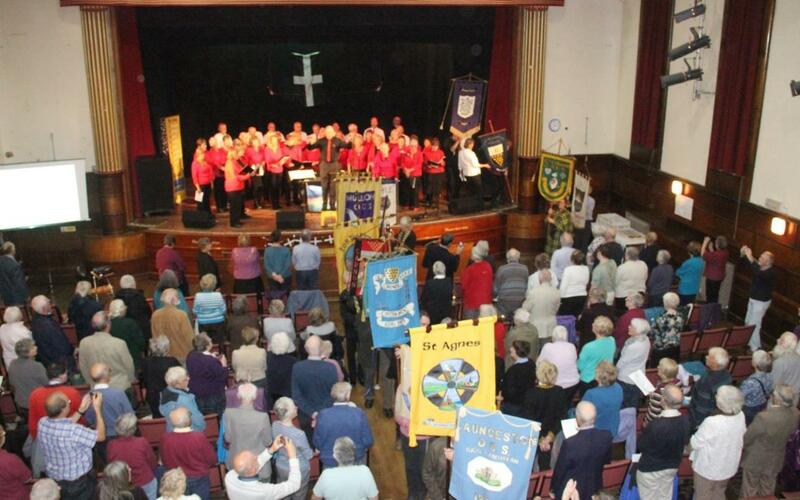 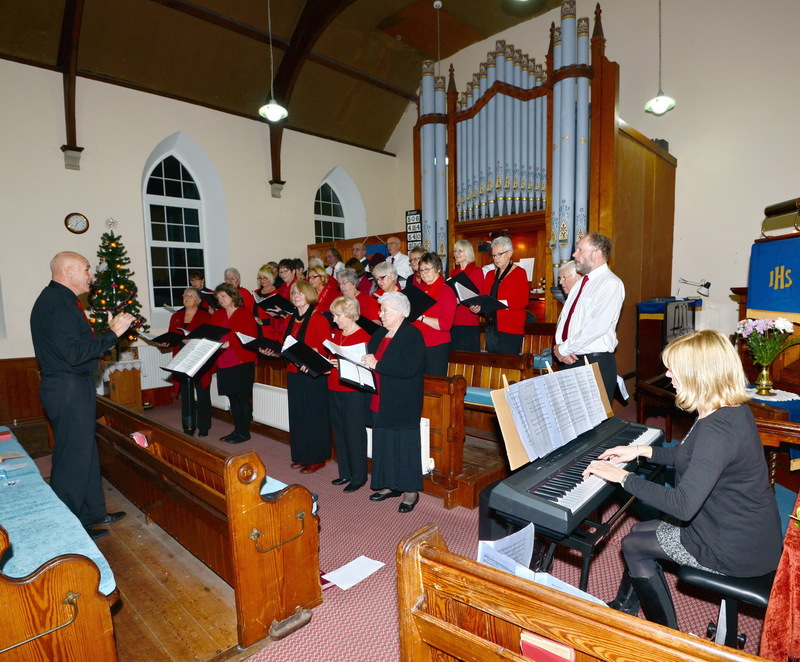 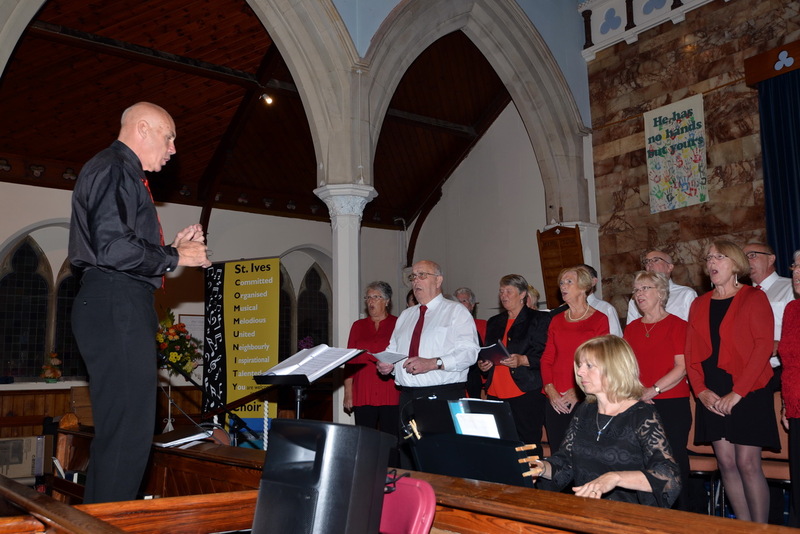 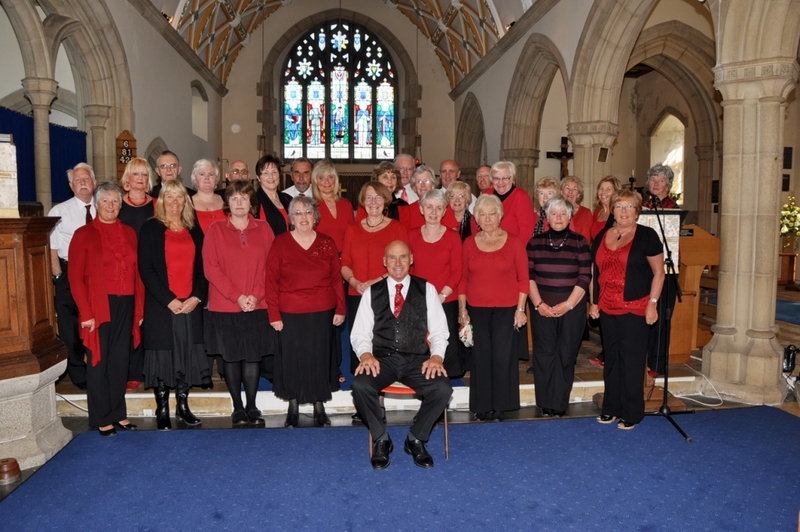 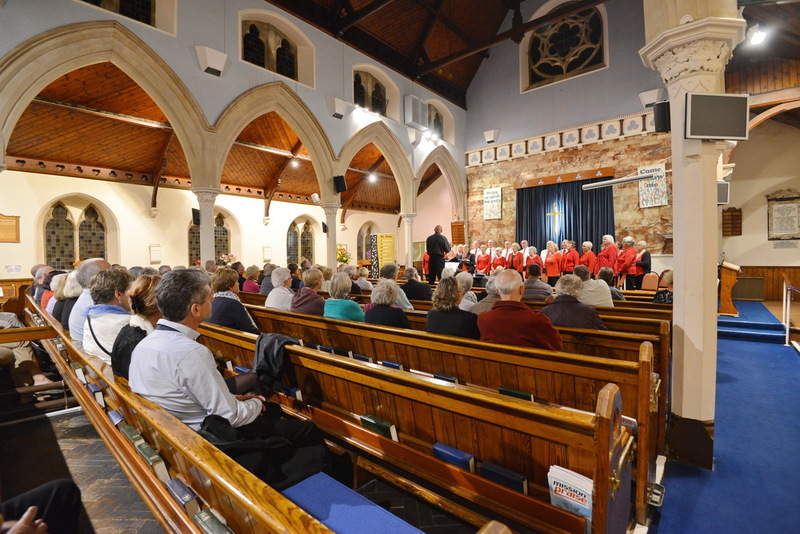 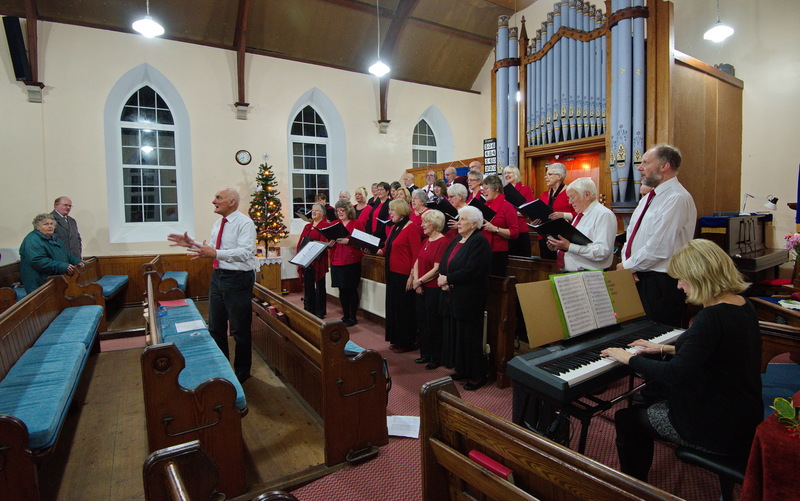 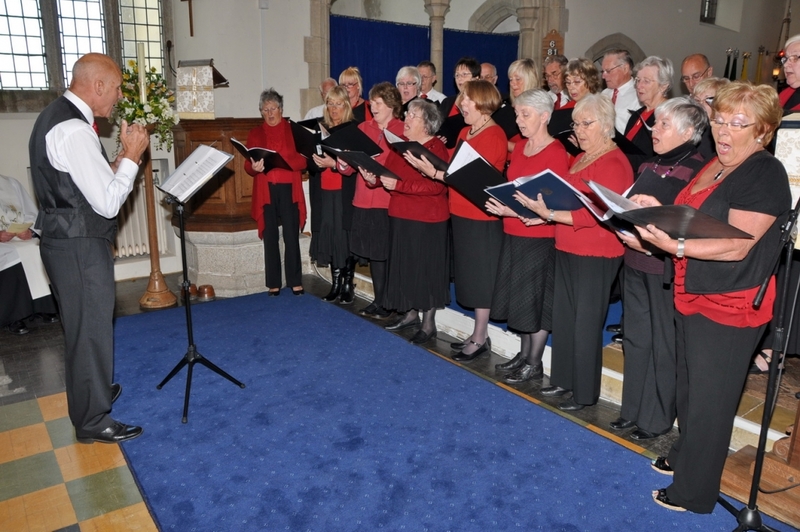 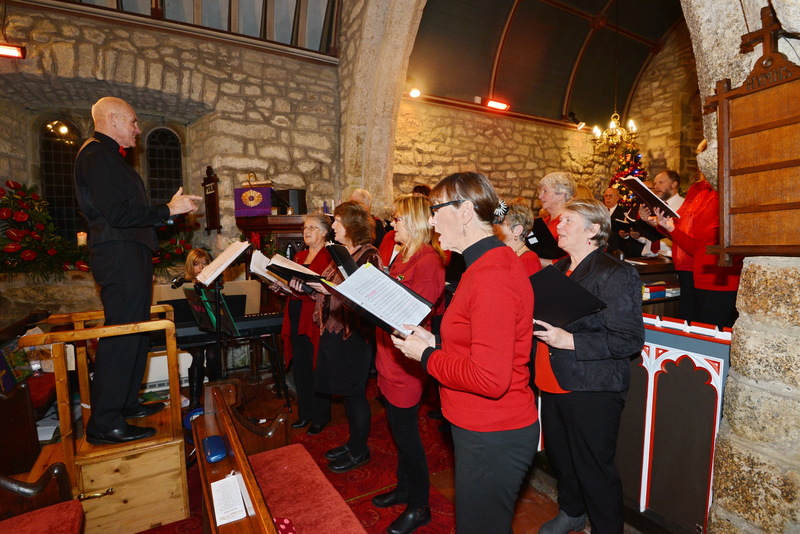 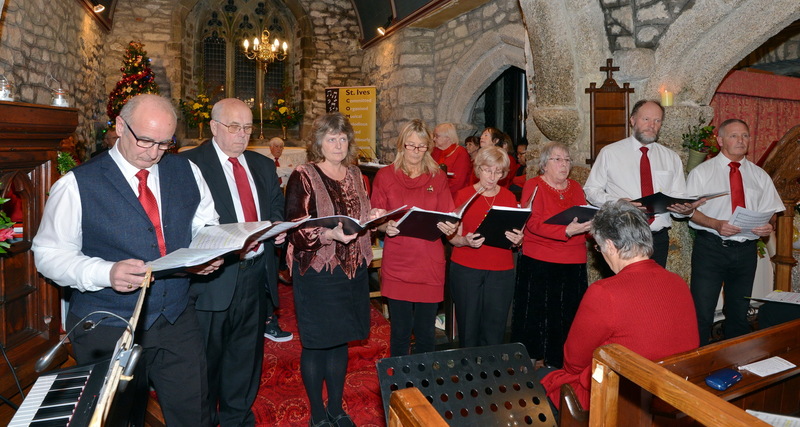 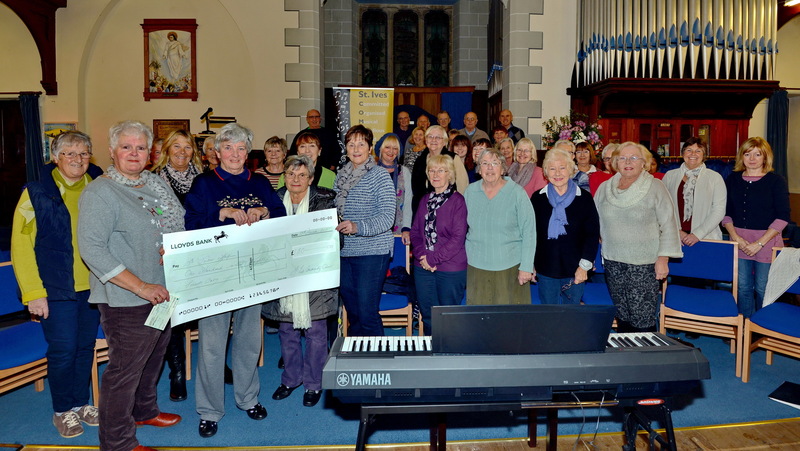 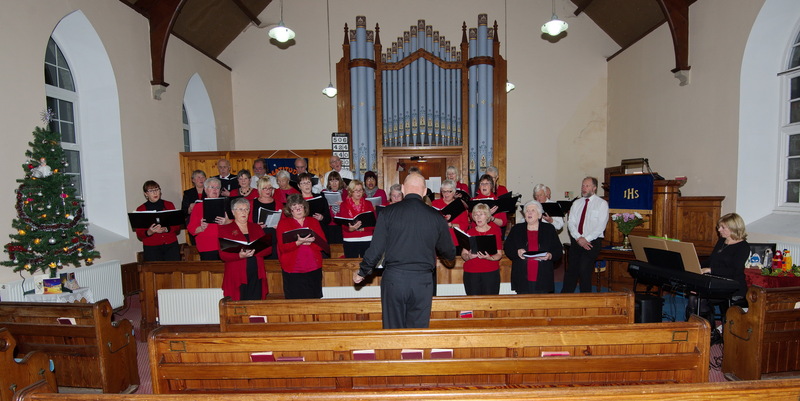 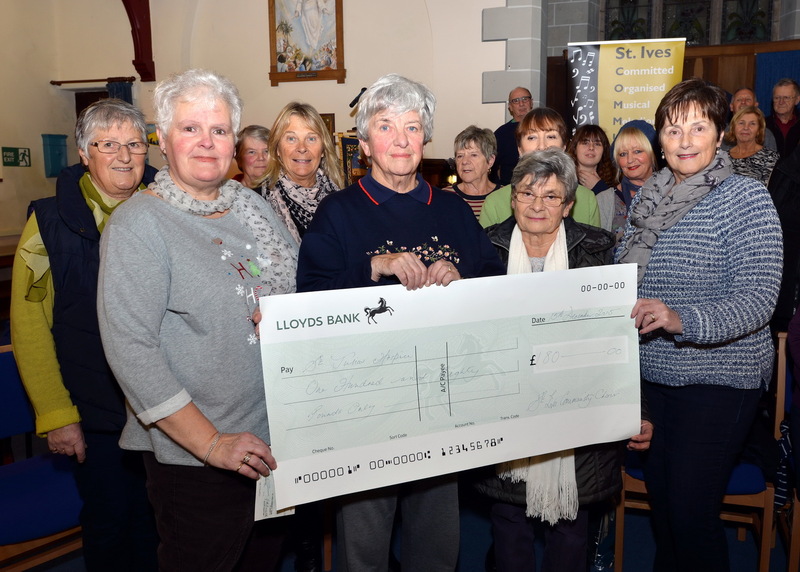 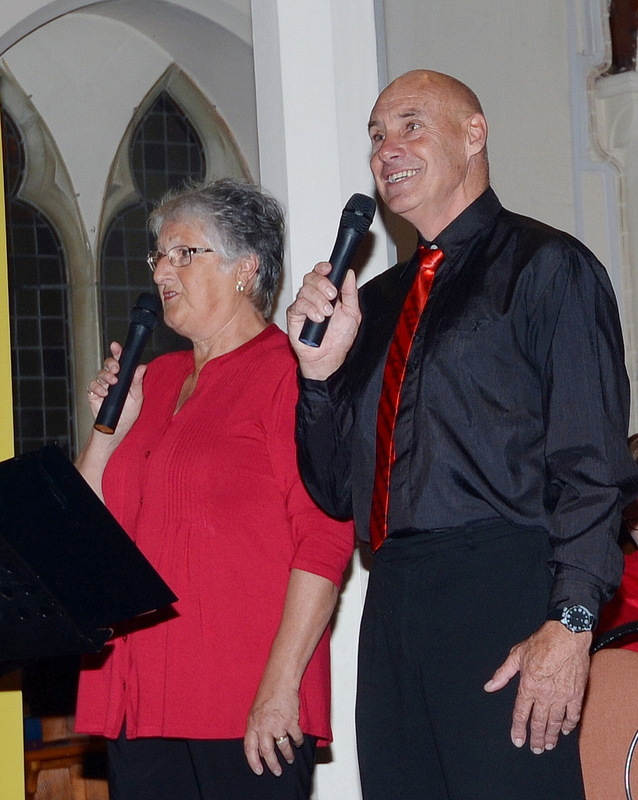 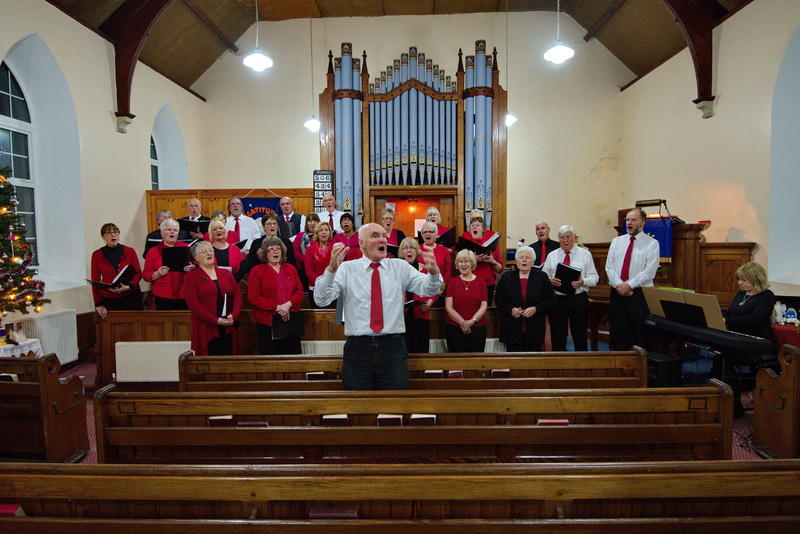 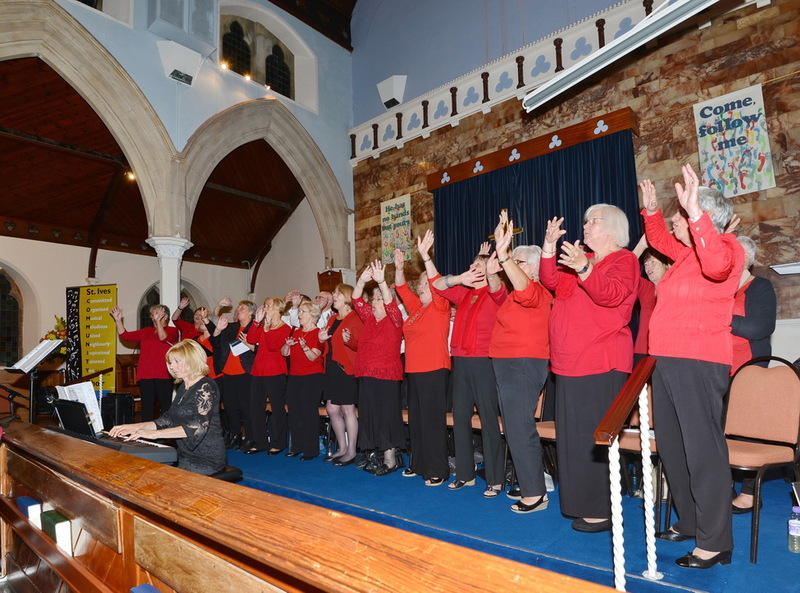 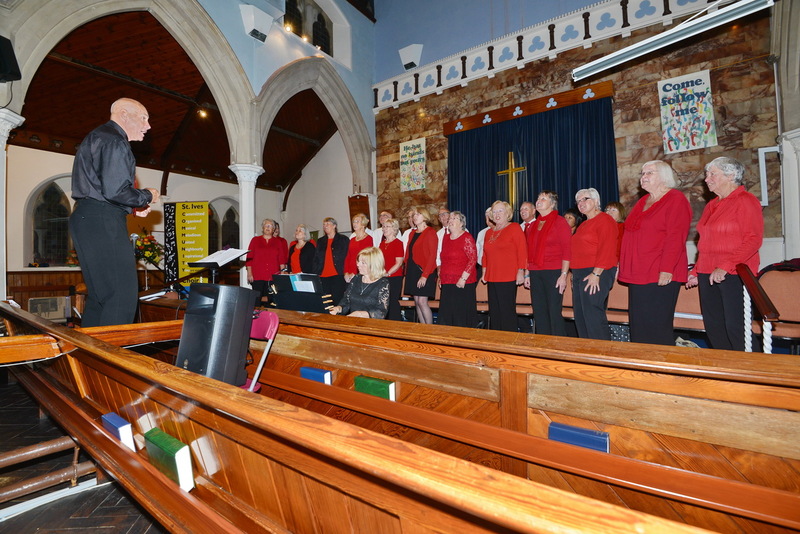 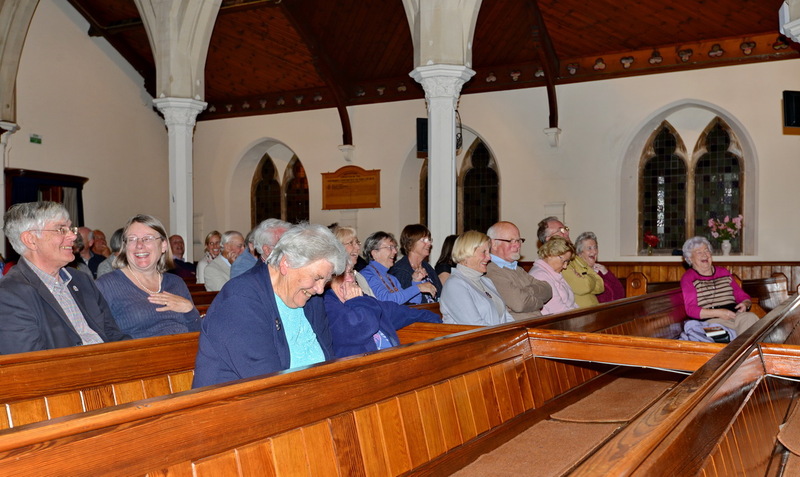 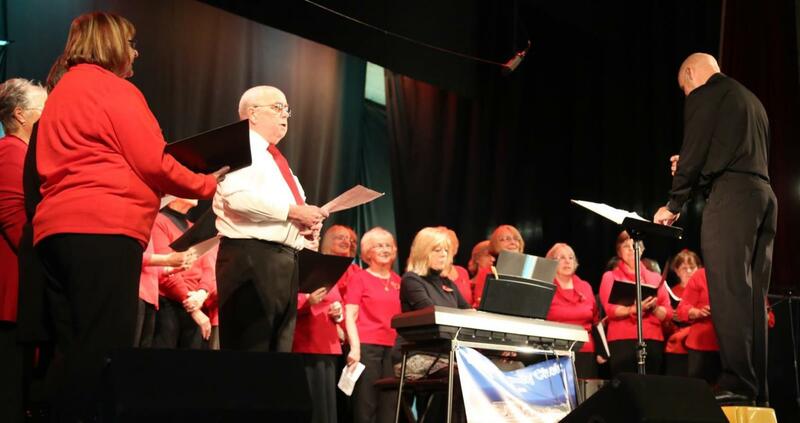 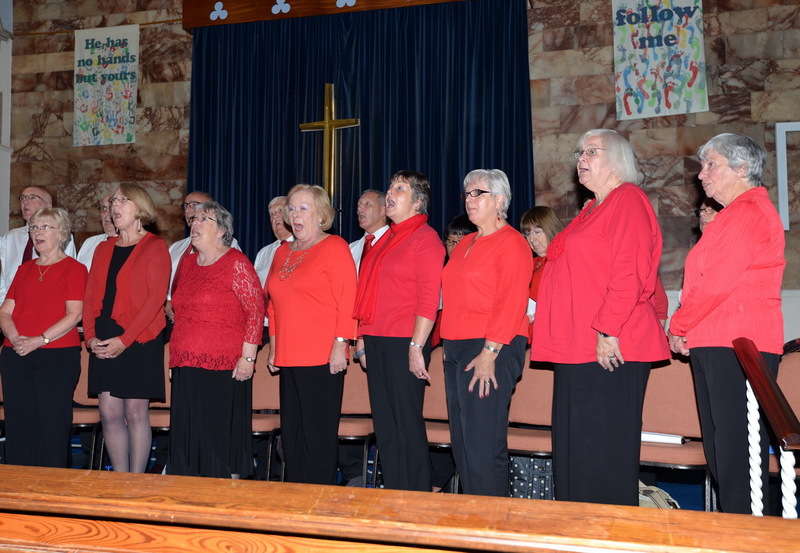 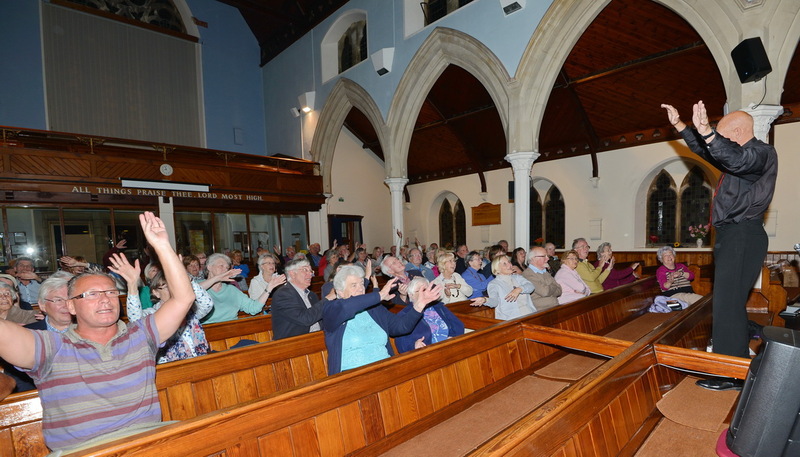 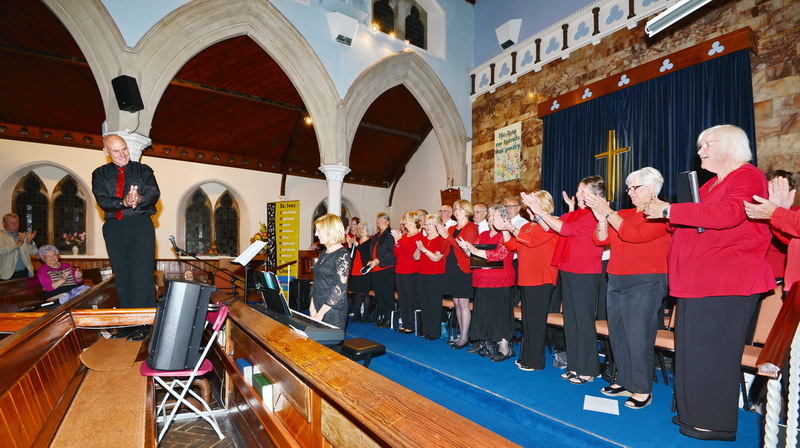 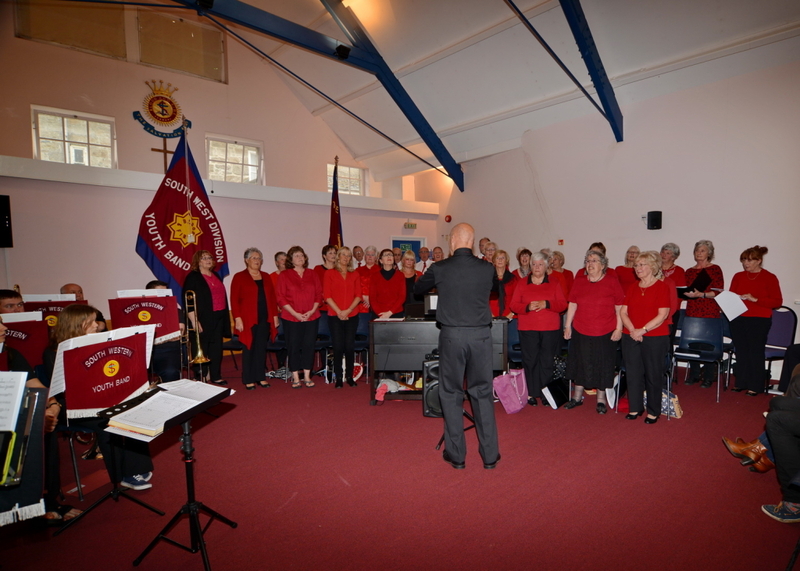 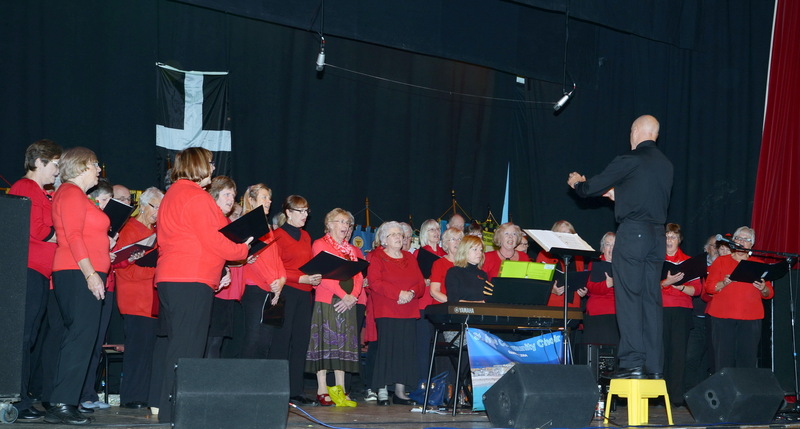 The choir were invited to give a charity concert at Paignton Methodist Church on the Saturday evening. 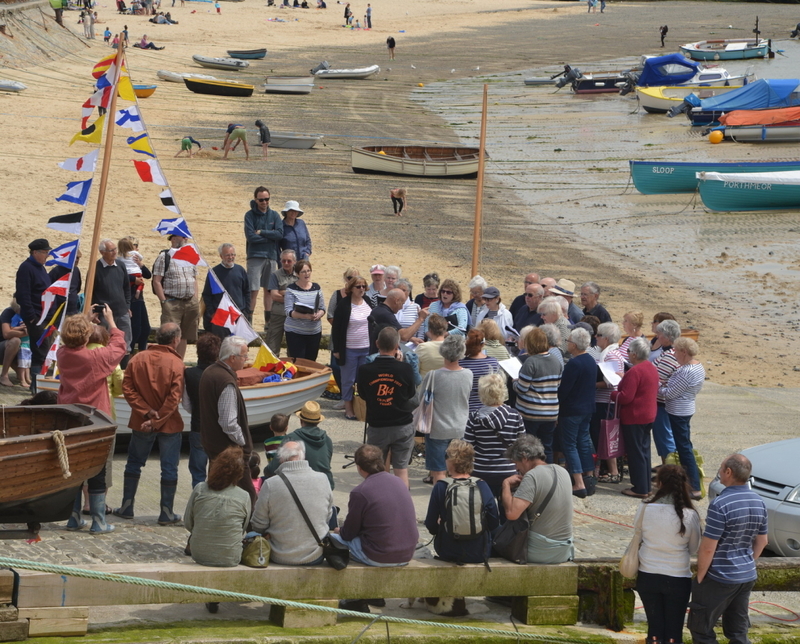 September 12th 2015 saw all the fleet of the St Ives Jumbo Assiciation afloat. 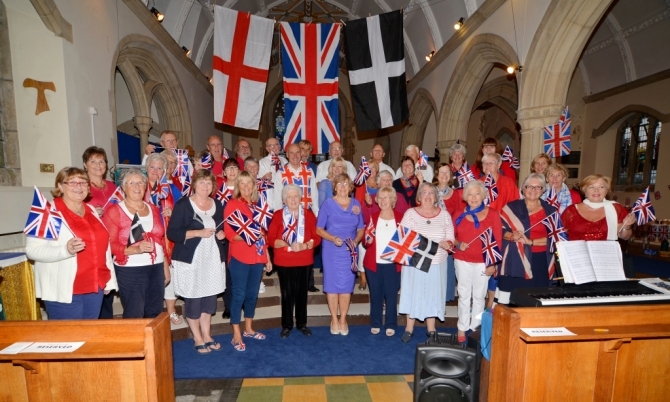 The choir were asked to mark the celebration. 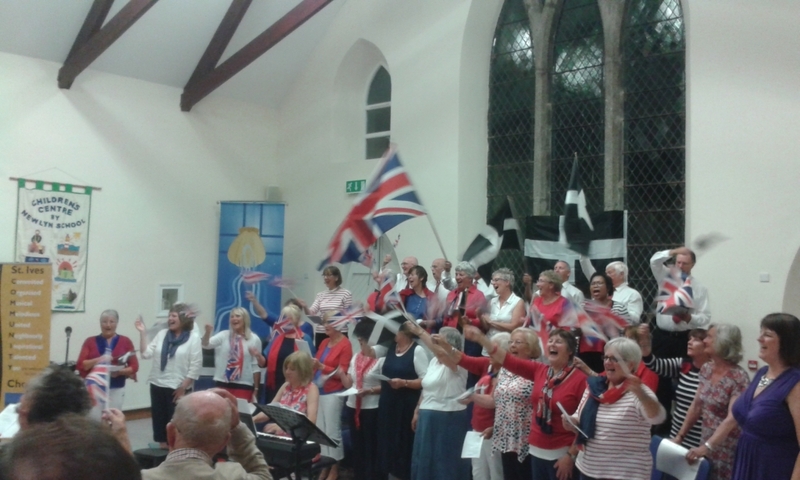 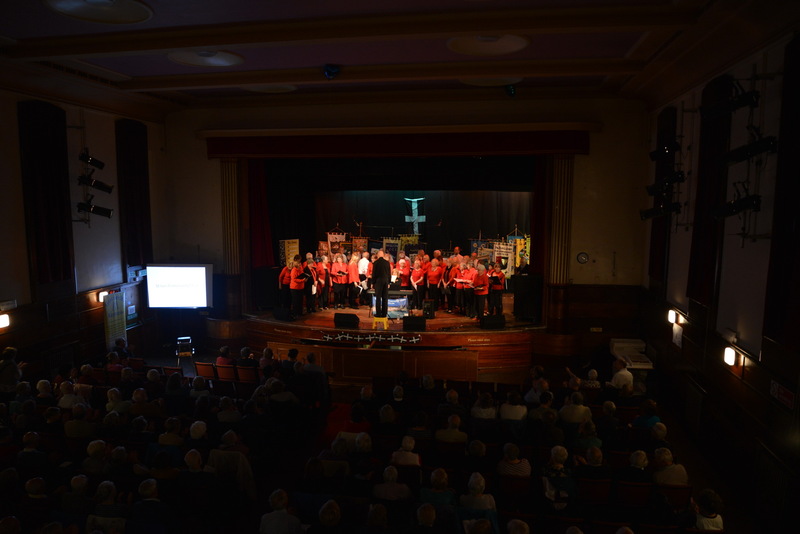 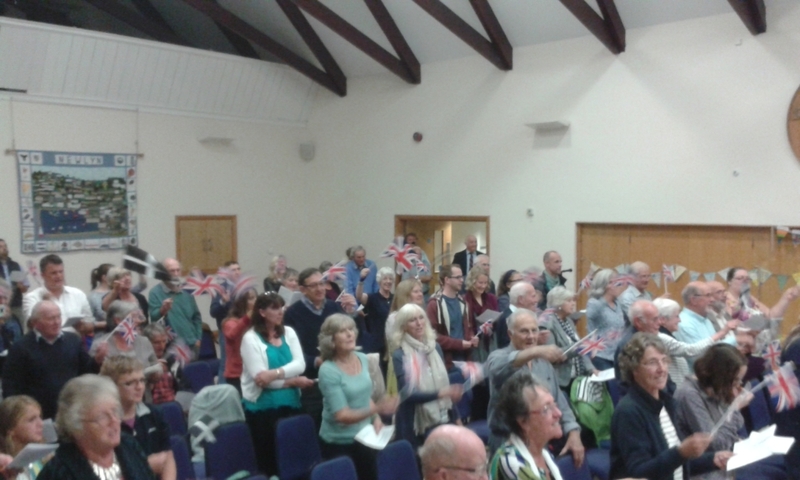 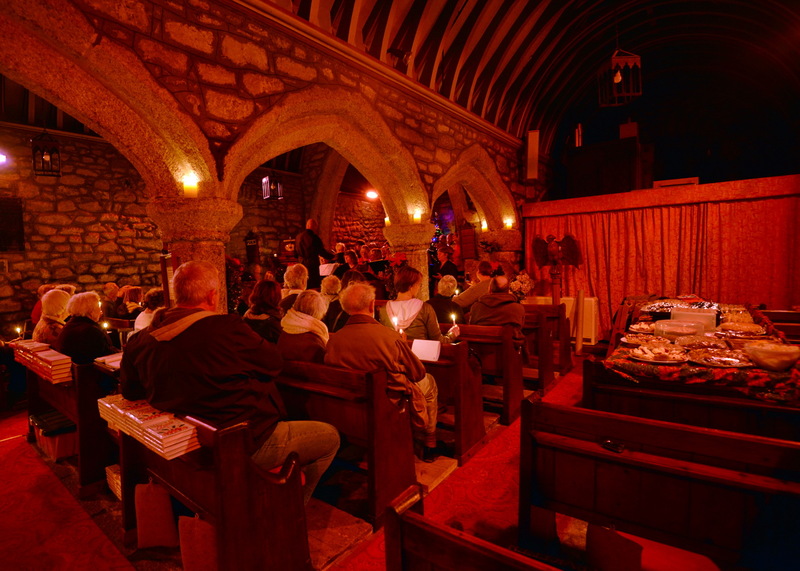 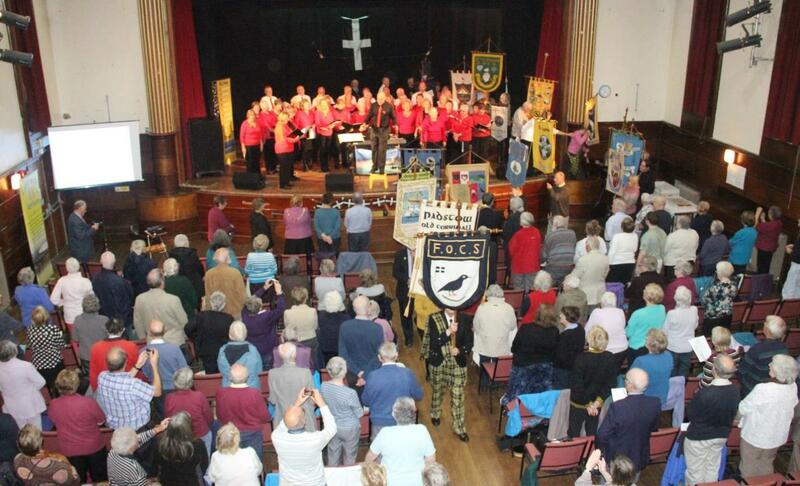 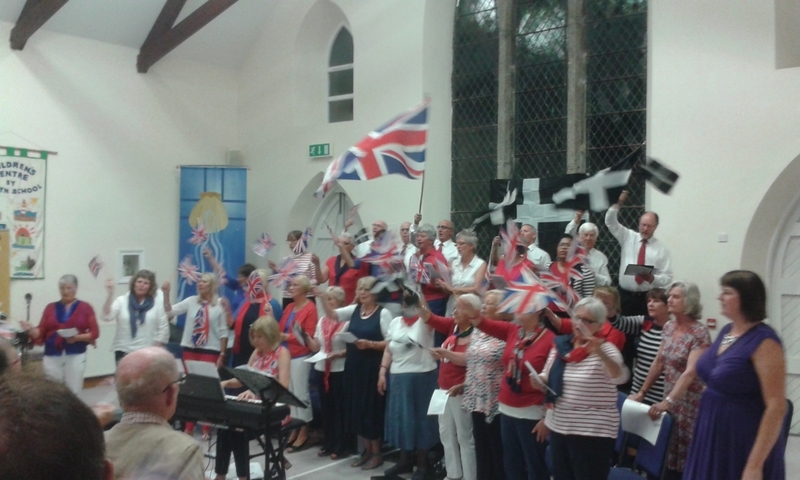 CORNISH LAST NIGHT OF THE PROMS at the Newlyn Trinity Centre on Sunday 30th August at 8pm. 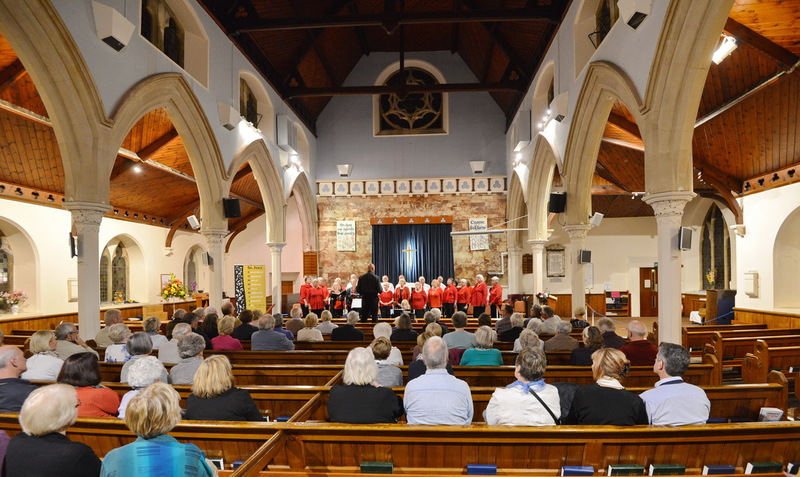 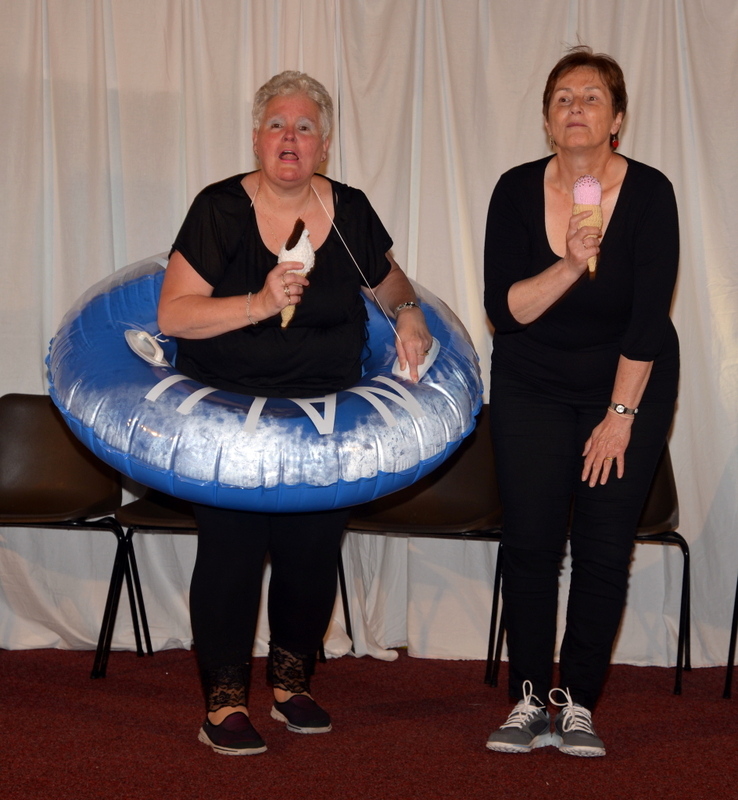 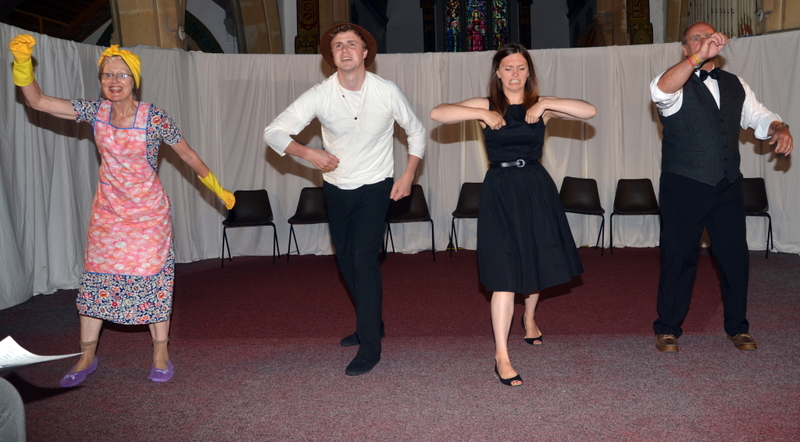 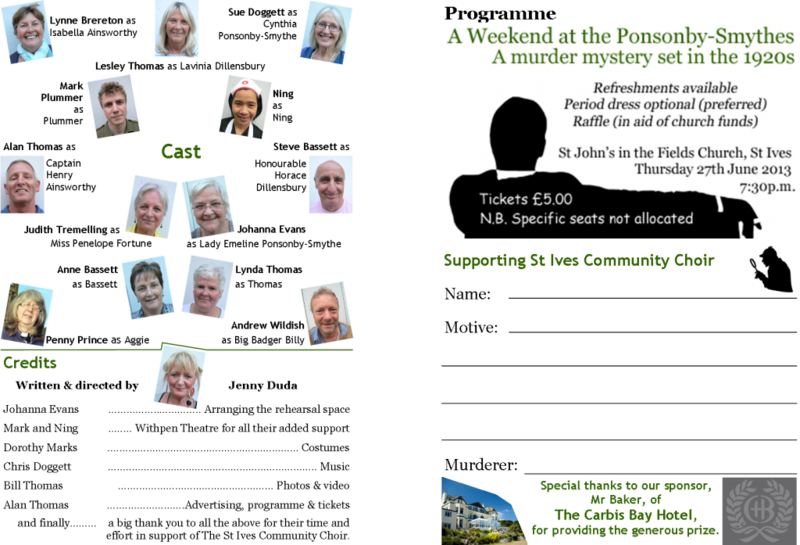 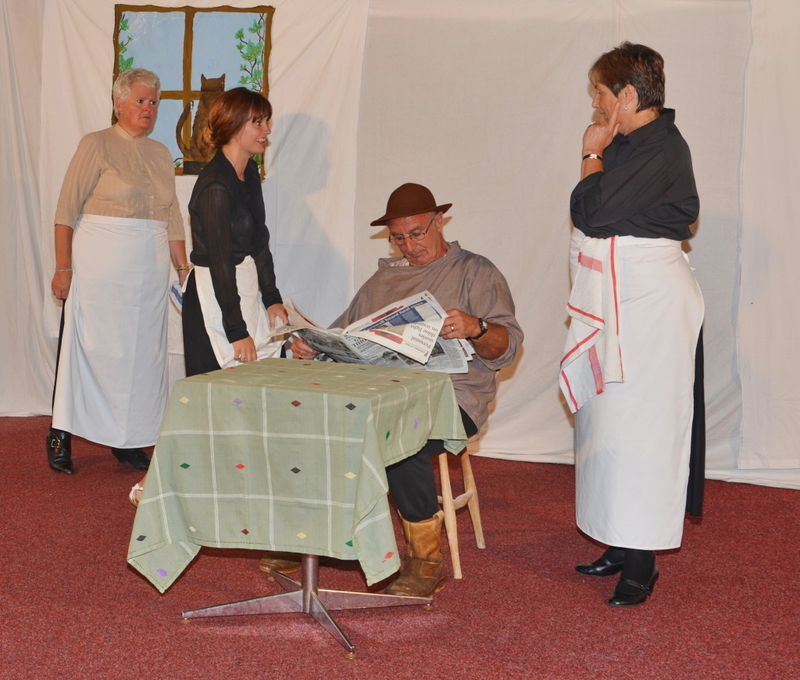 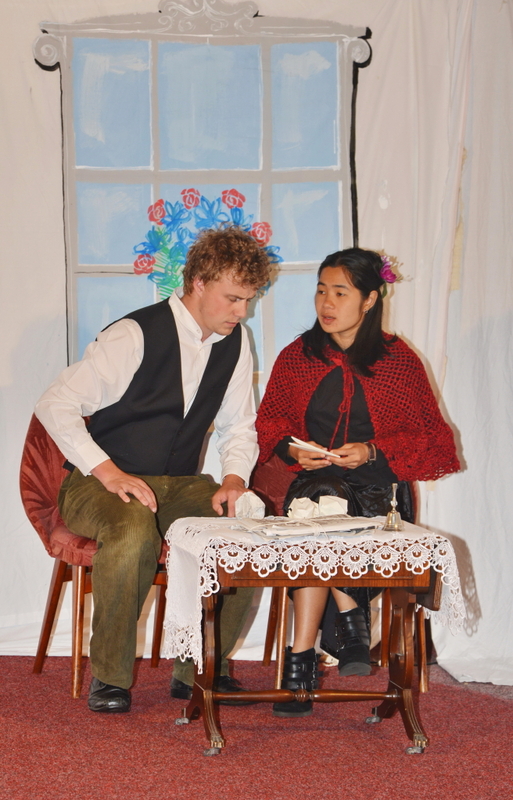 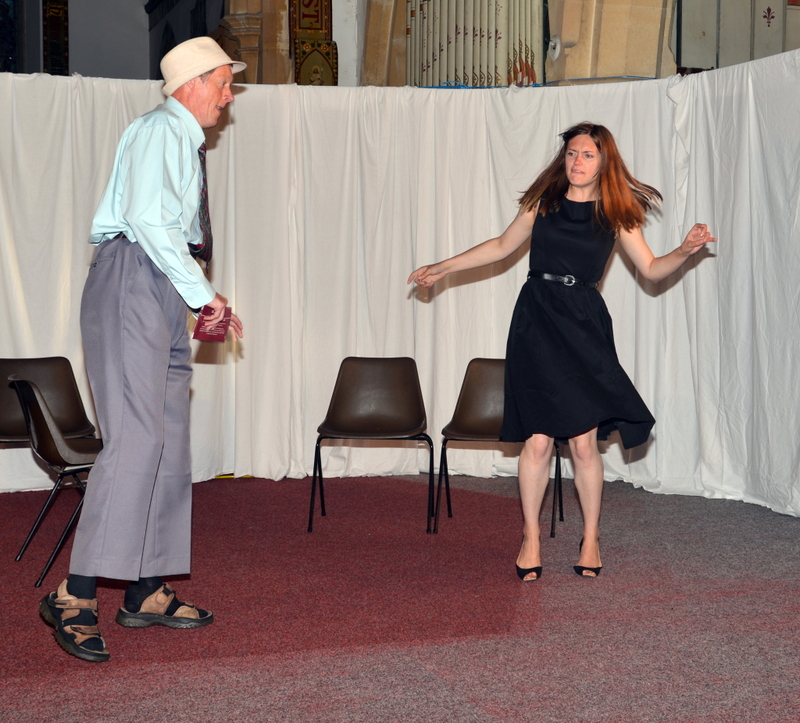 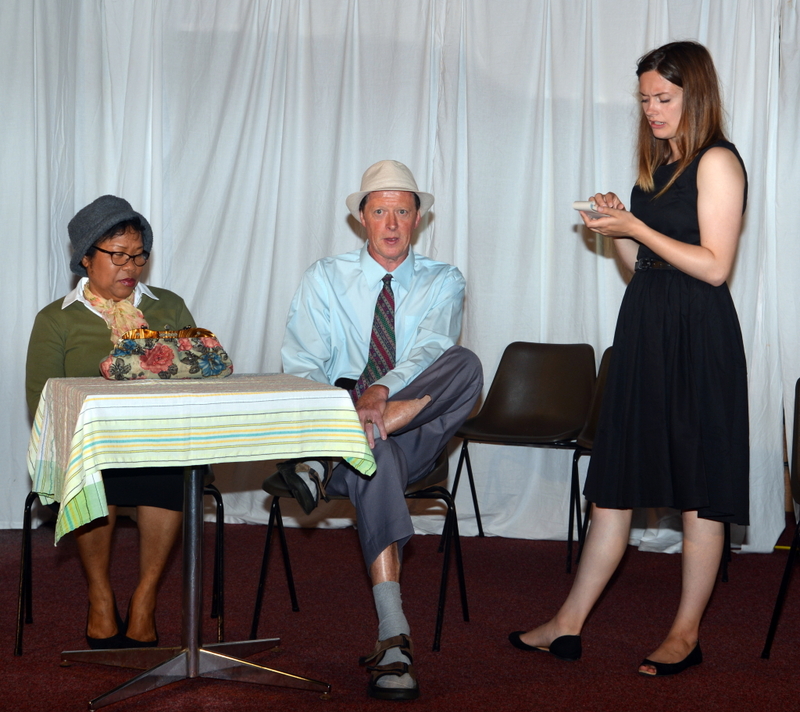 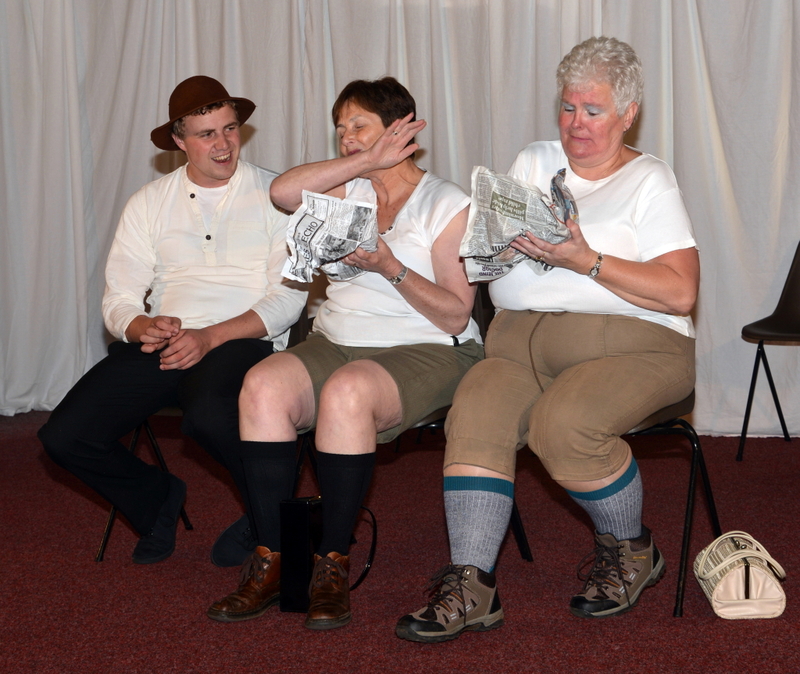 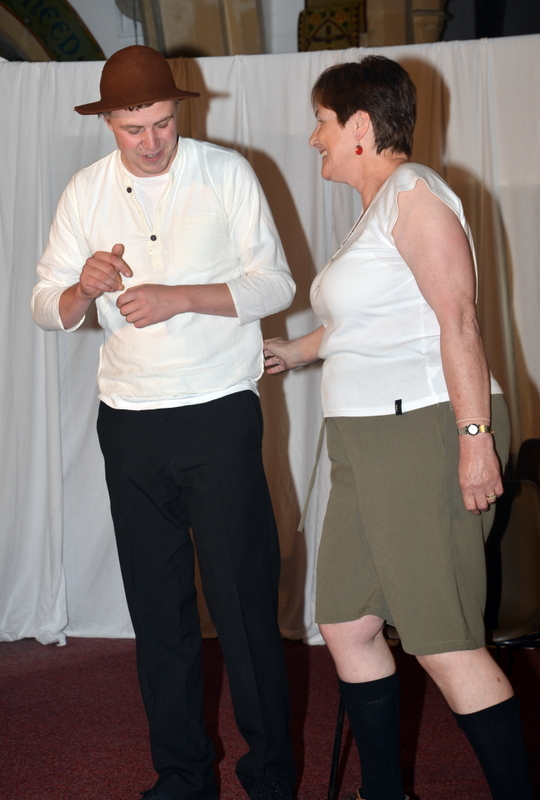 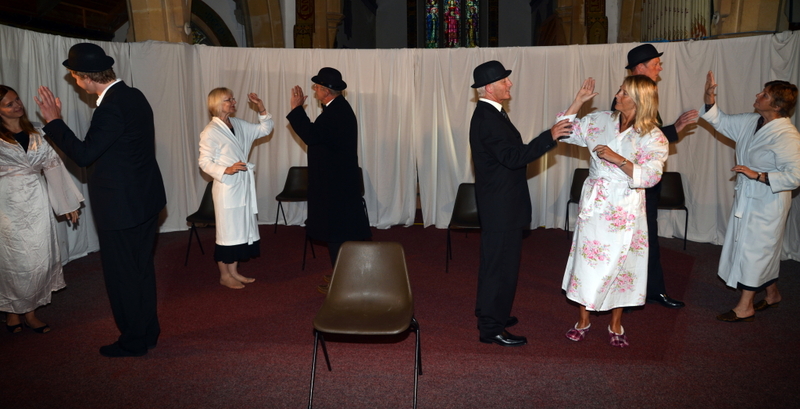 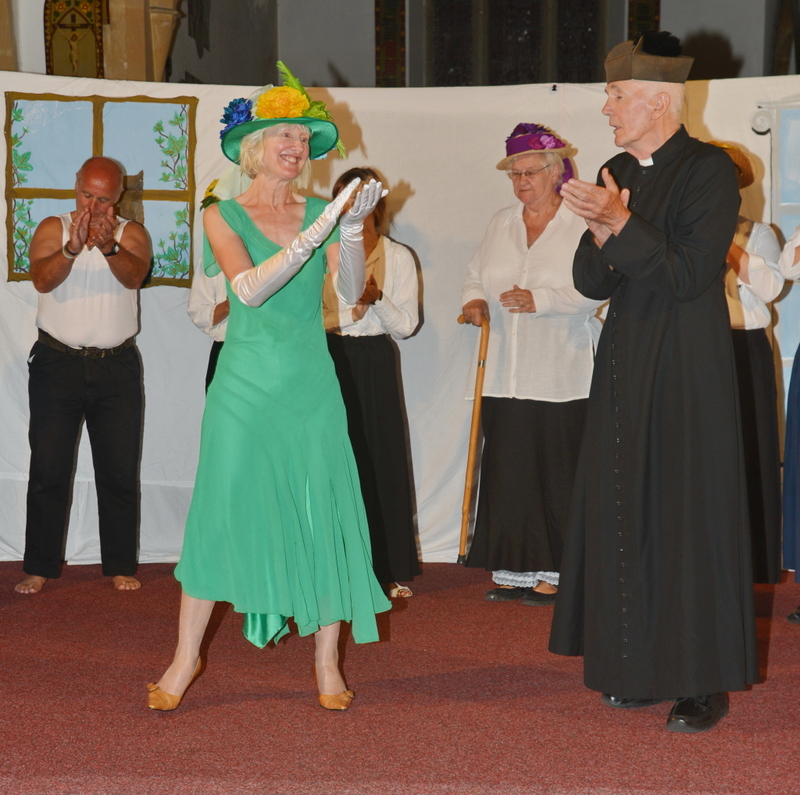 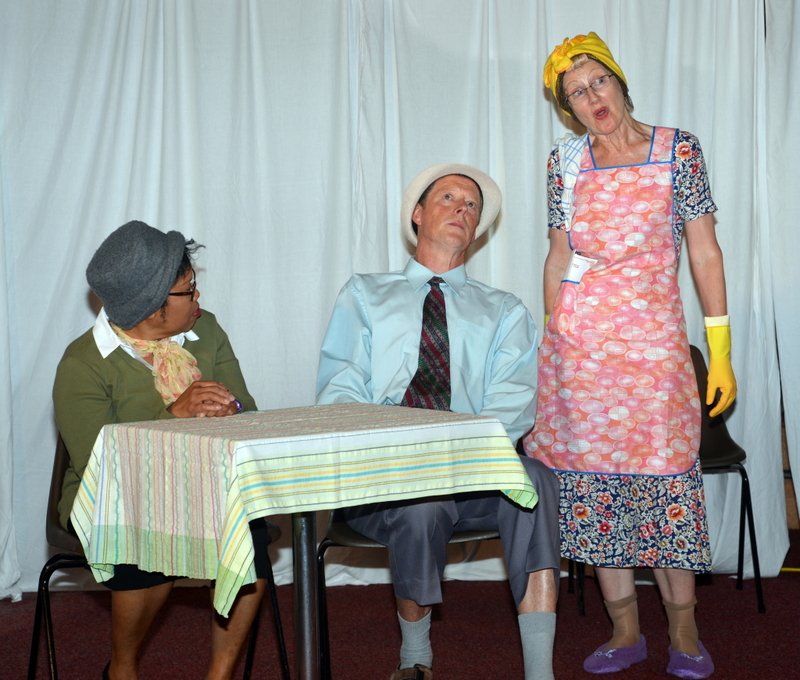 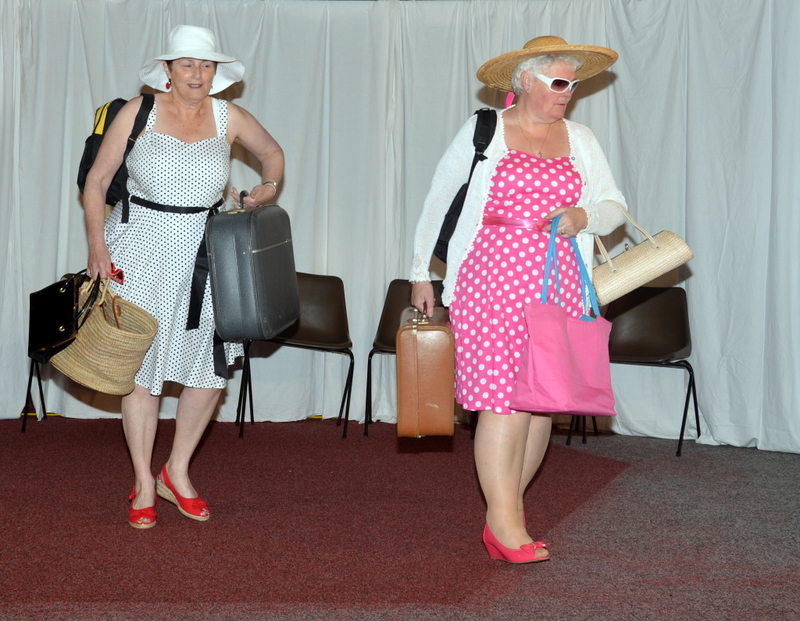 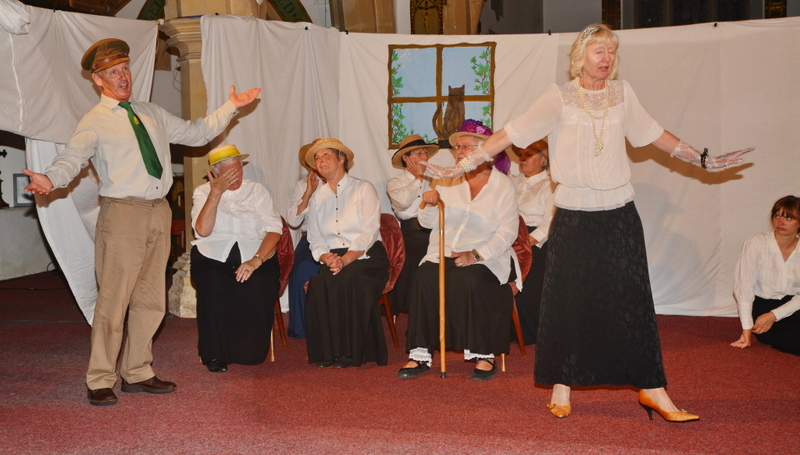 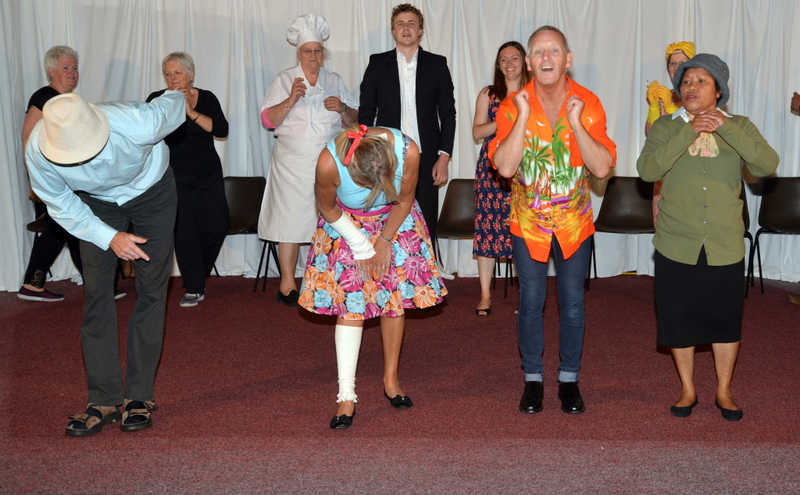 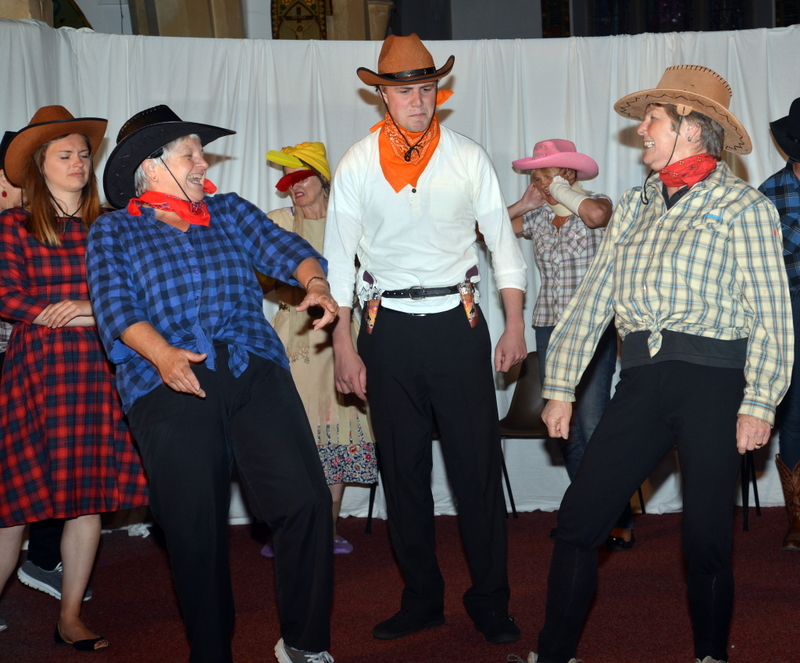 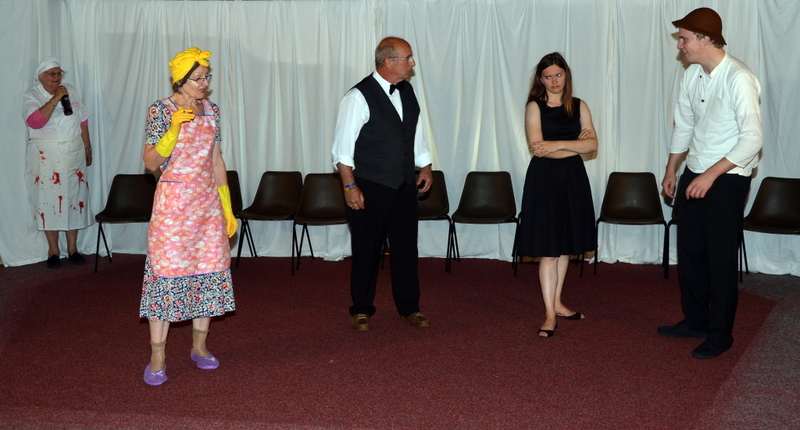 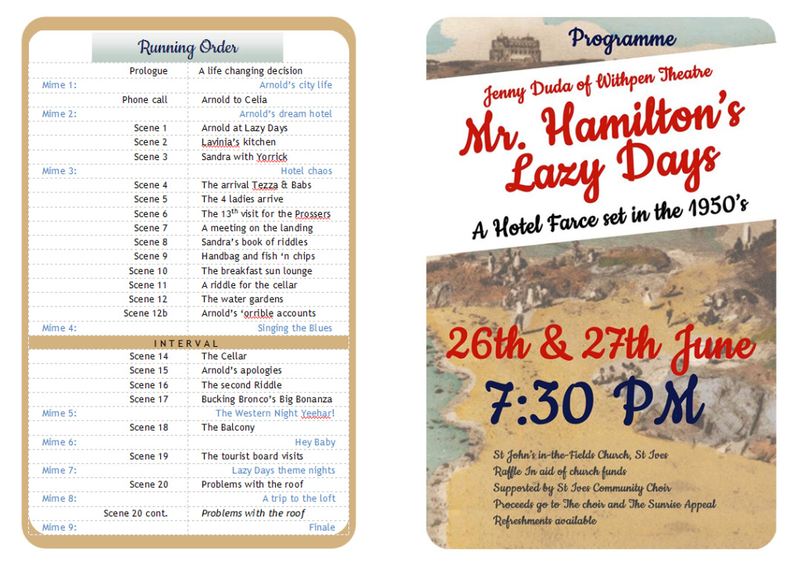 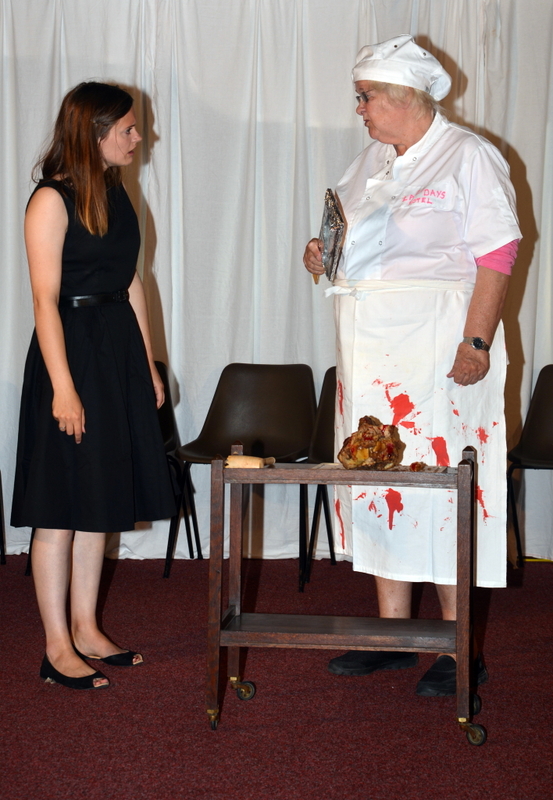 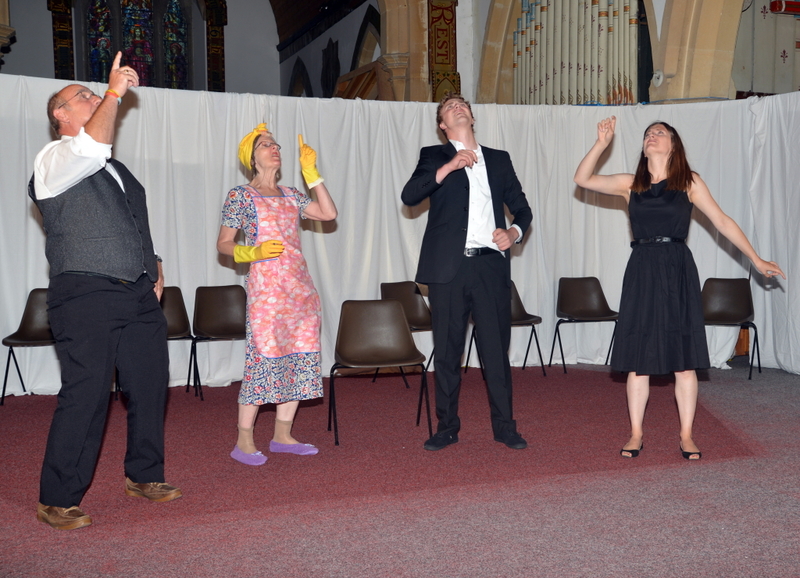 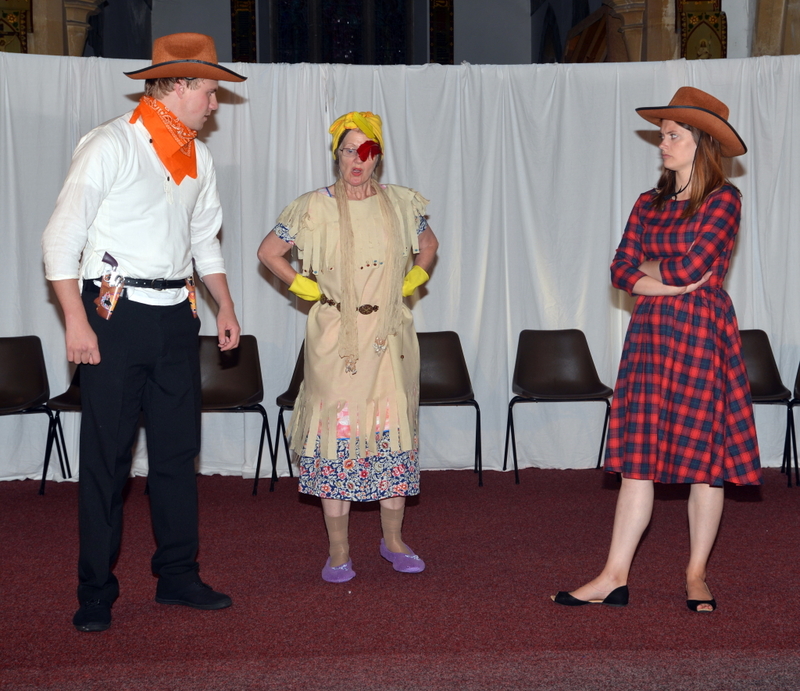 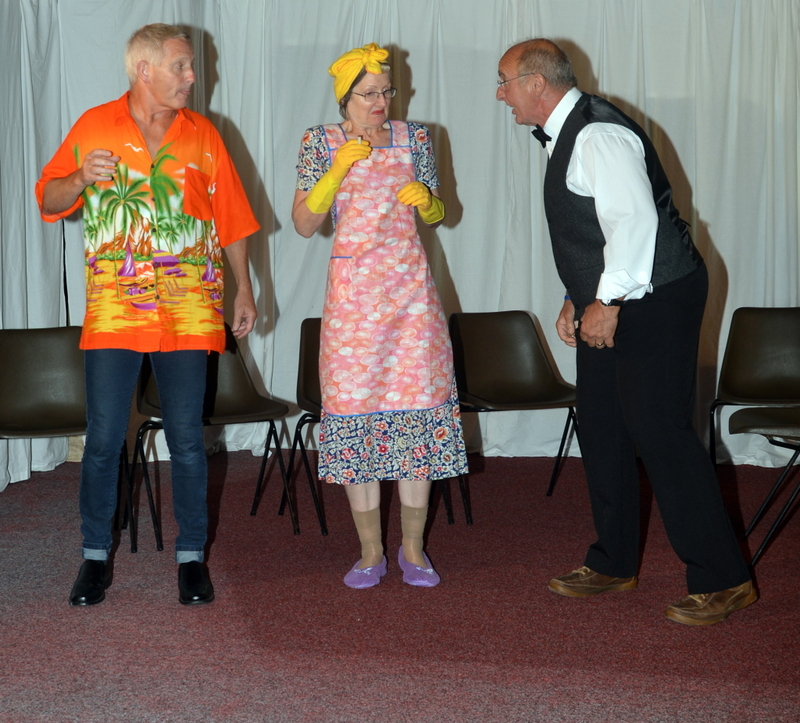 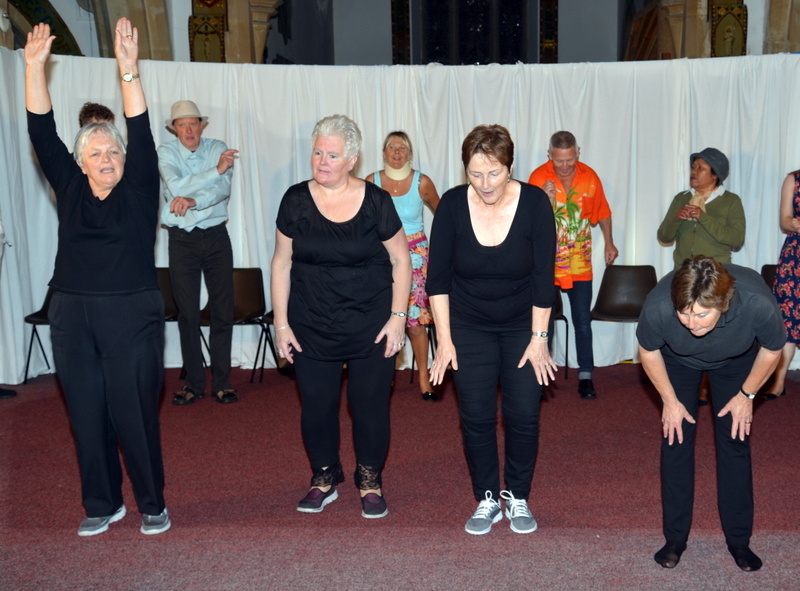 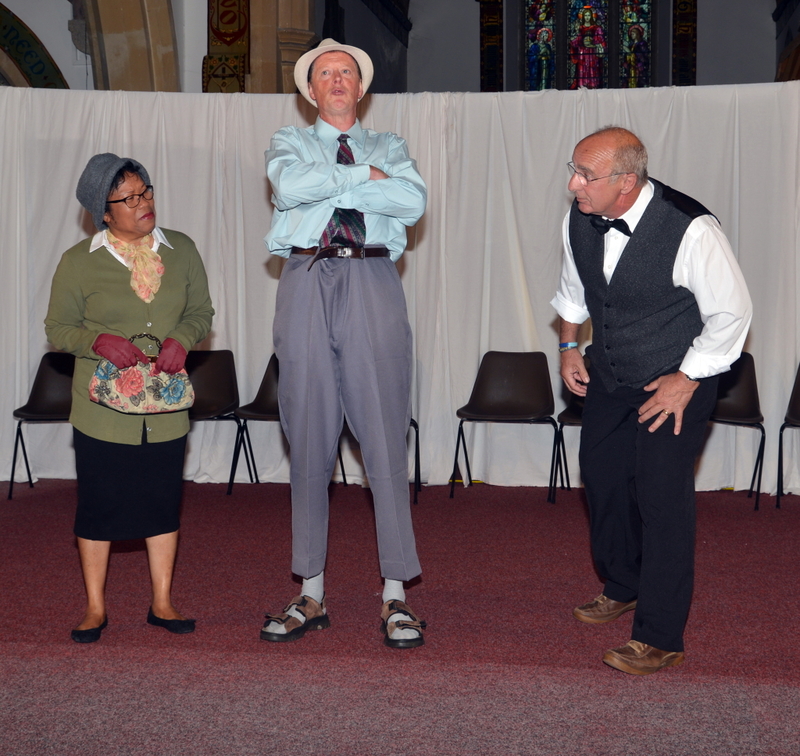 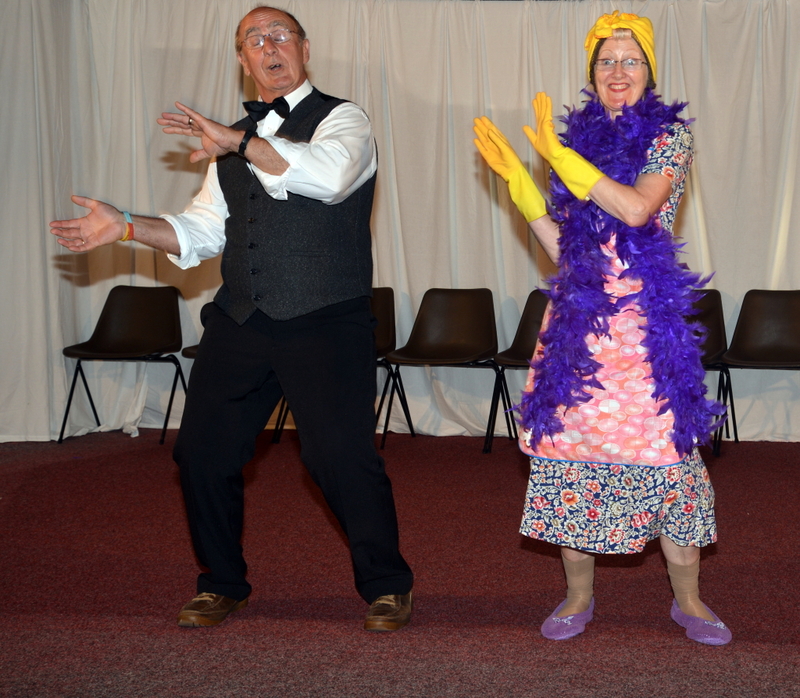 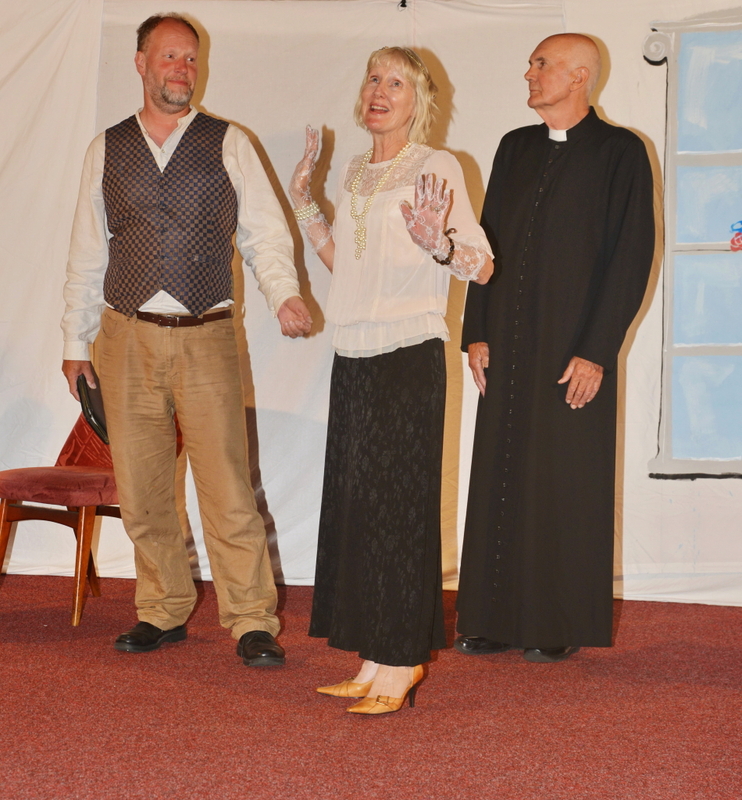 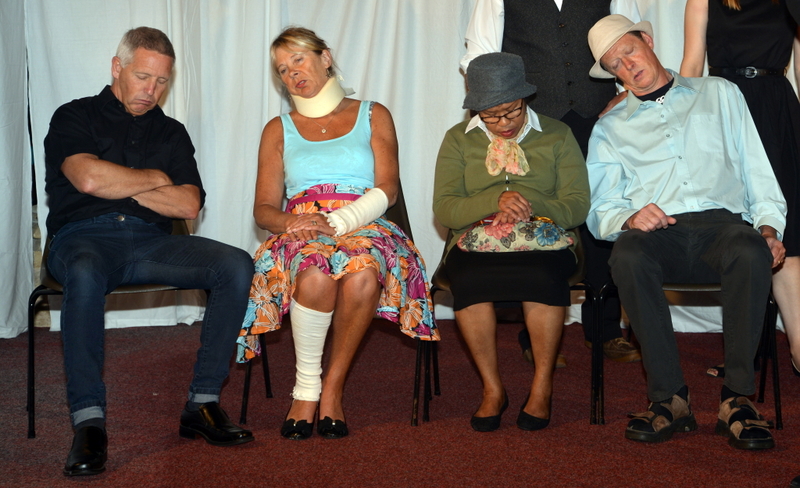 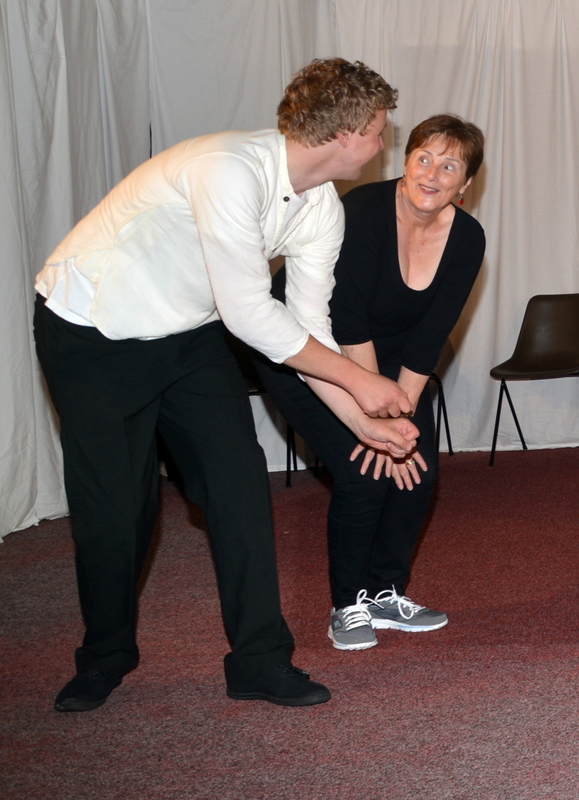 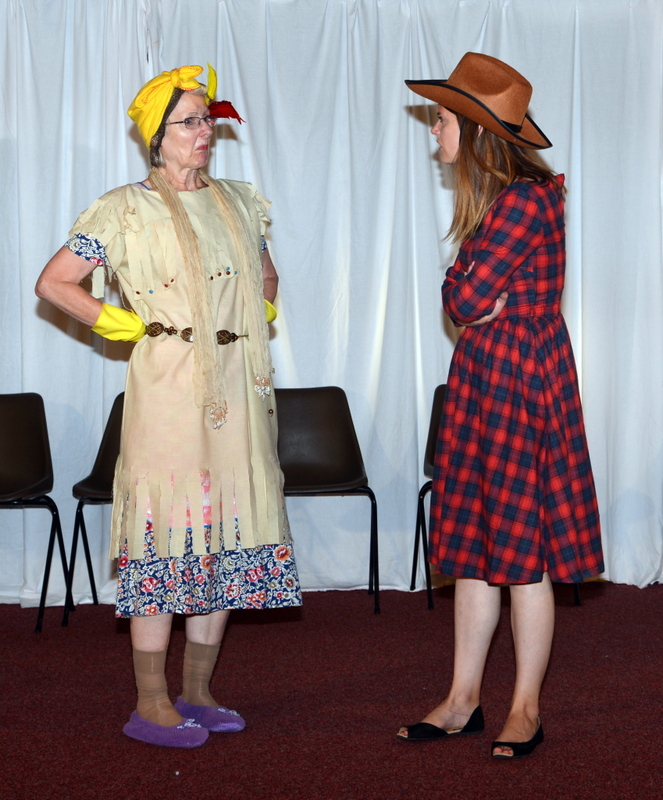 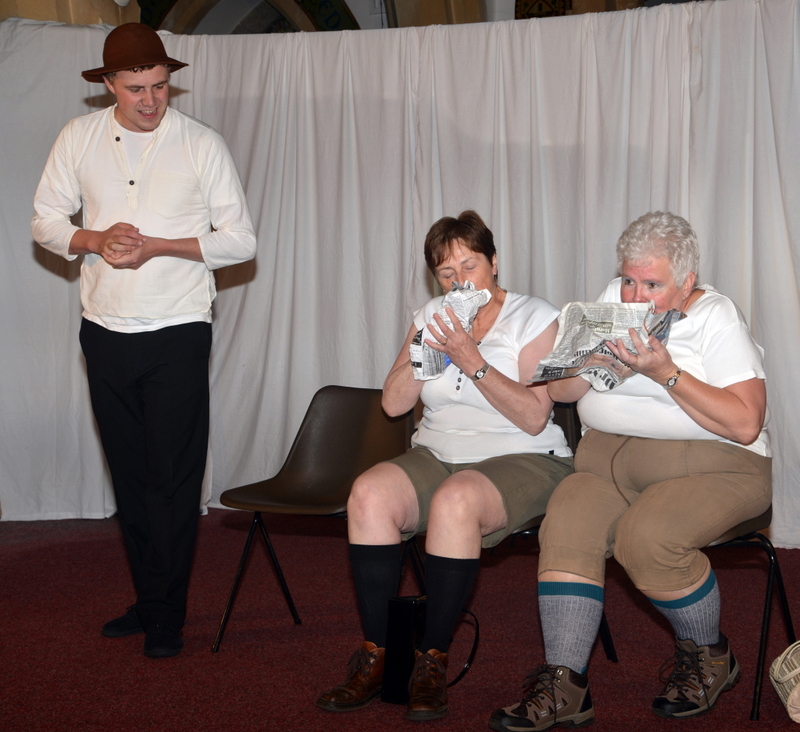 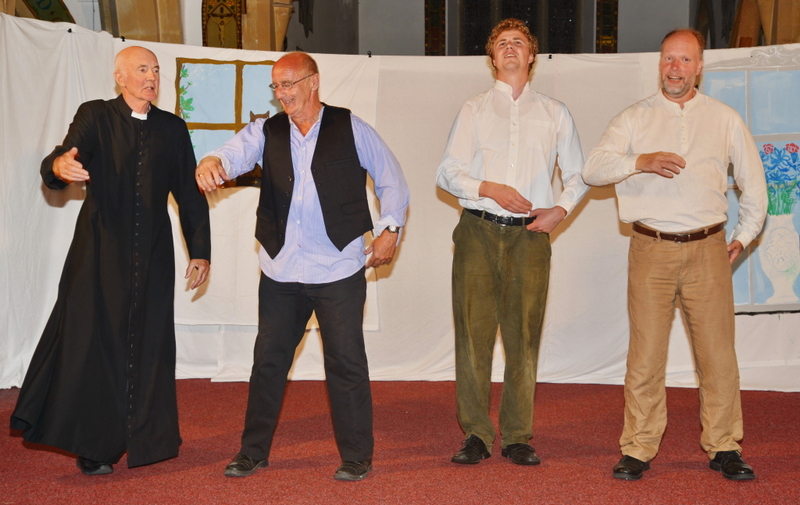 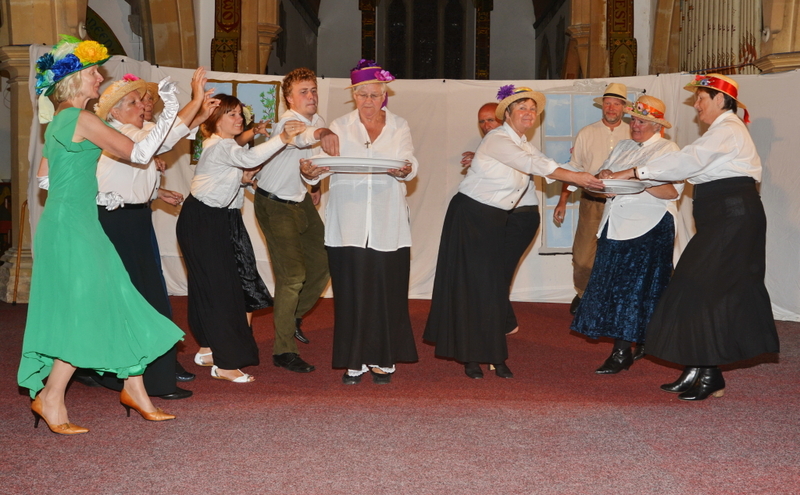 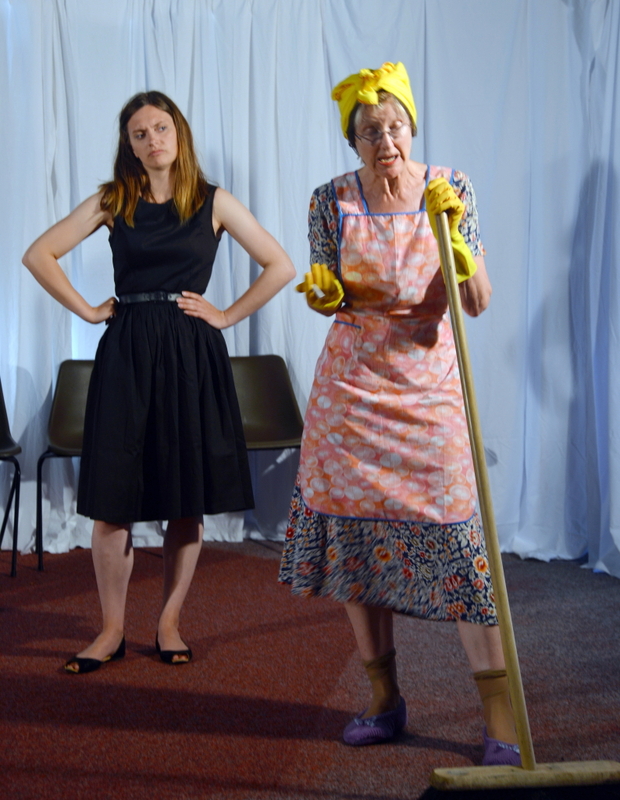 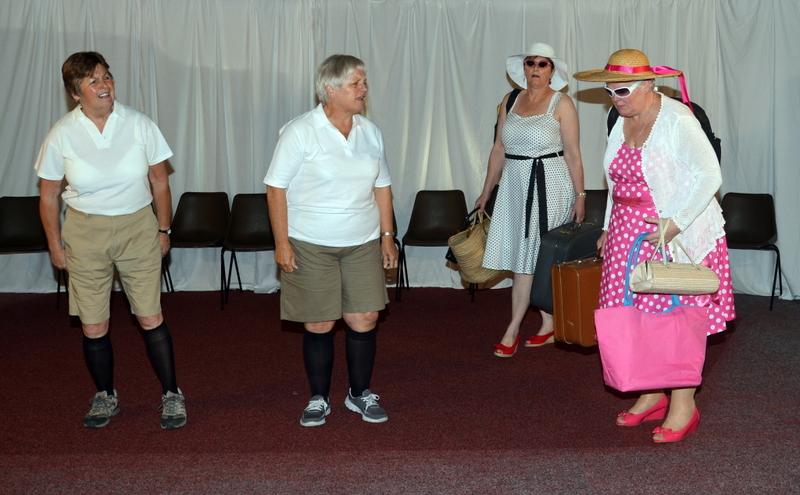 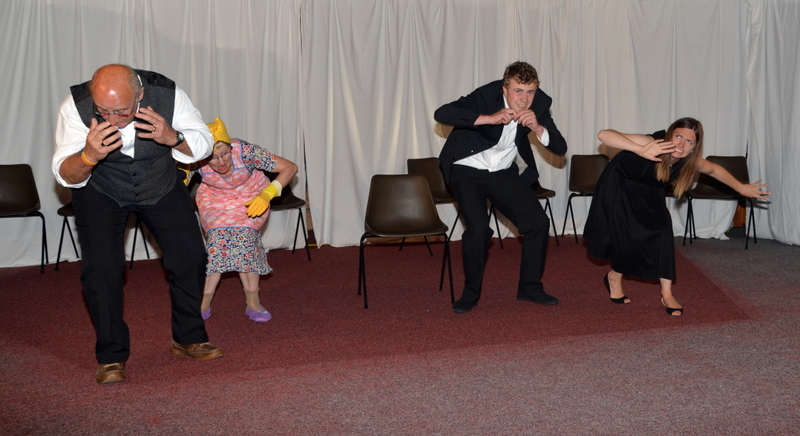 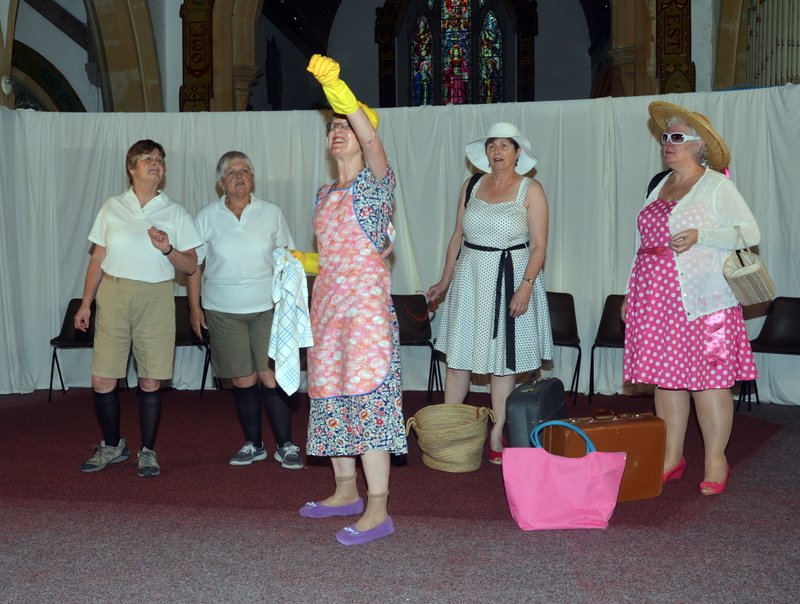 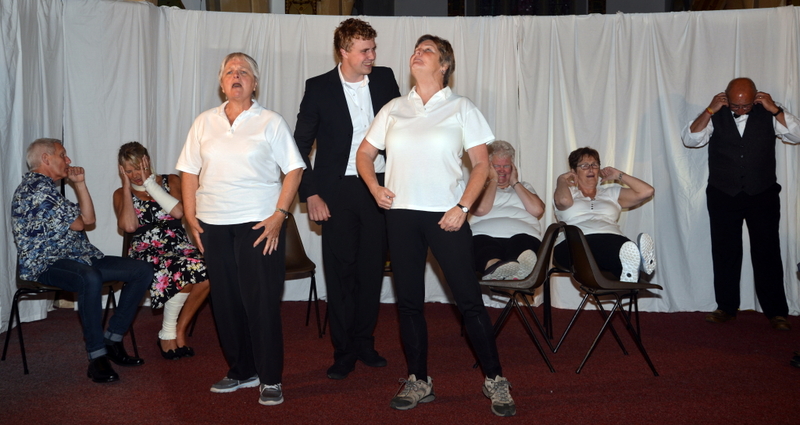 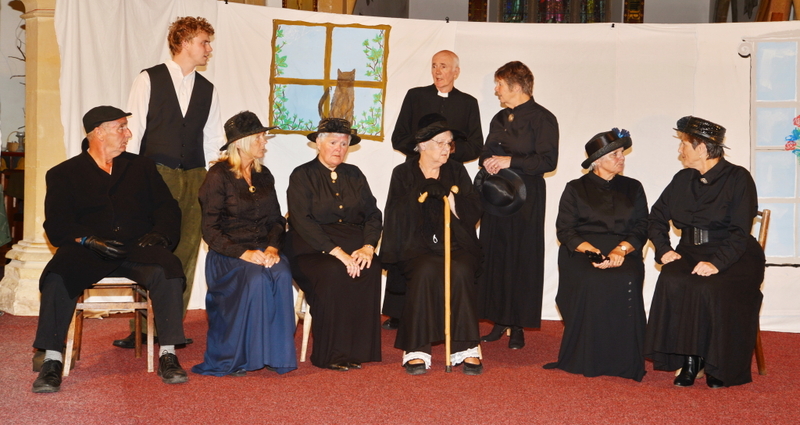 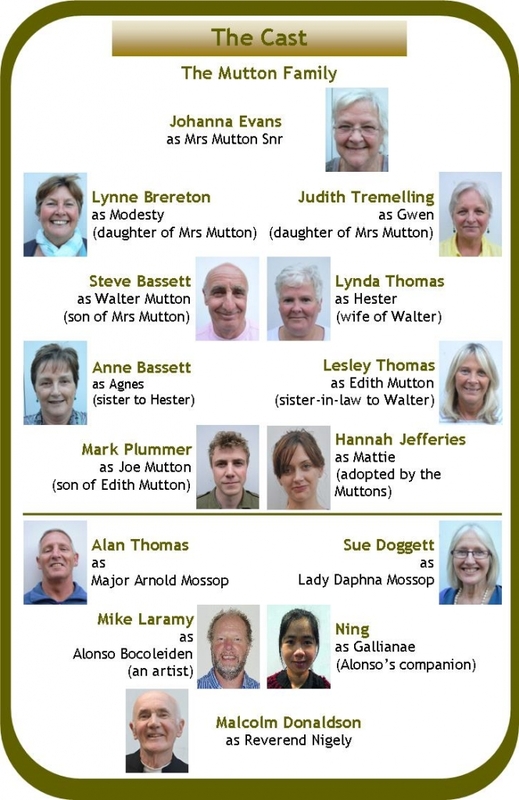 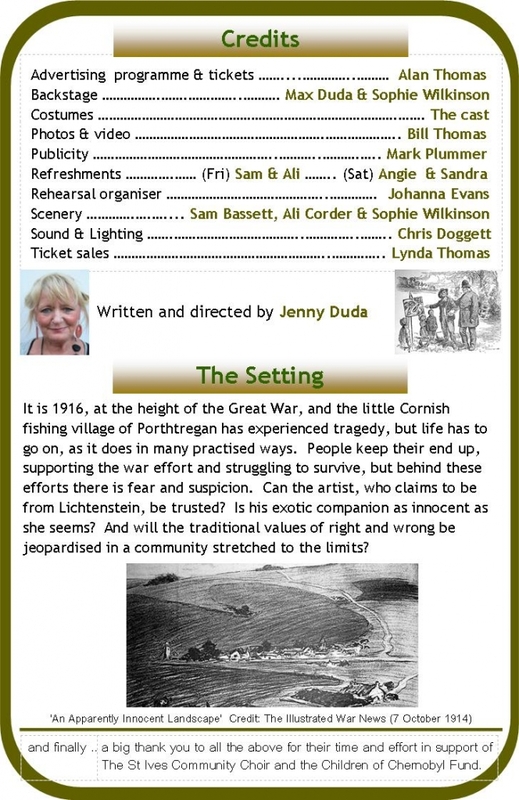 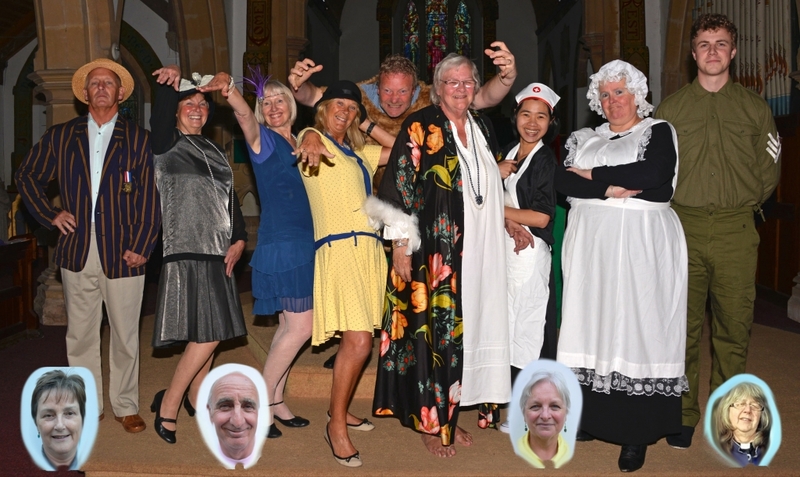 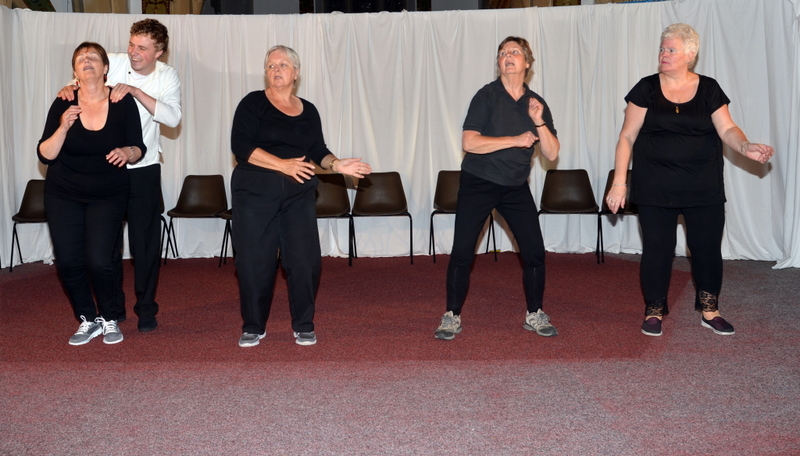 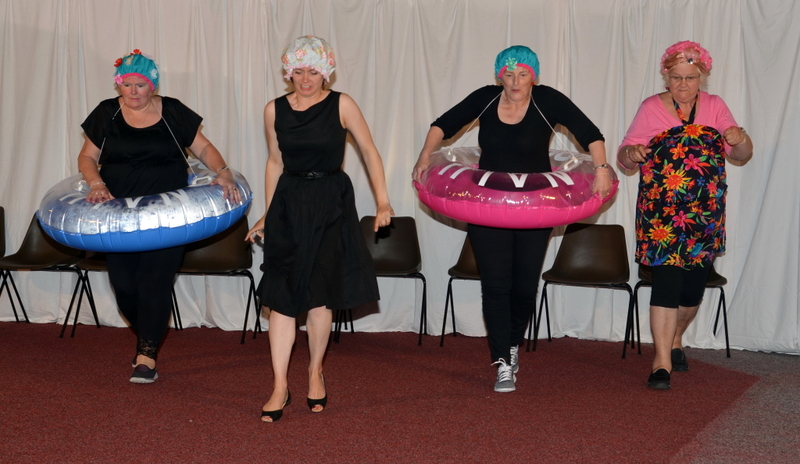 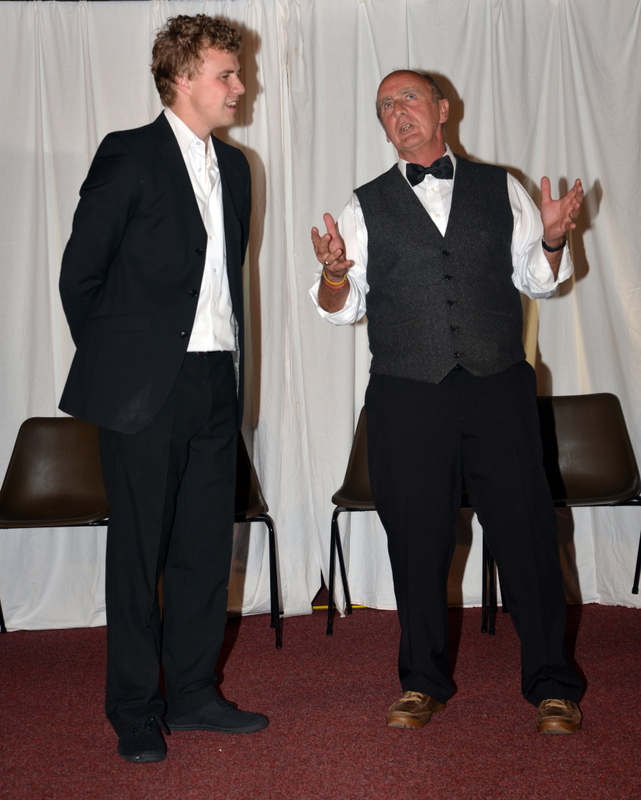 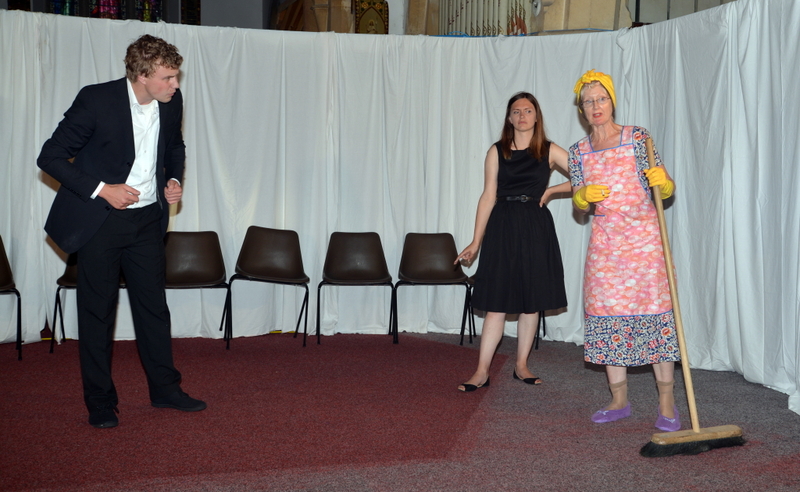 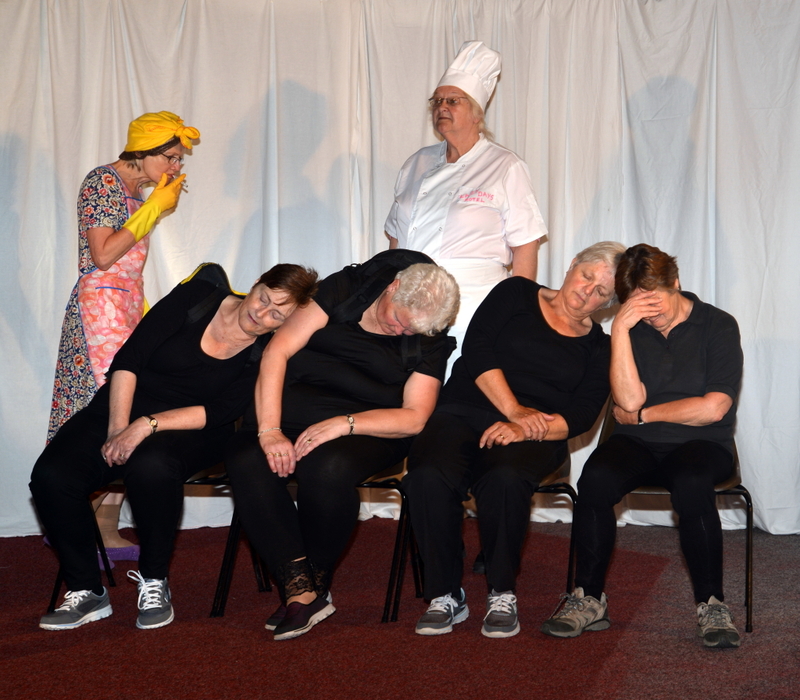 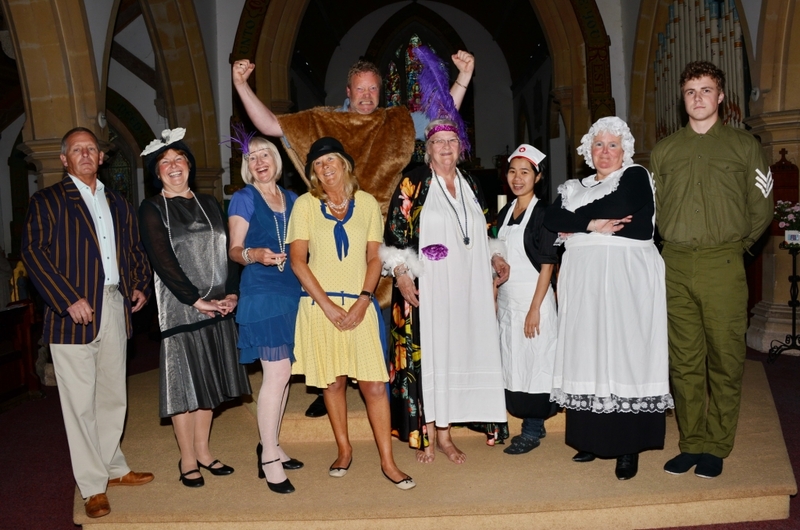 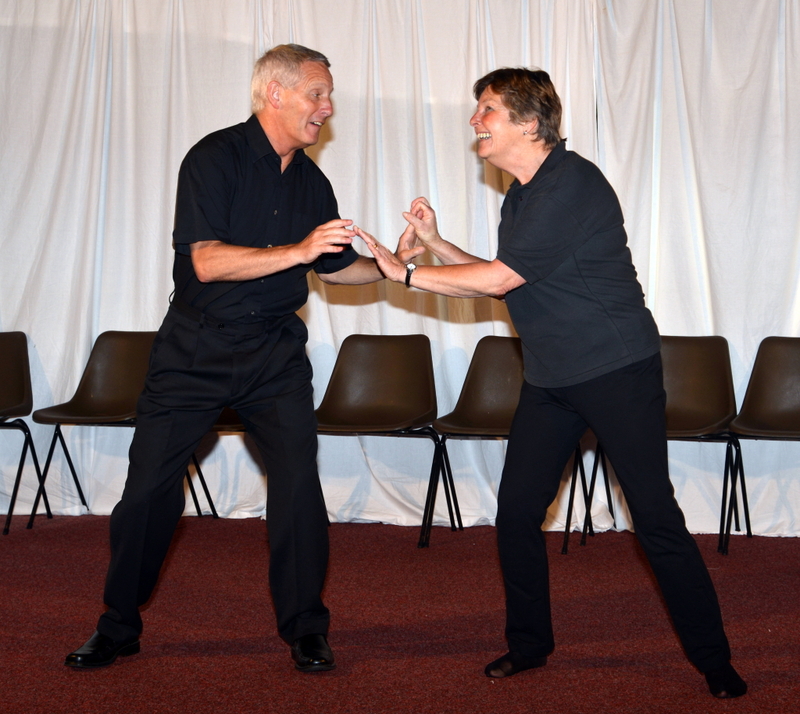 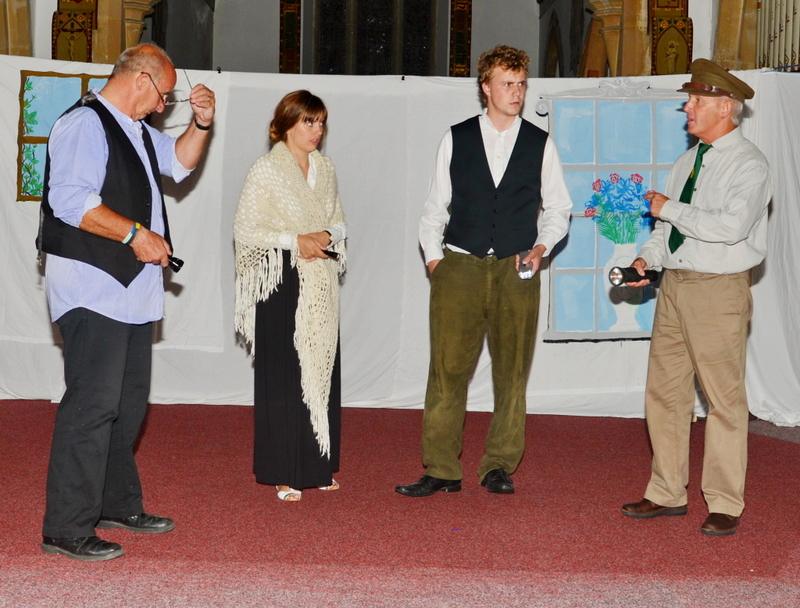 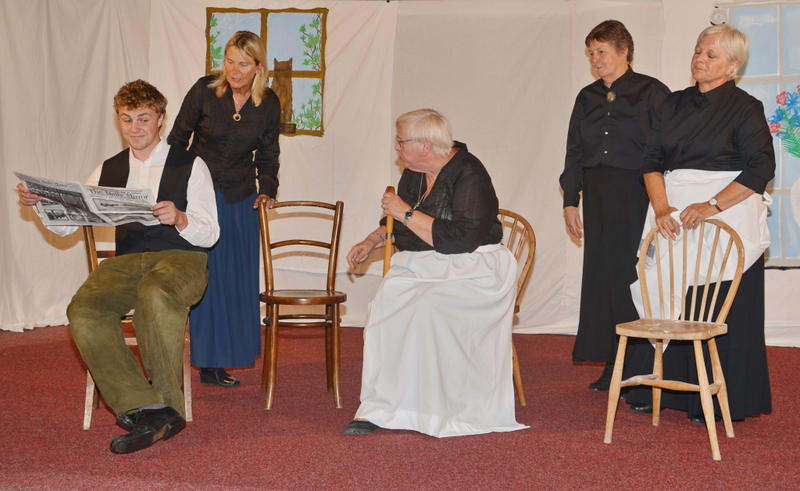 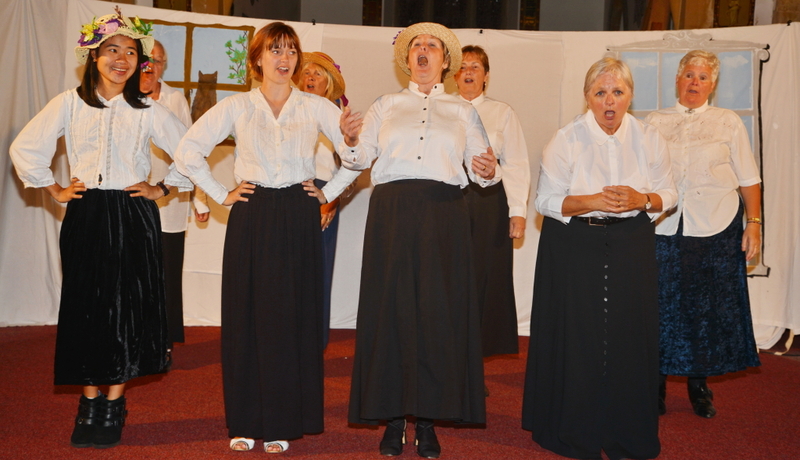 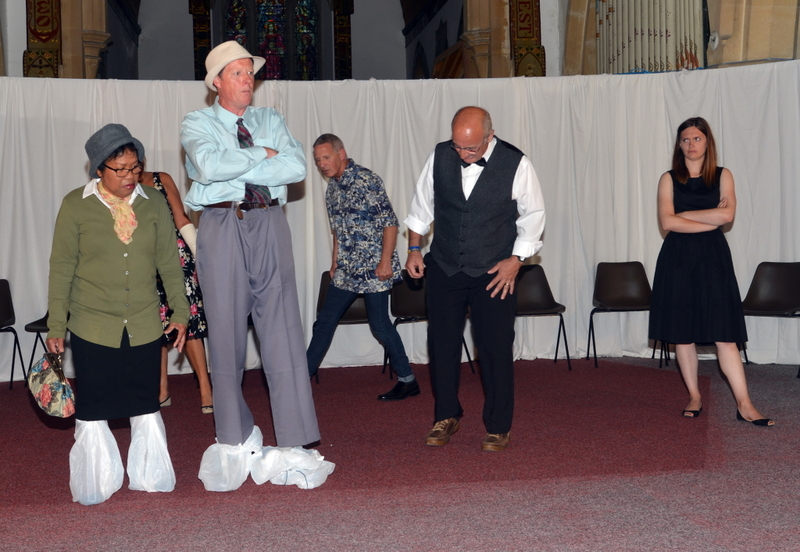 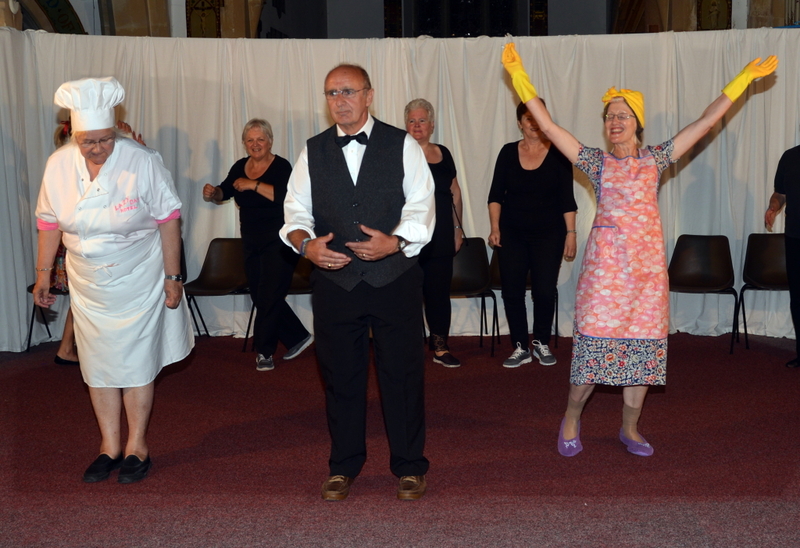 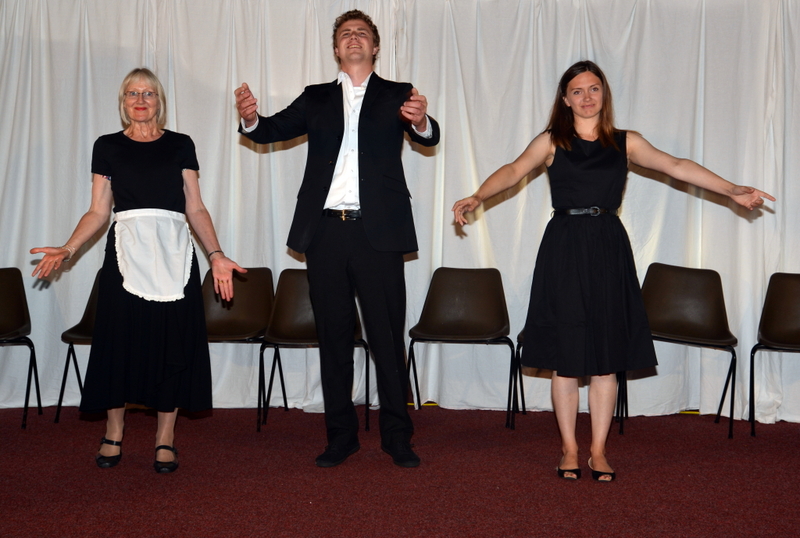 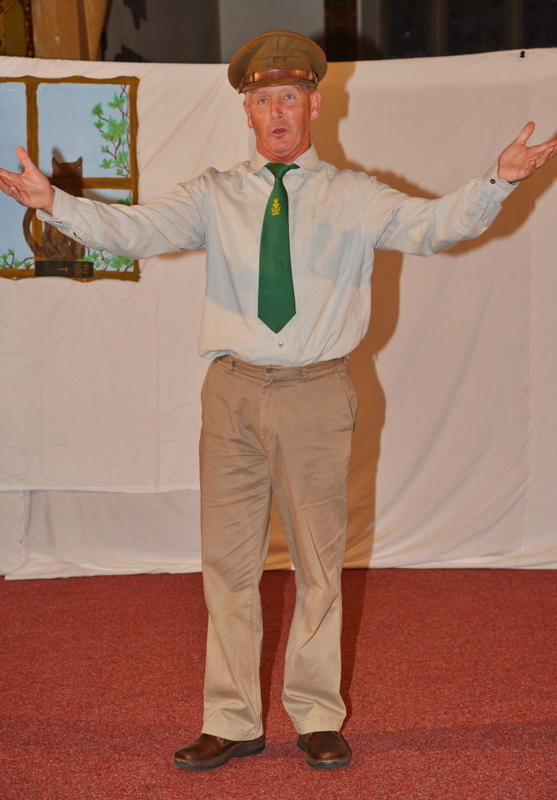 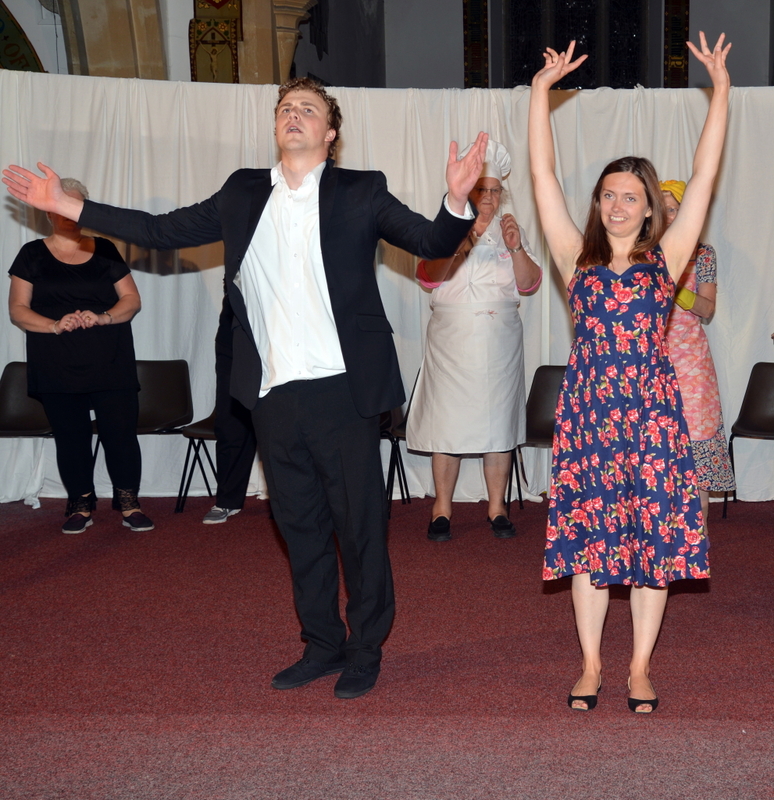 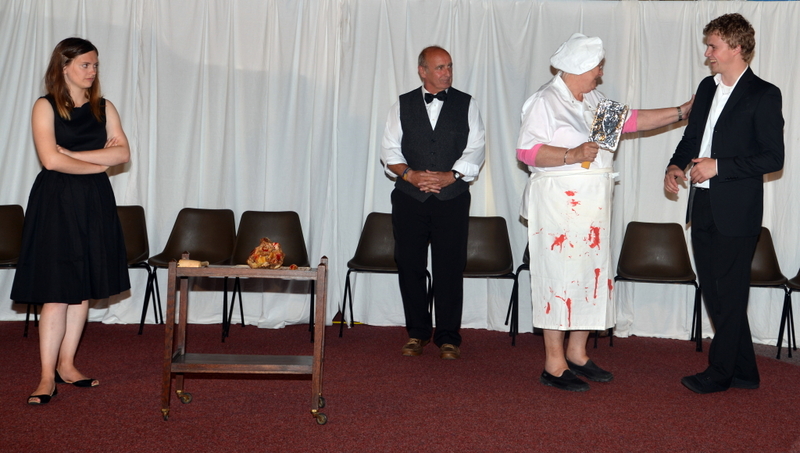 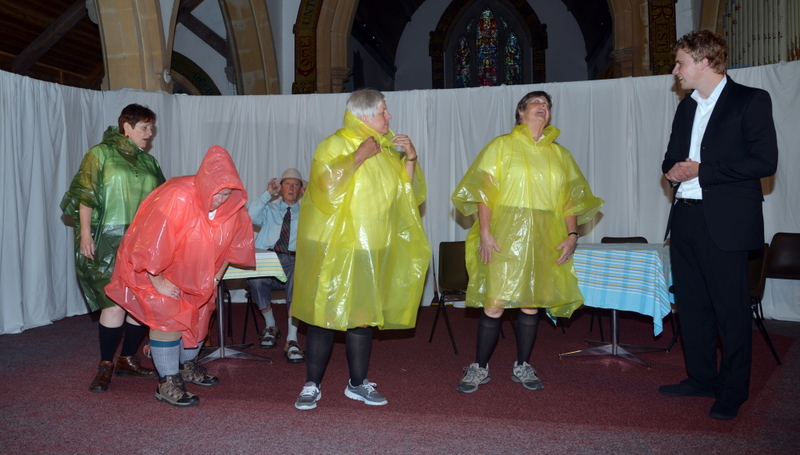 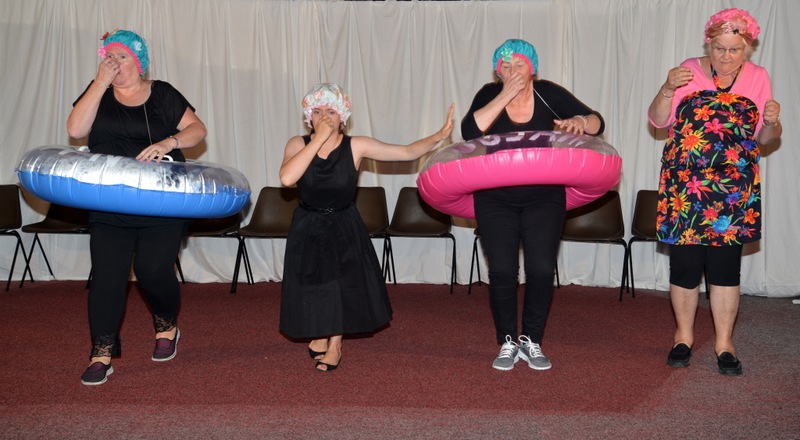 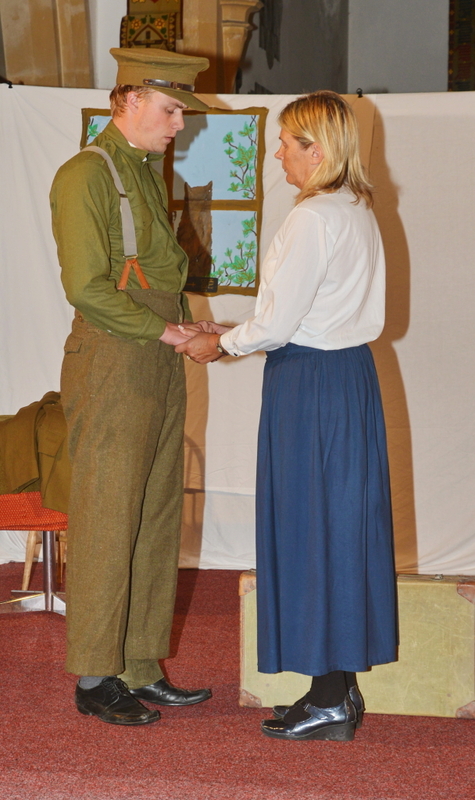 Choir members present their 3rd play to a packed audience at St John's in the Fields Church on Friday 26th & Saturday 27th June 2015. 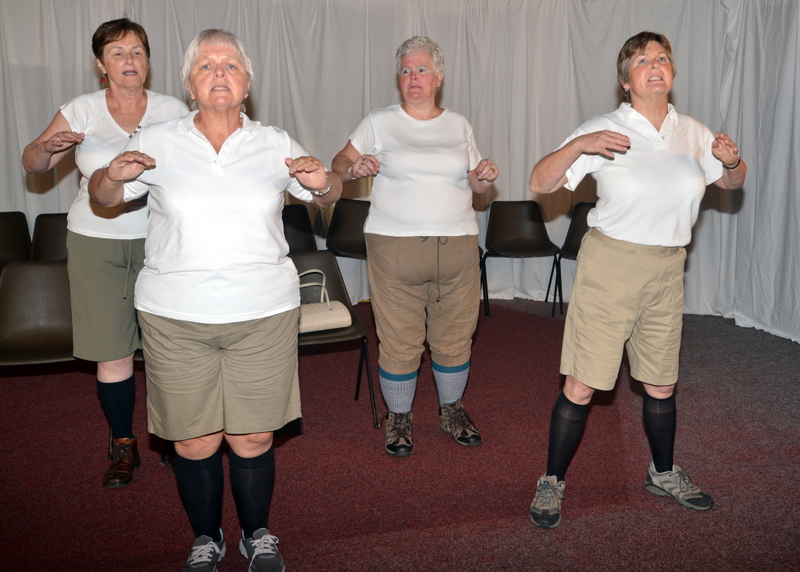 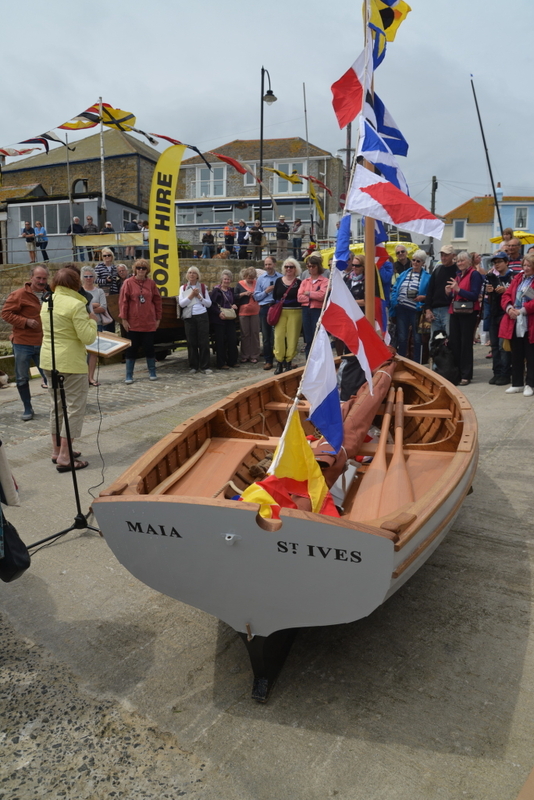 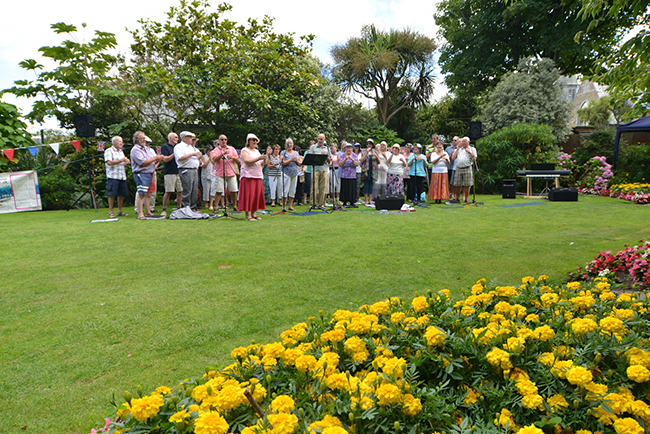 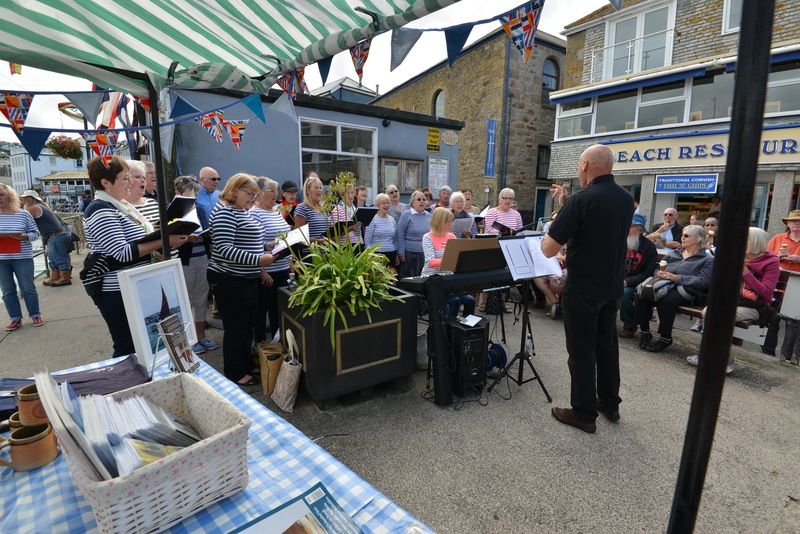 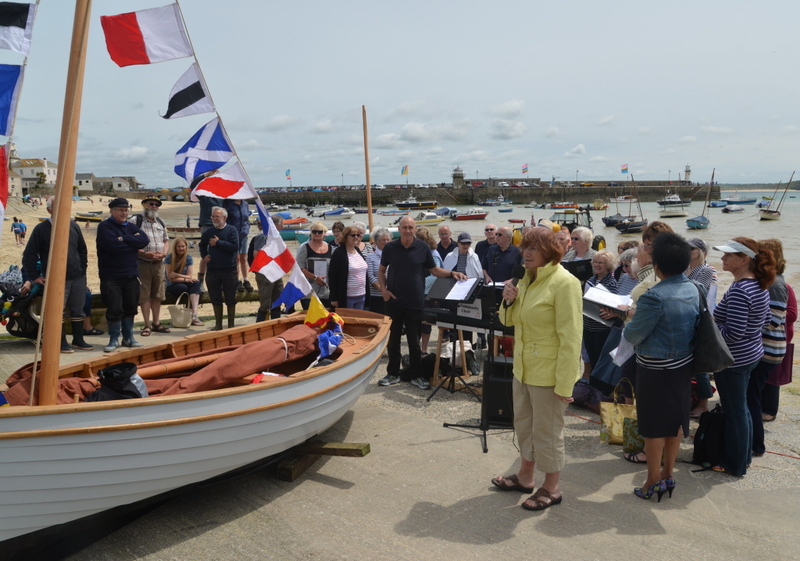 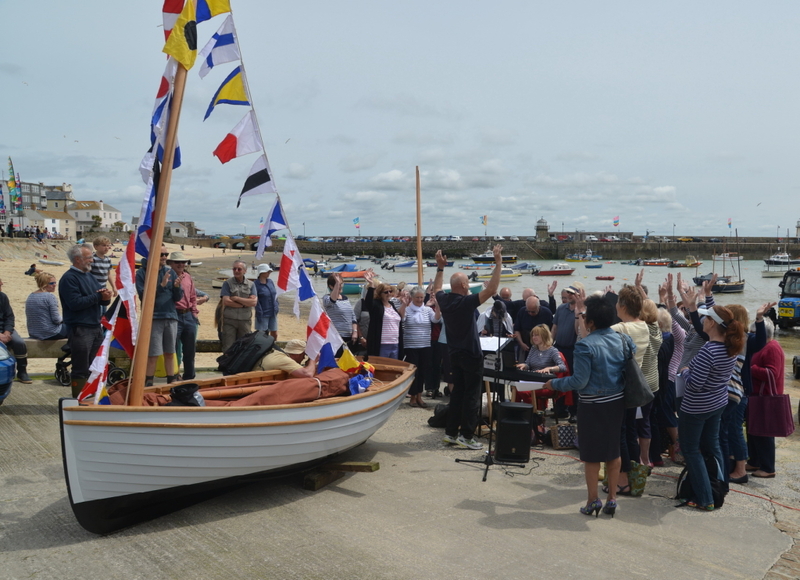 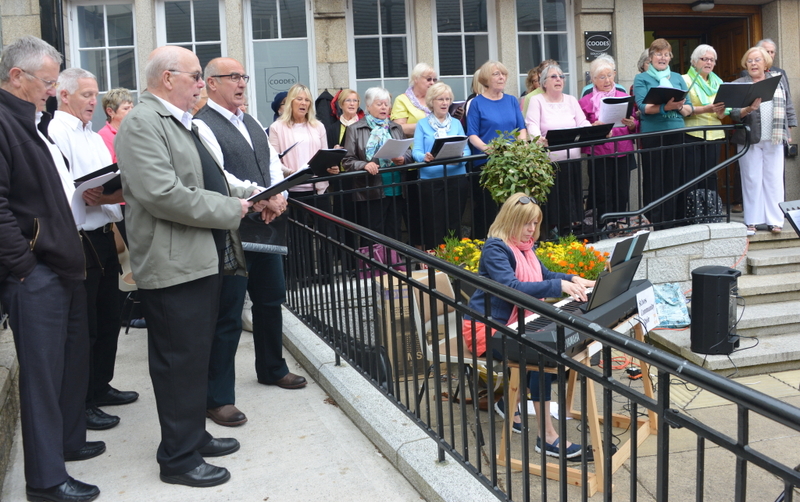 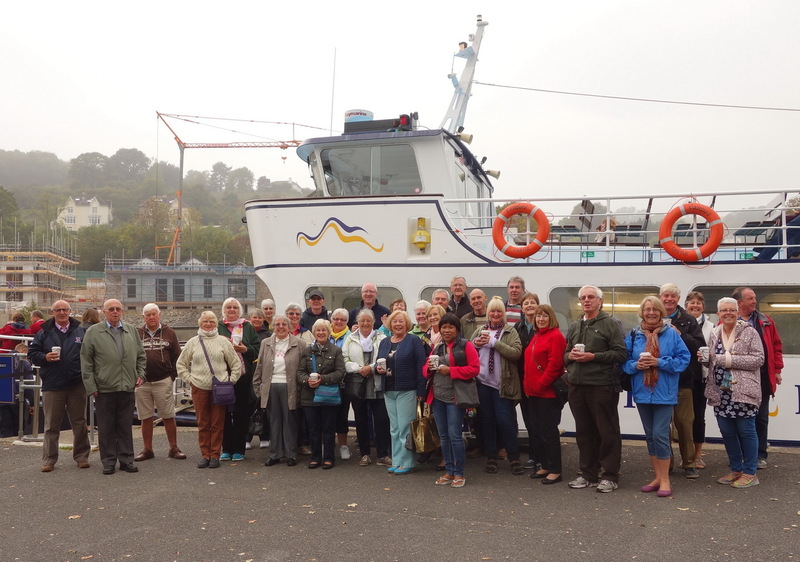 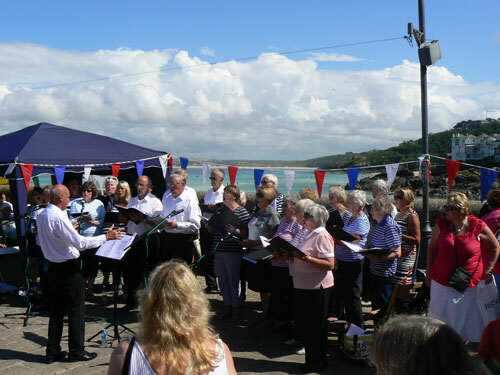 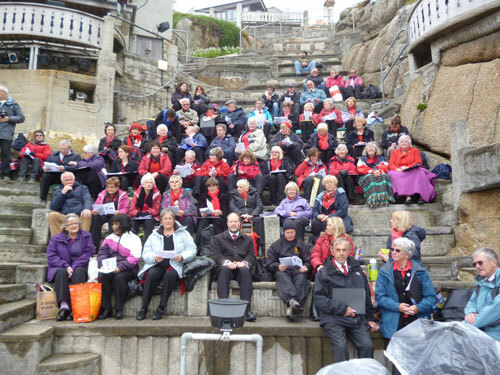 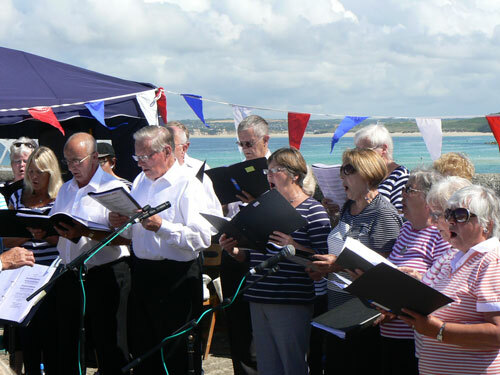 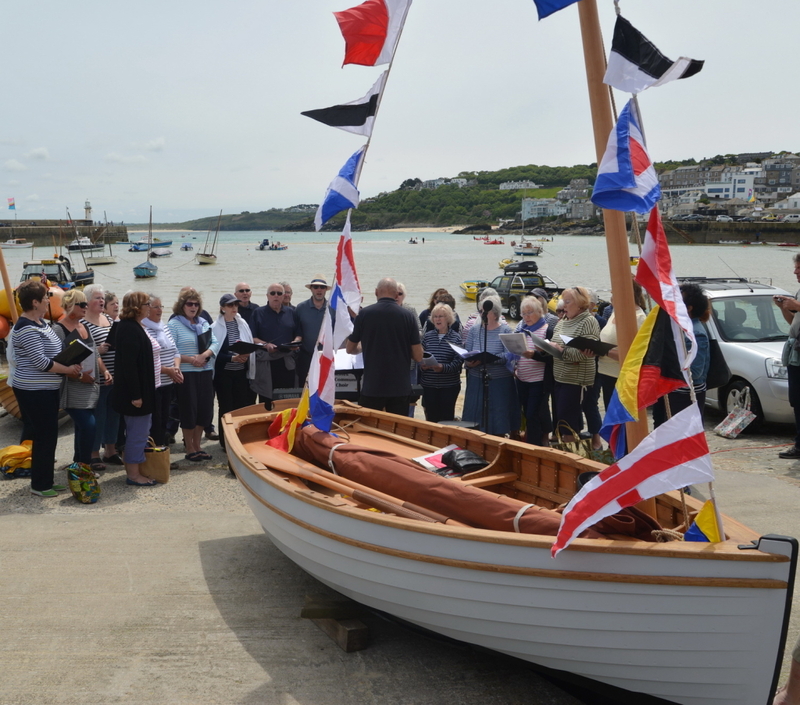 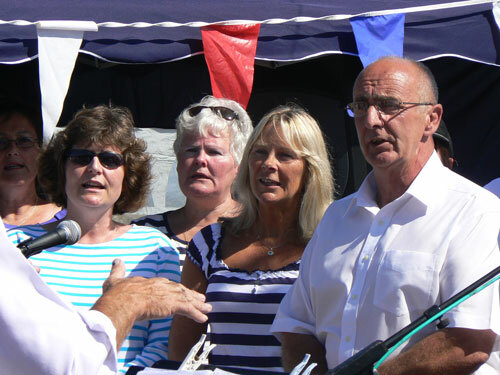 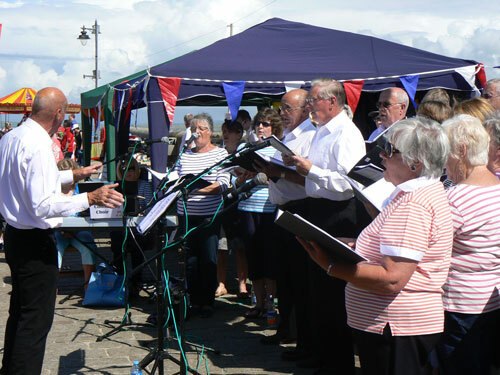 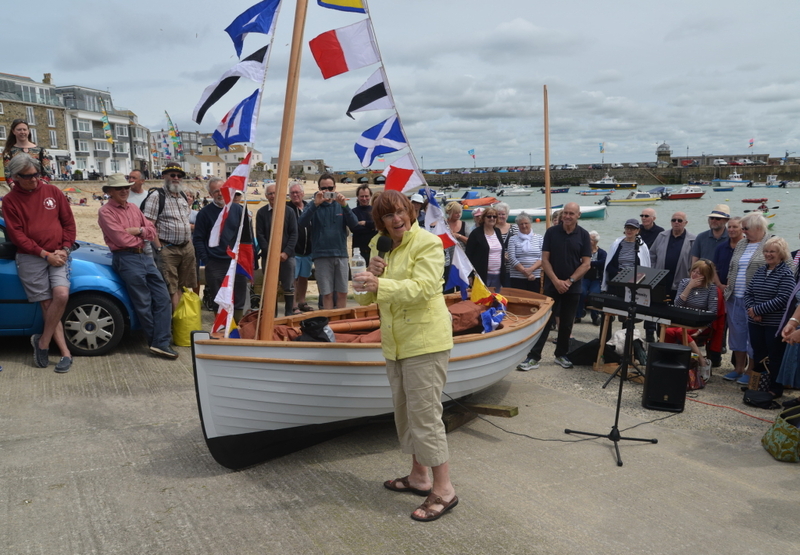 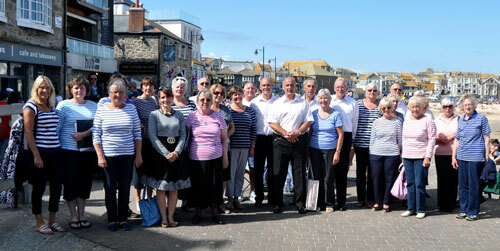 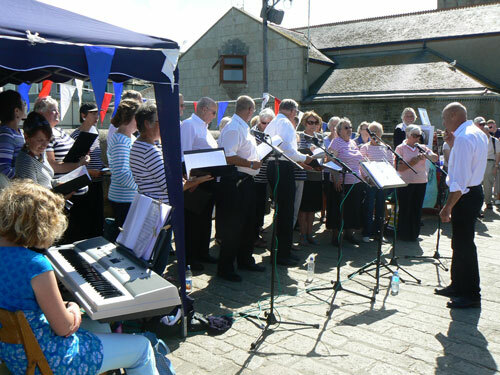 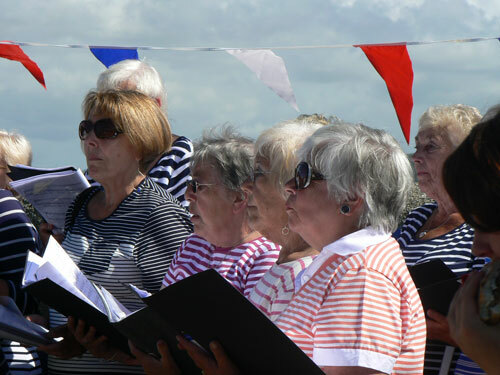 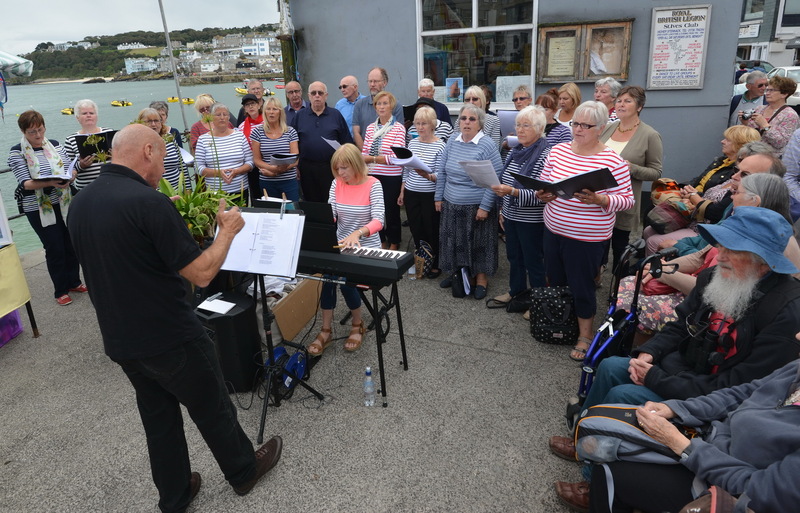 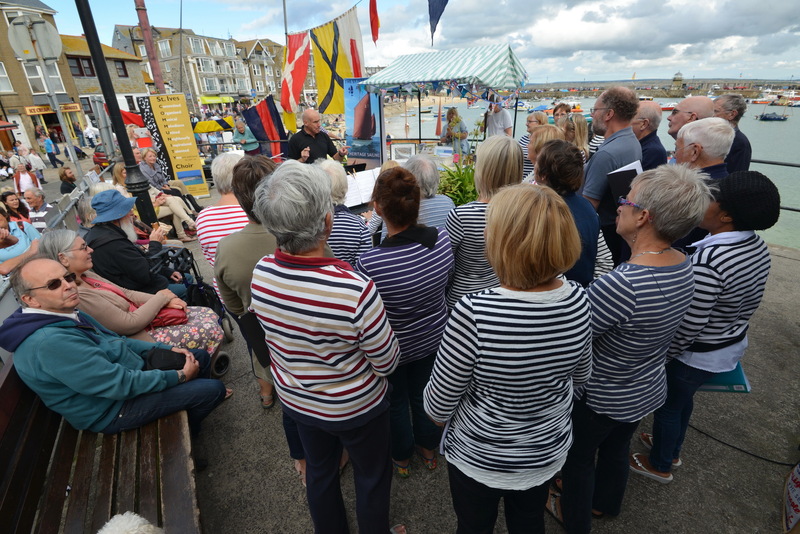 The choir gave a short performance of several songs to celebrate the launching ceremony of the latest sailing punt in the Jonny Nance built St Ives Jumbo Association fleet. 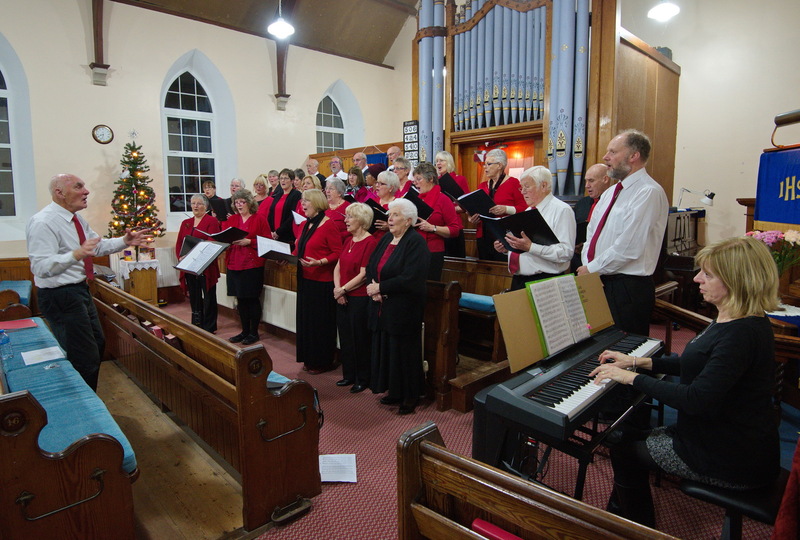 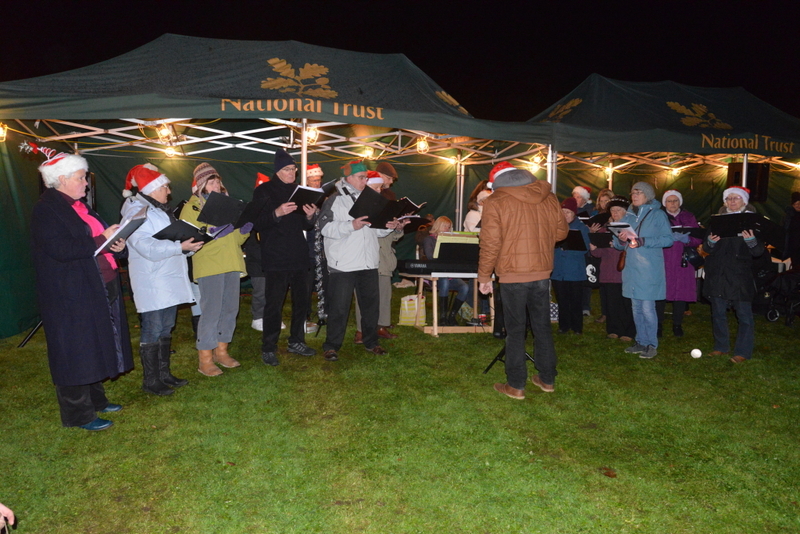 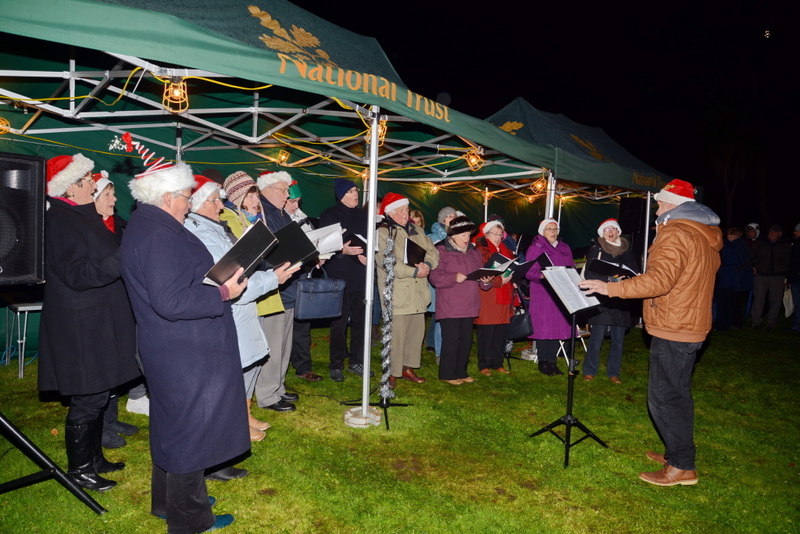 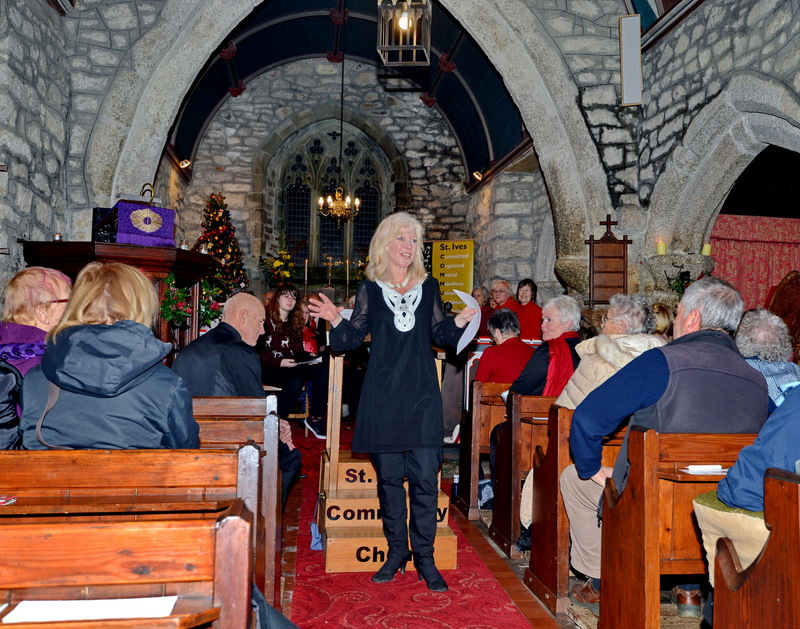 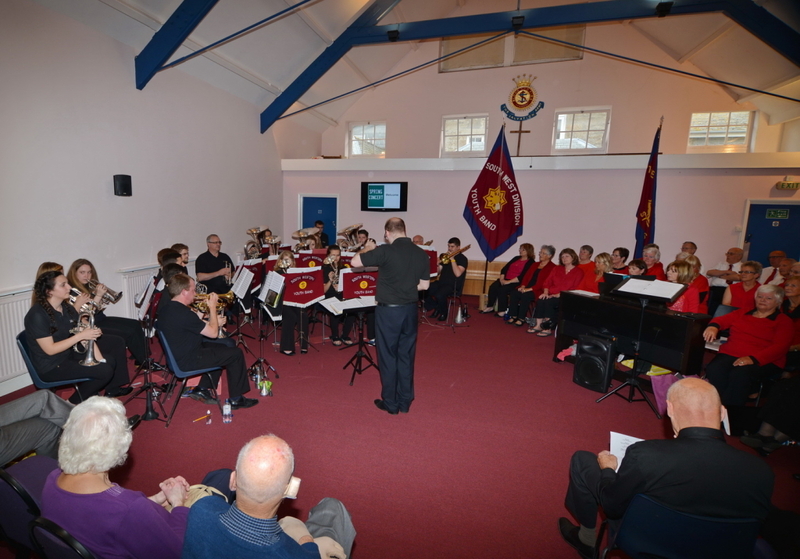 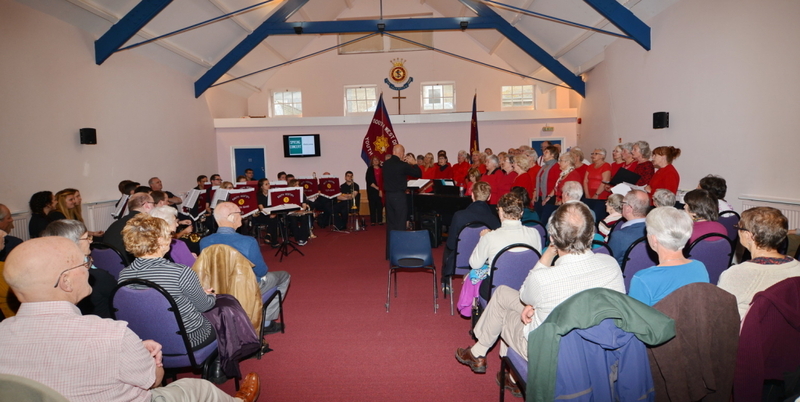 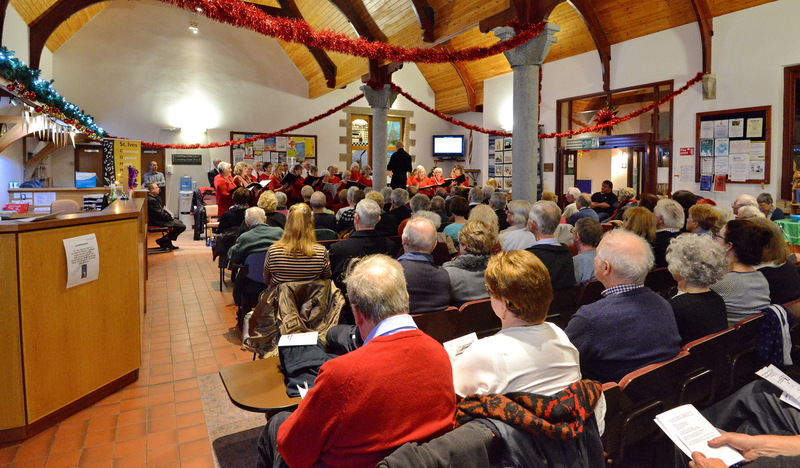 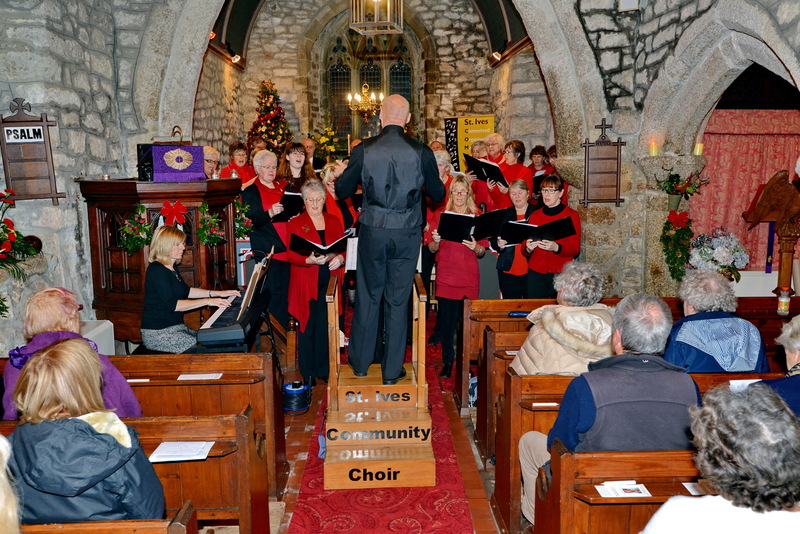 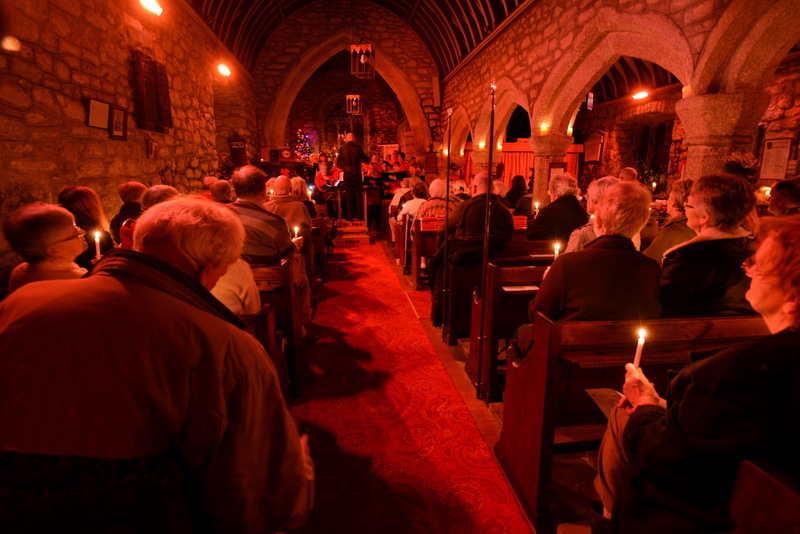 The choir shared the evening with a wealth of great music before a well pleased audience. 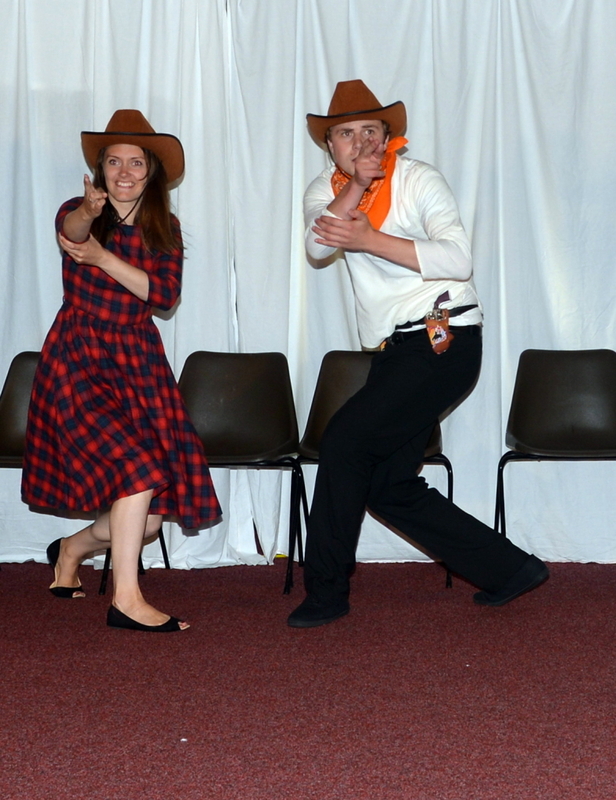 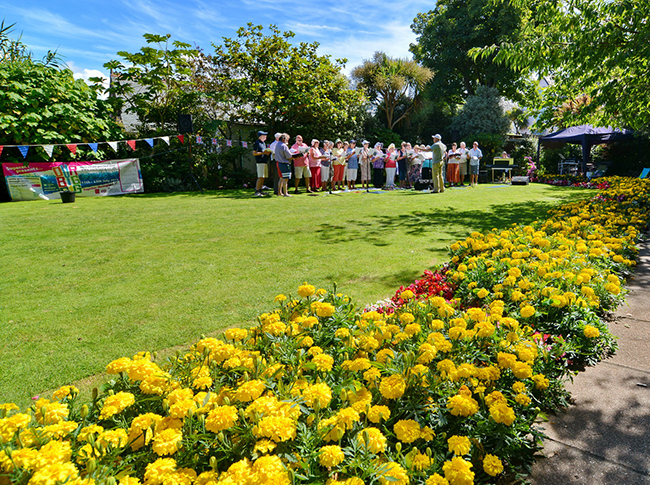 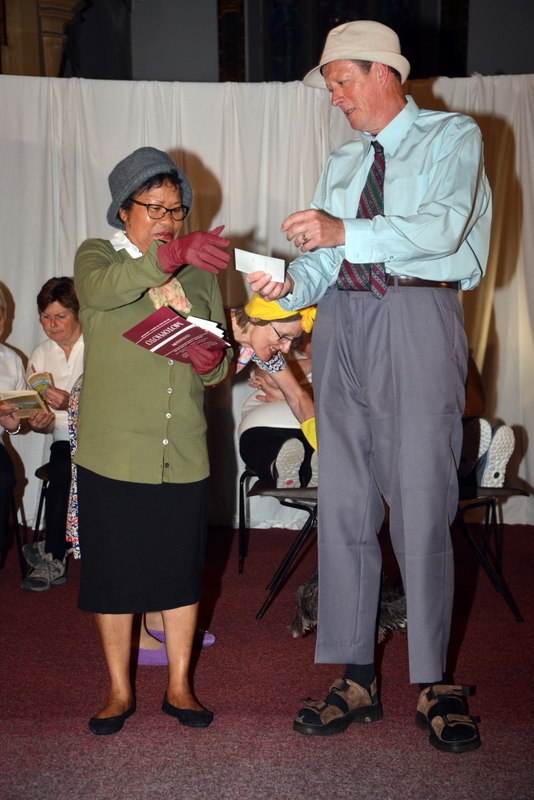 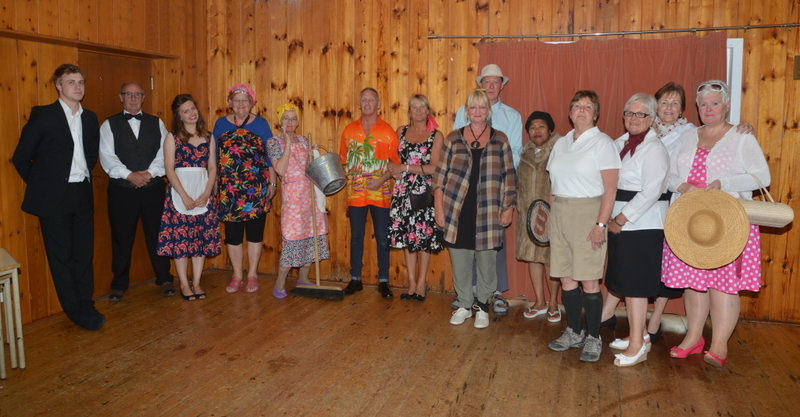 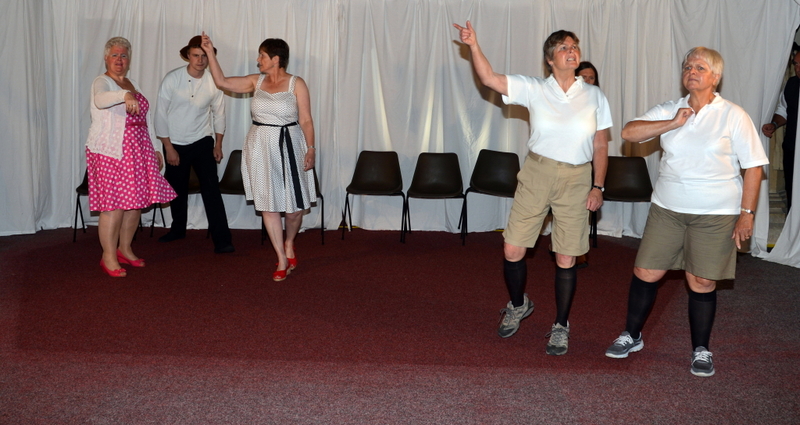 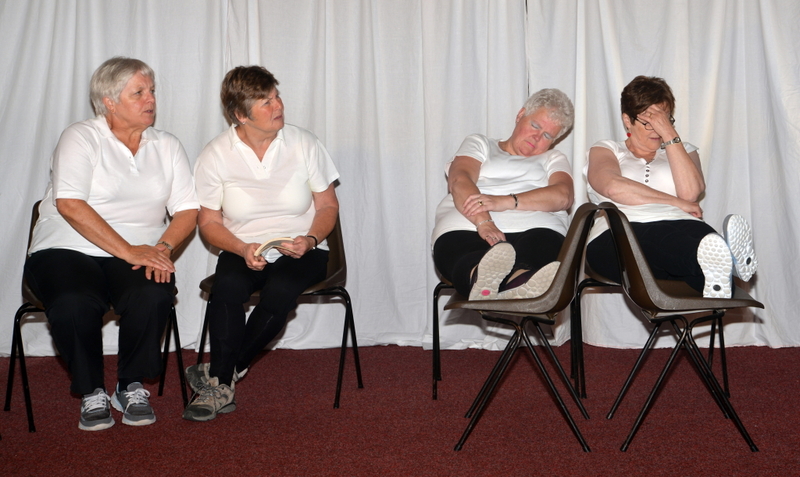 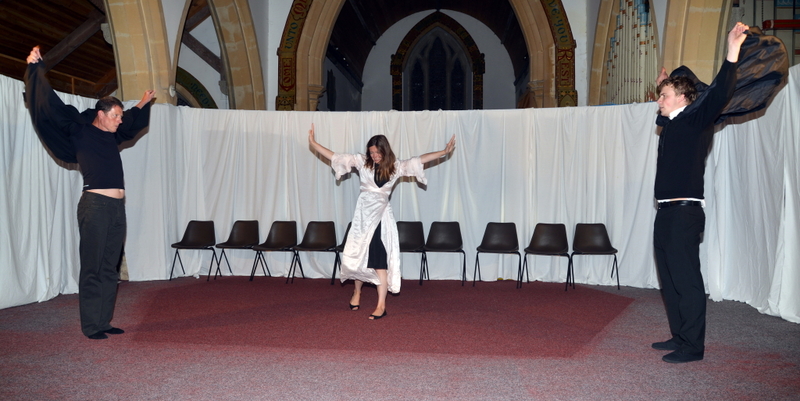 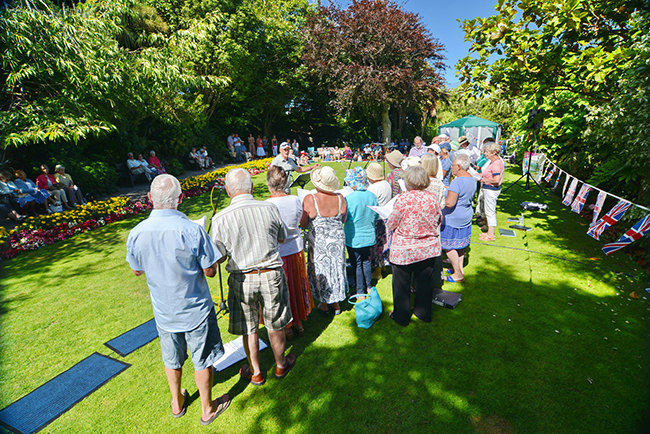 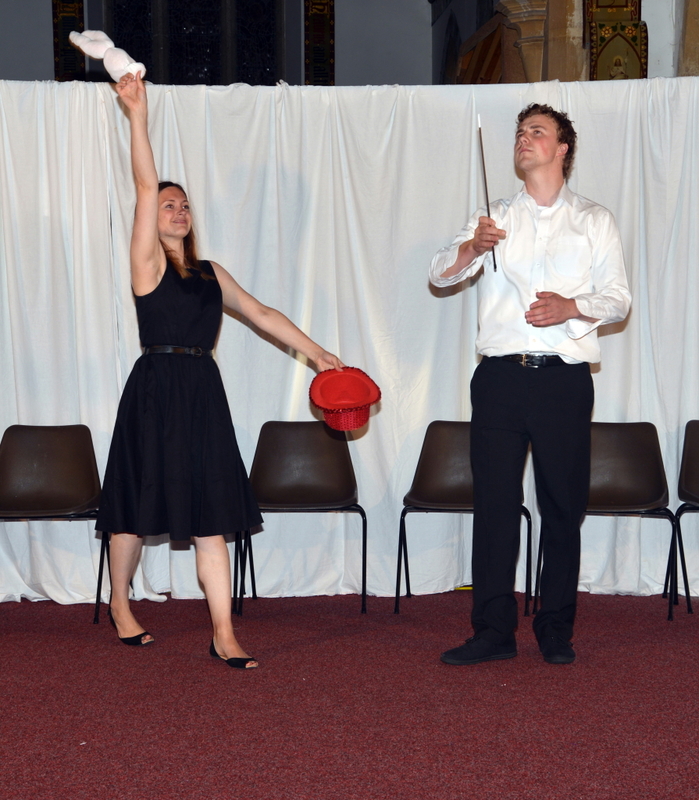 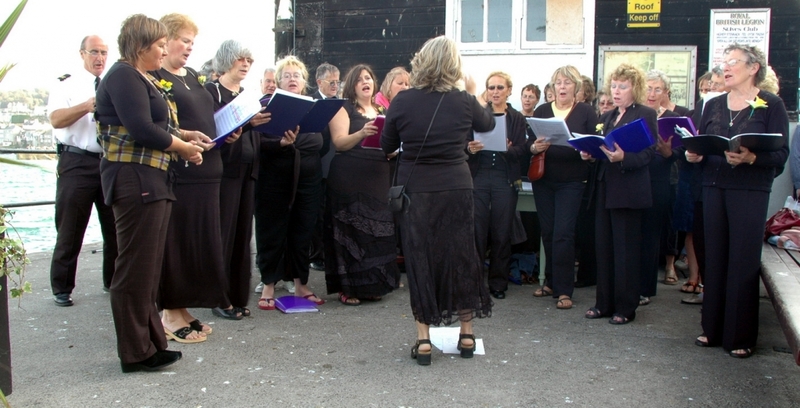 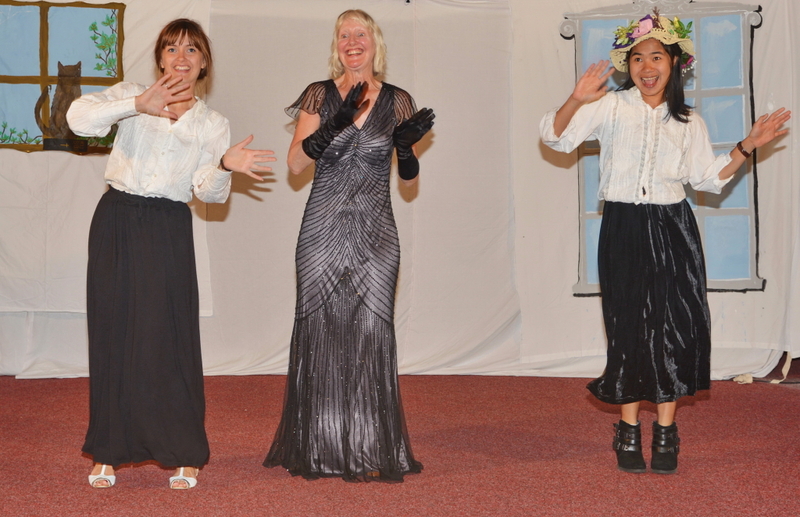 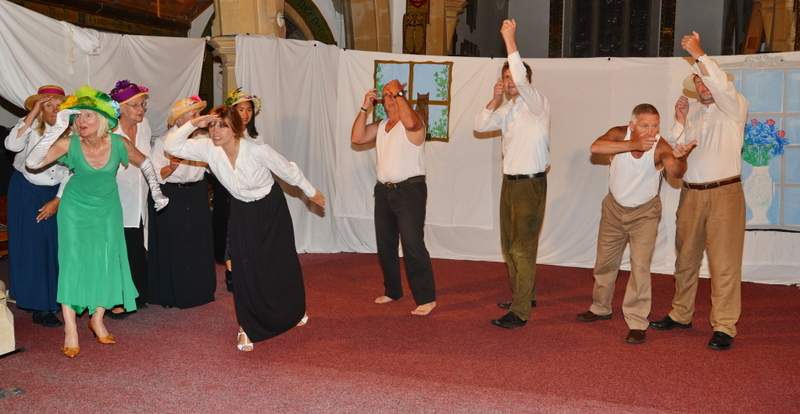 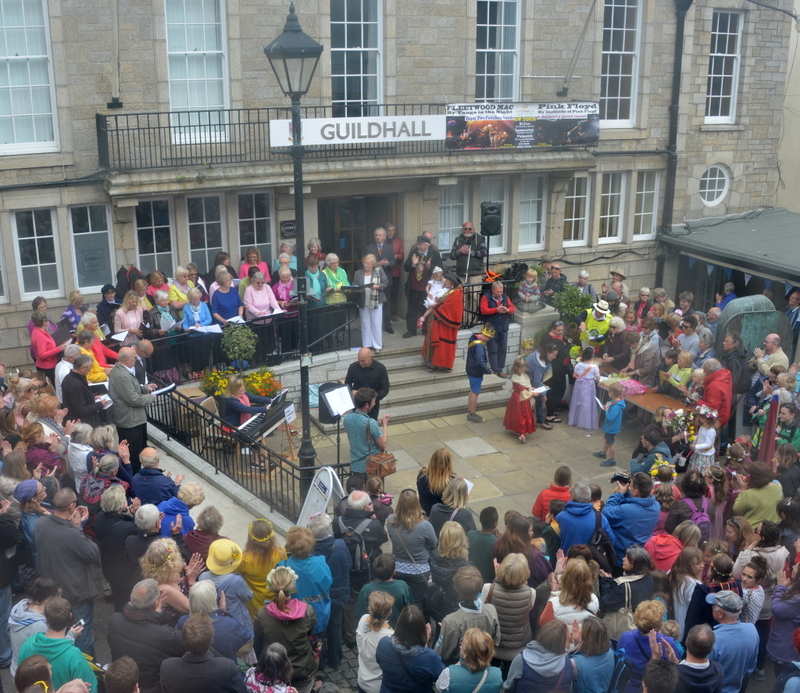 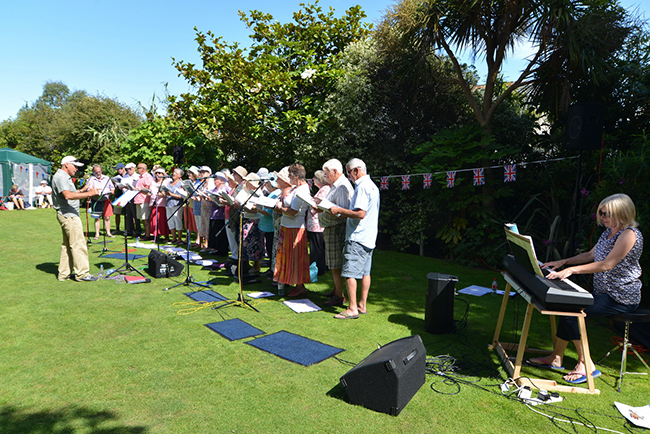 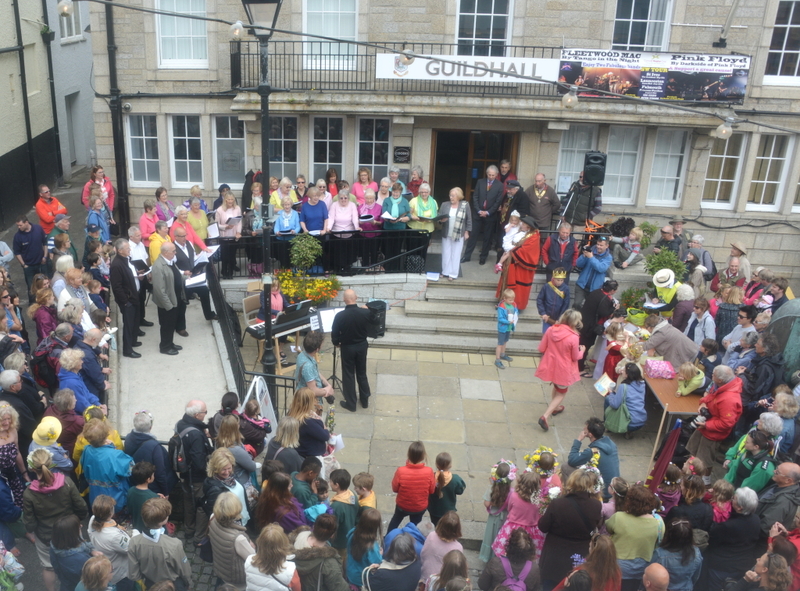 The choir embellished proceedings at the annual May Day celebrations where the May Queen and King are chosen. 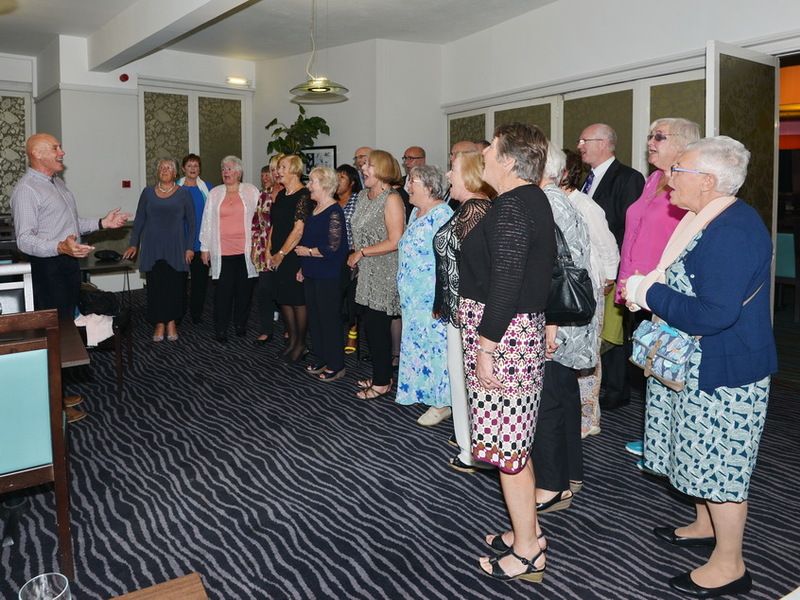 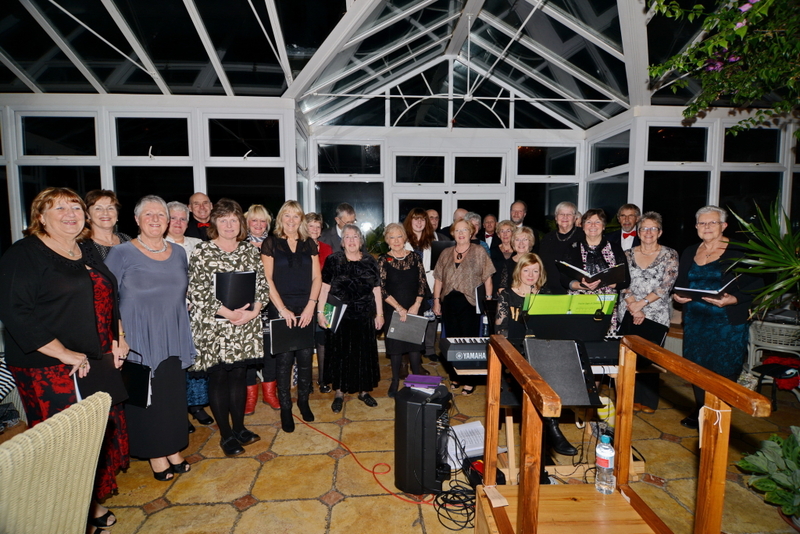 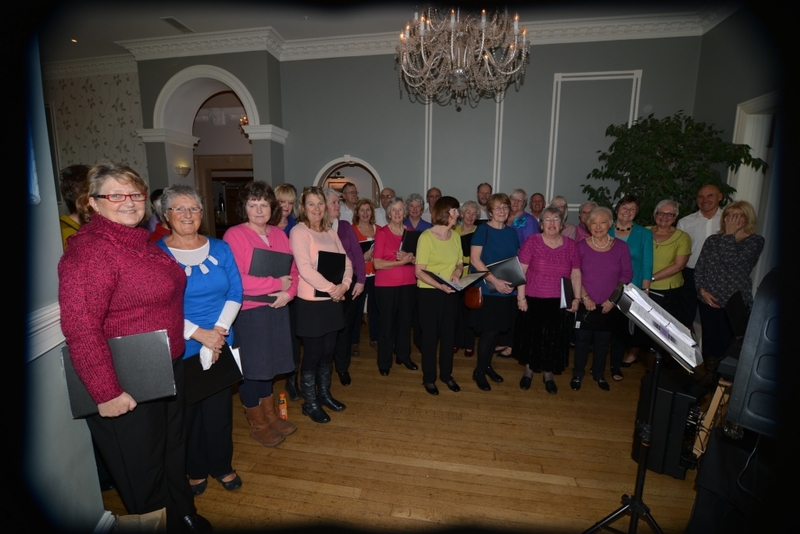 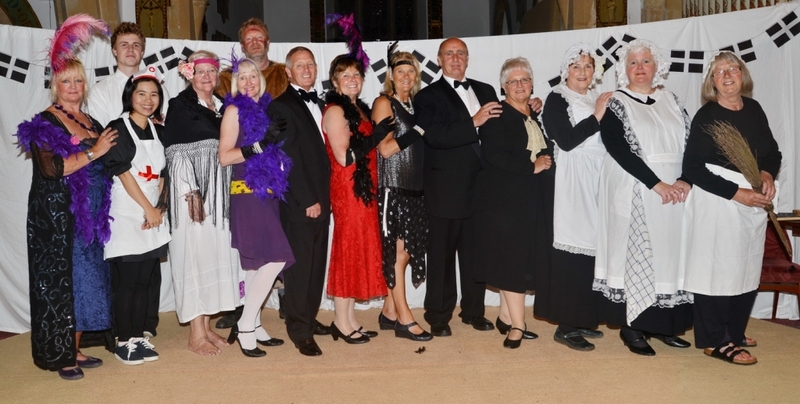 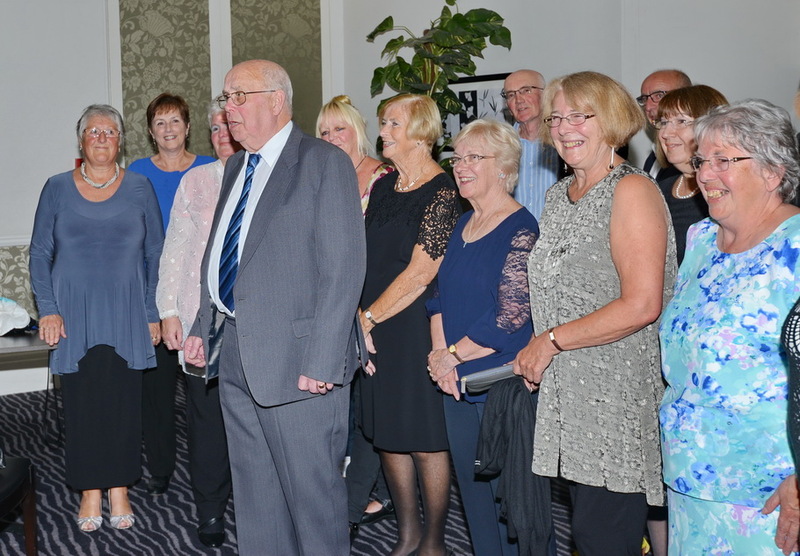 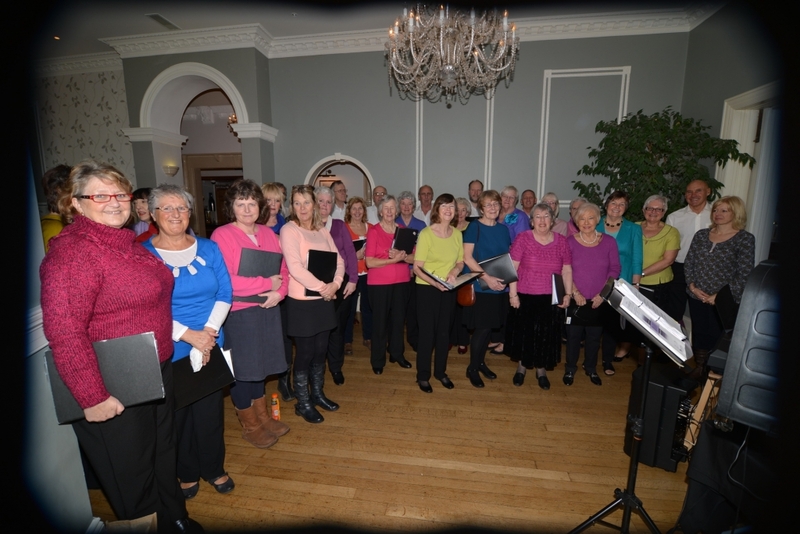 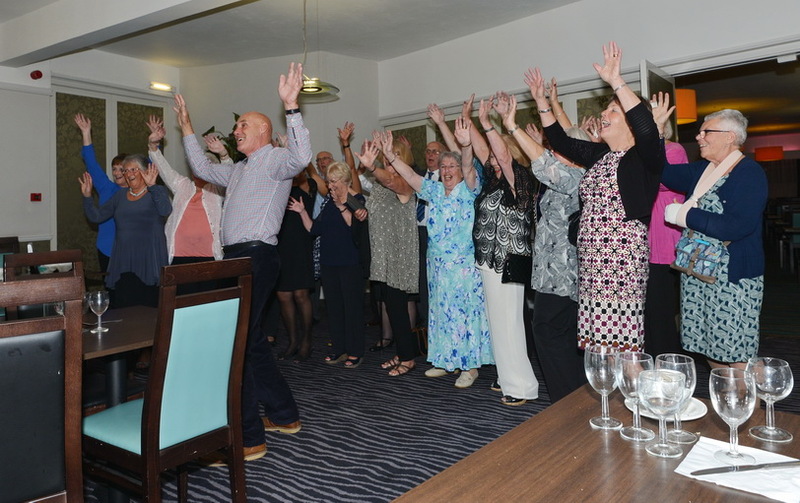 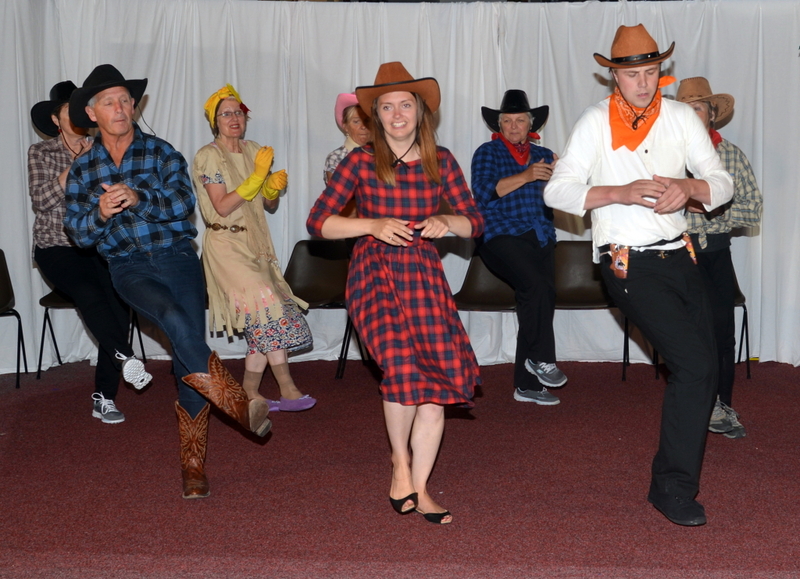 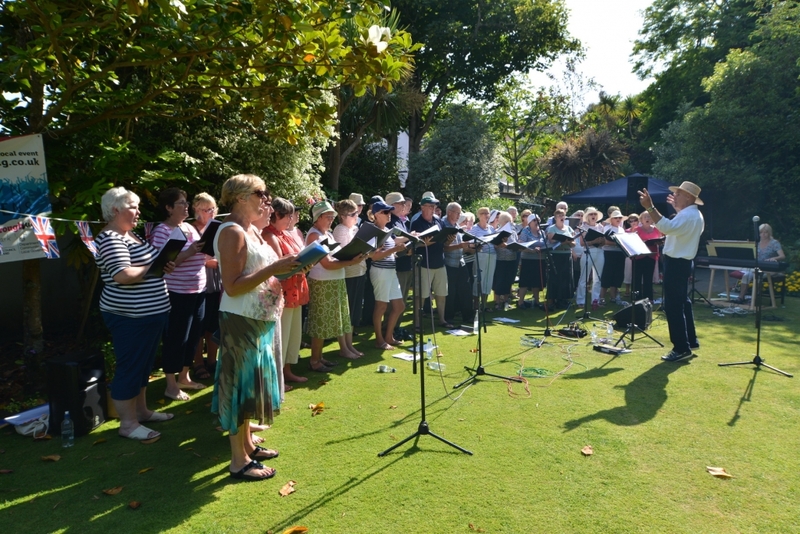 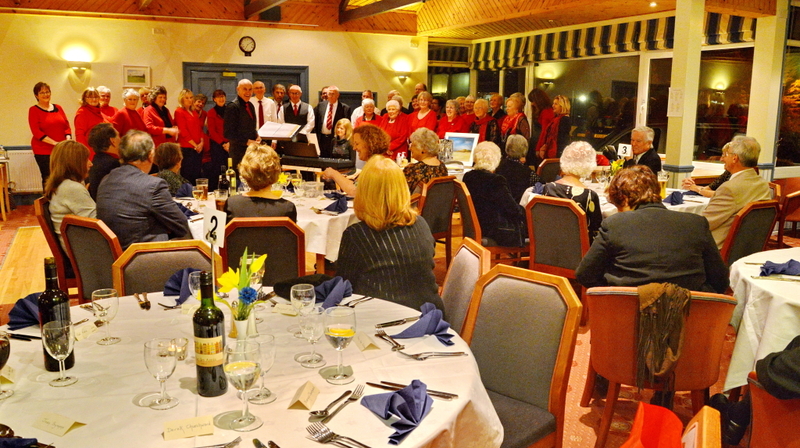 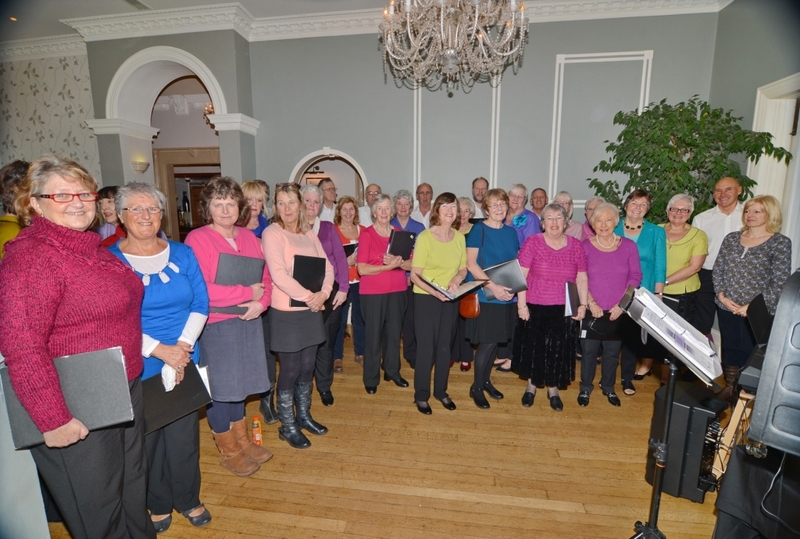 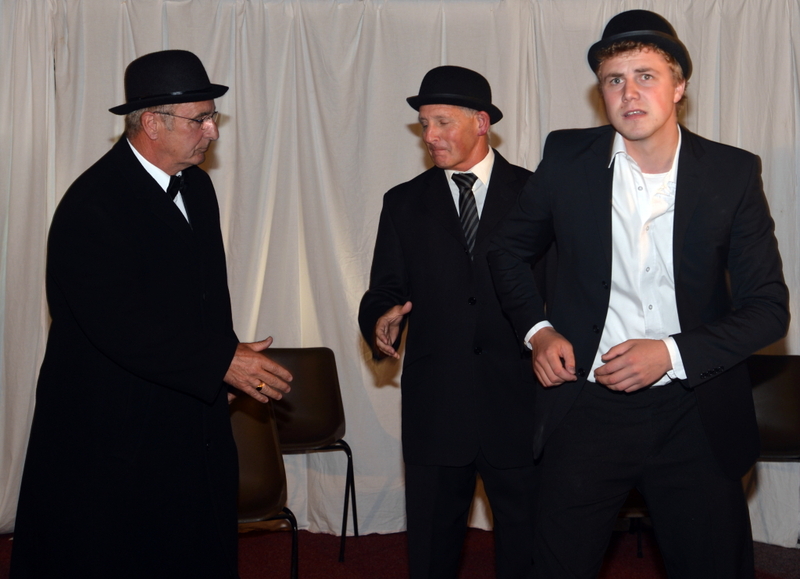 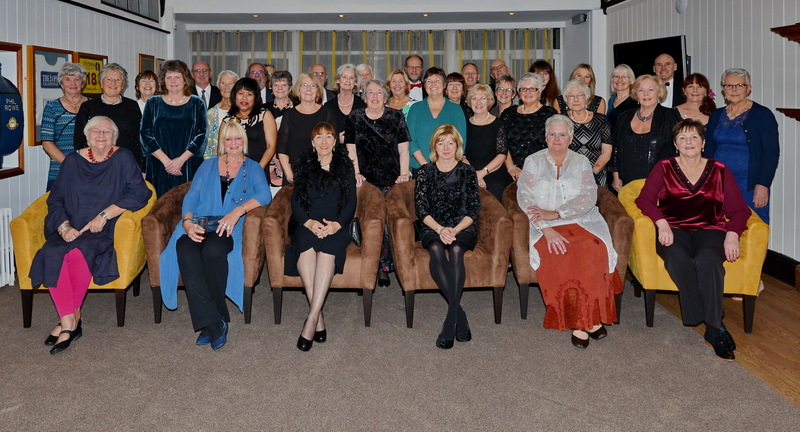 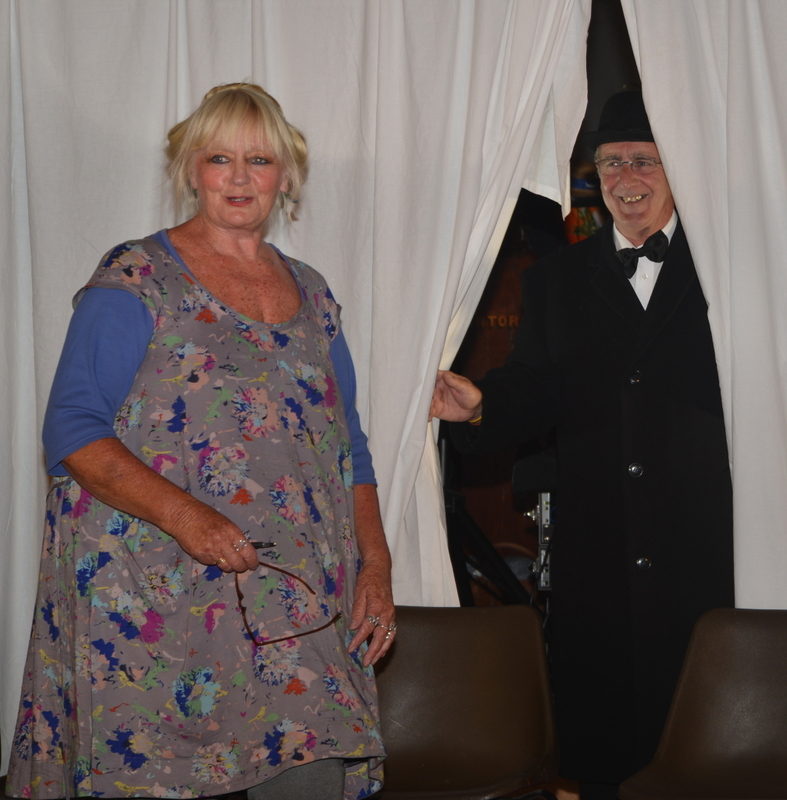 The choir were invited to entertain at the annual dinner held at West Cornwall Golf Club prior to the meal. 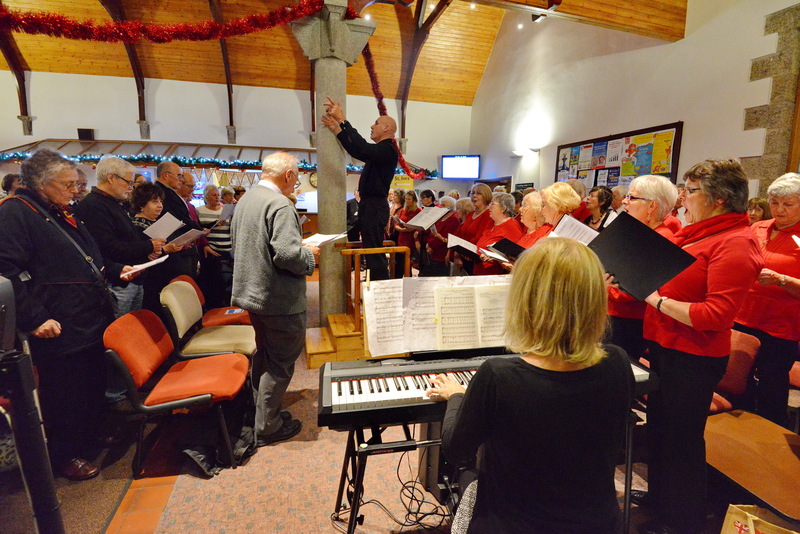 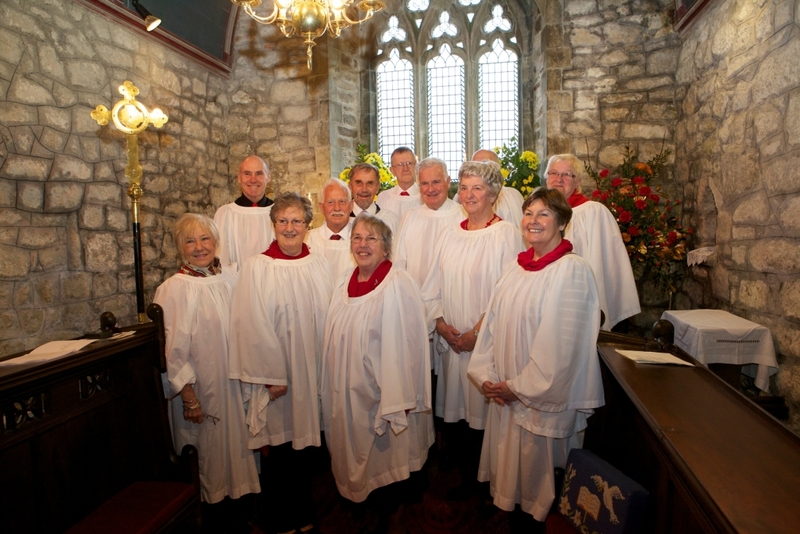 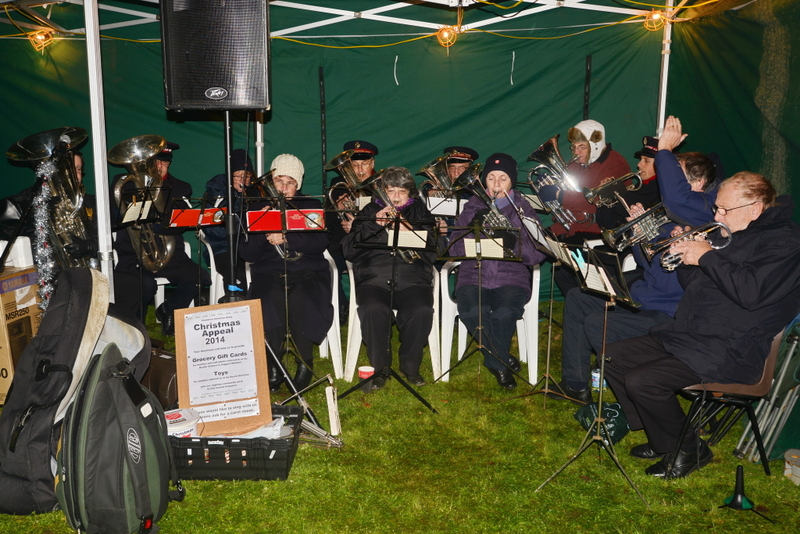 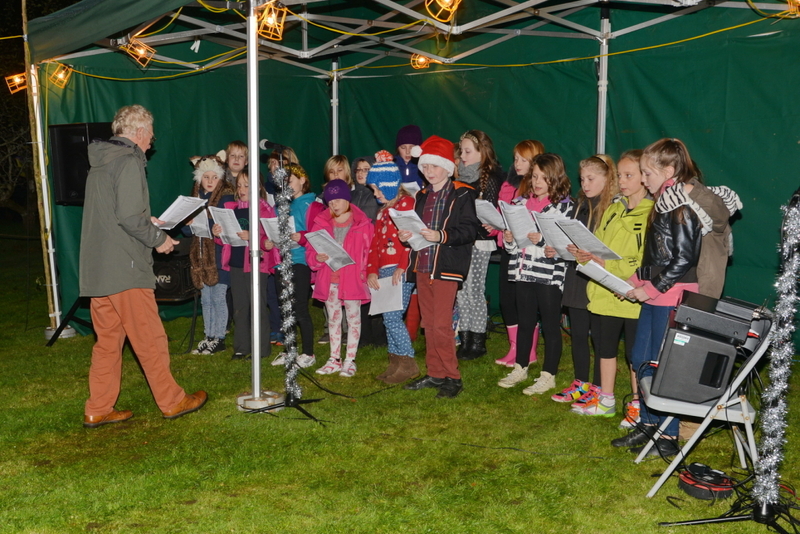 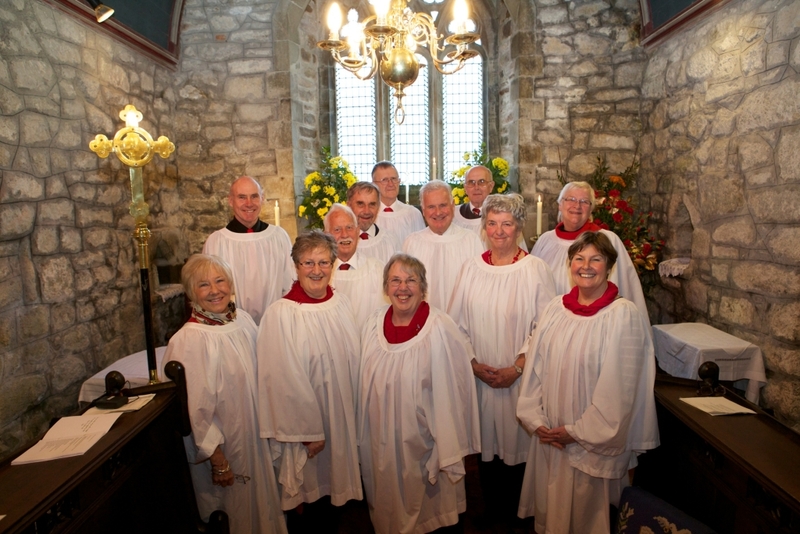 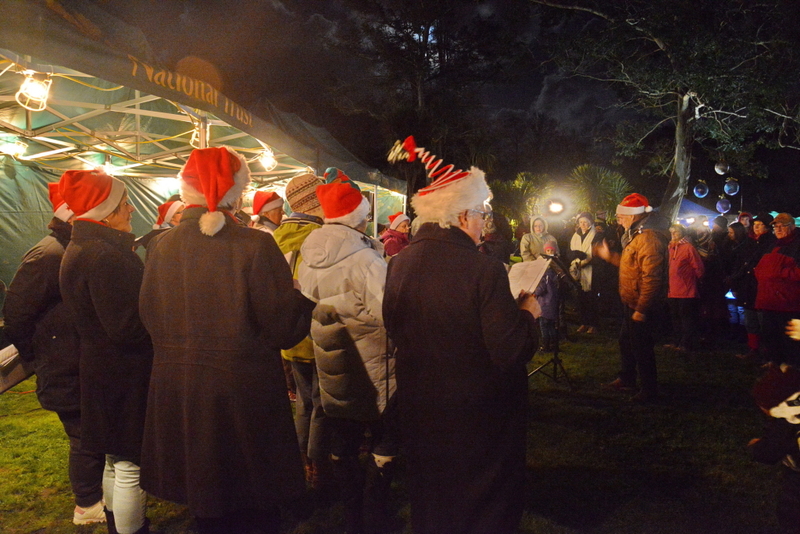 The choir performed 3 sets of carols and Christmas peices. 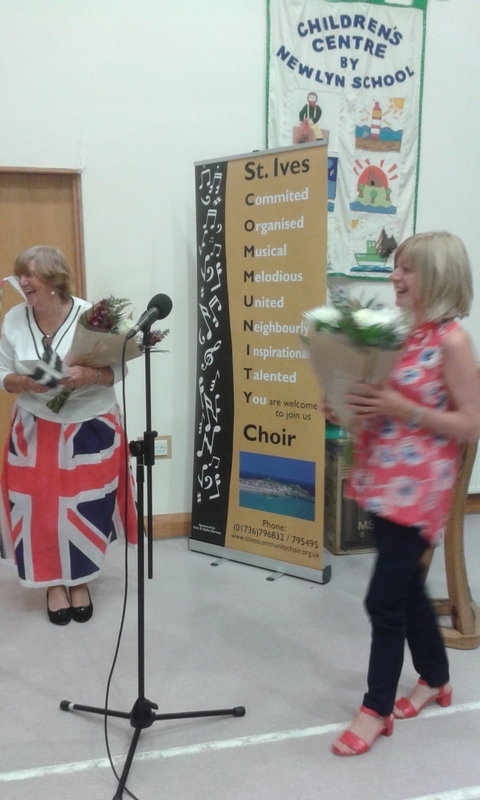 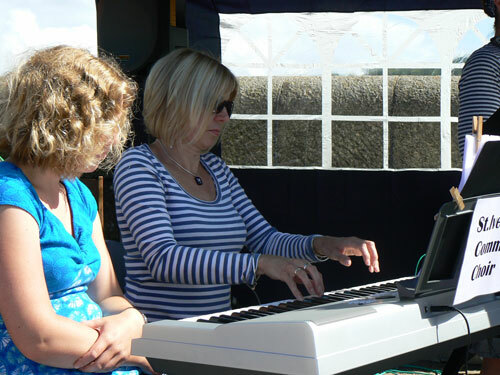 St Ives provide a musical feast in a national event. 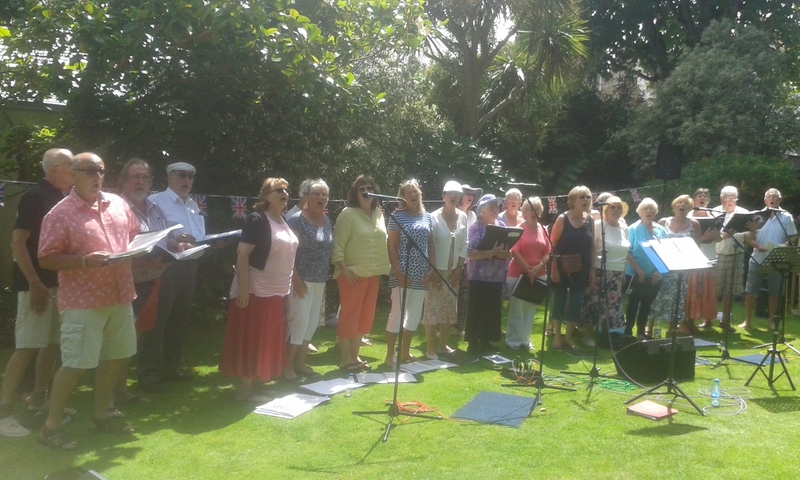 This was a very hot afternoon at Trewyn Gardens. 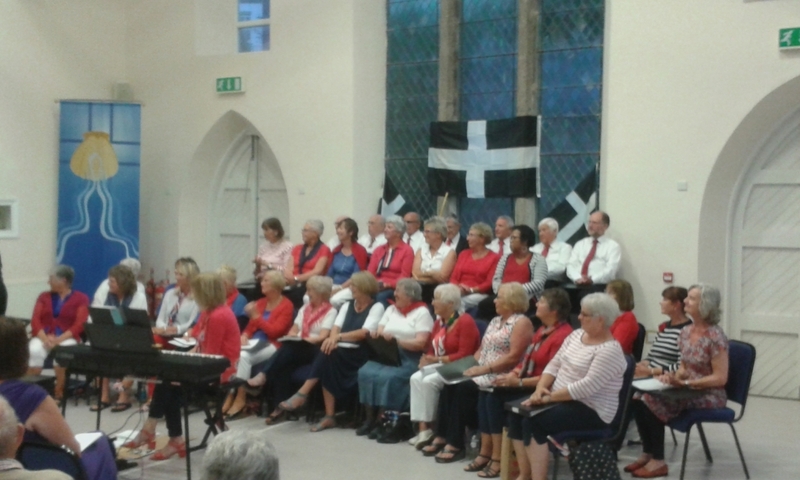 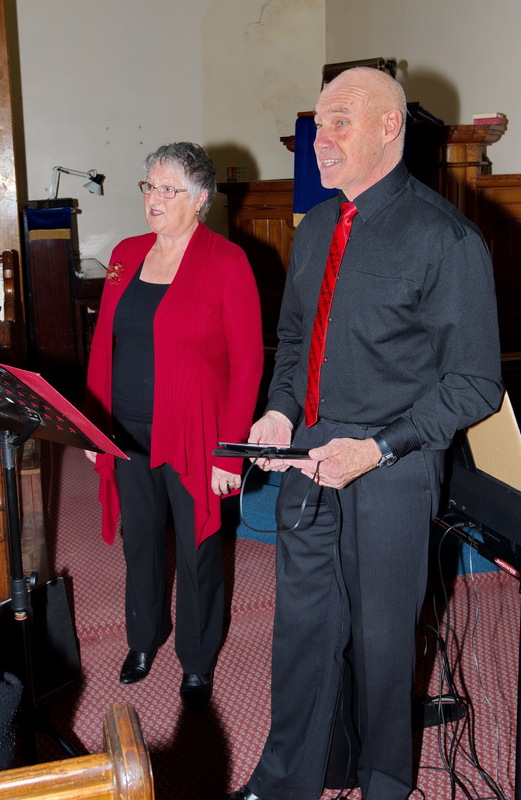 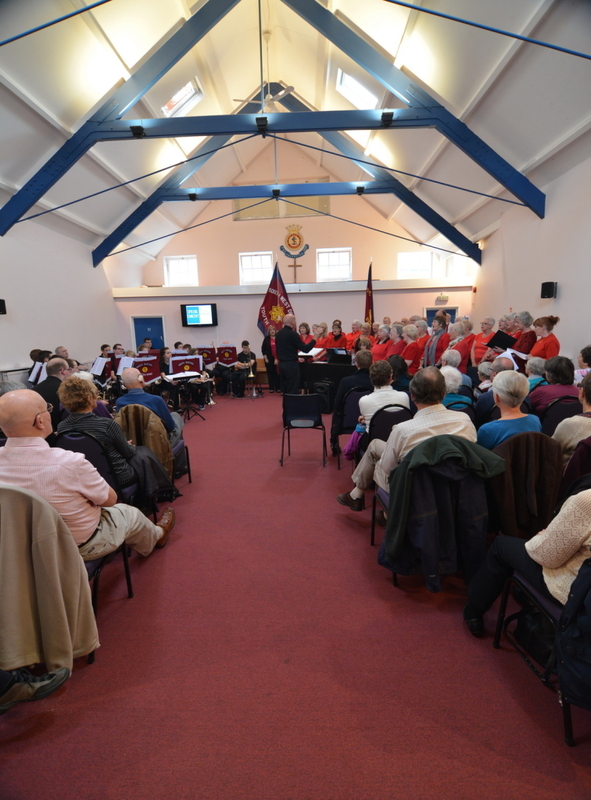 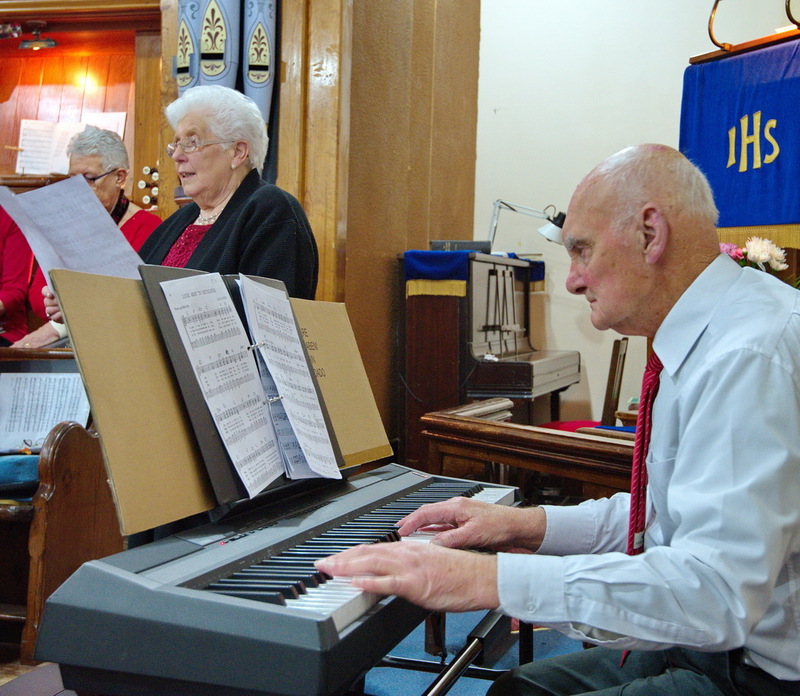 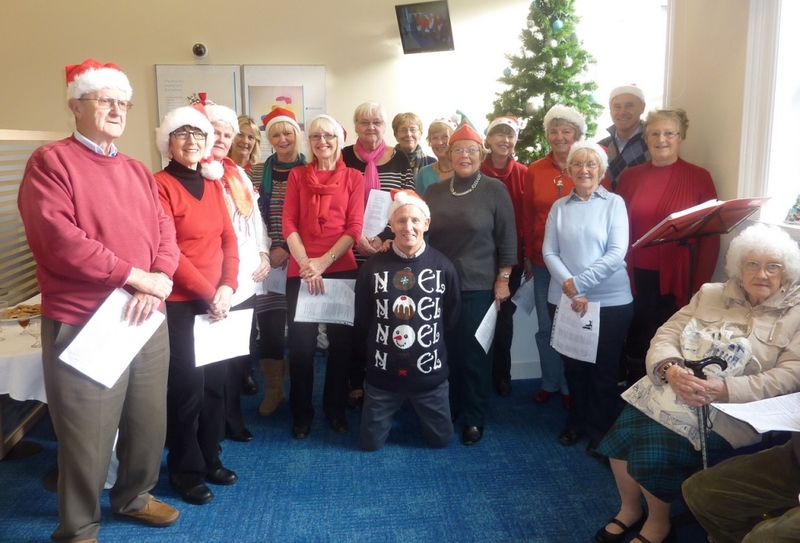 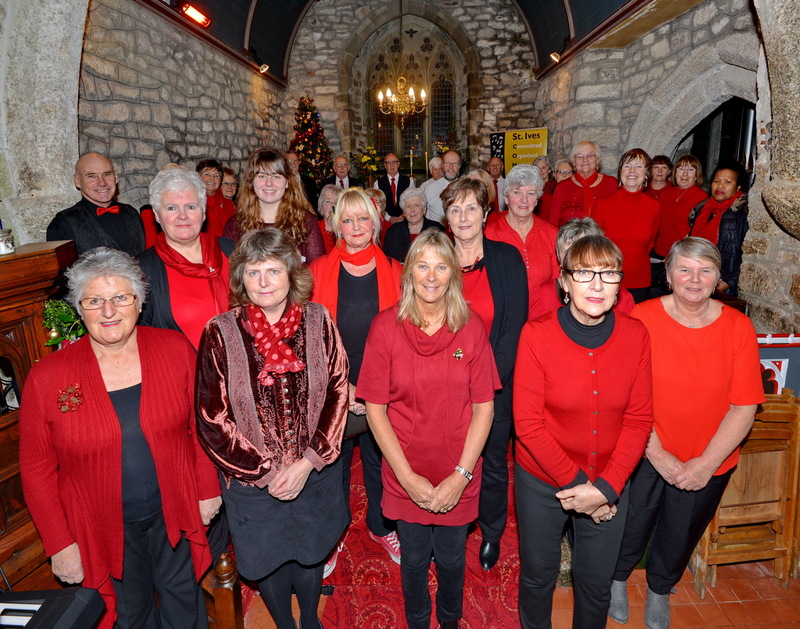 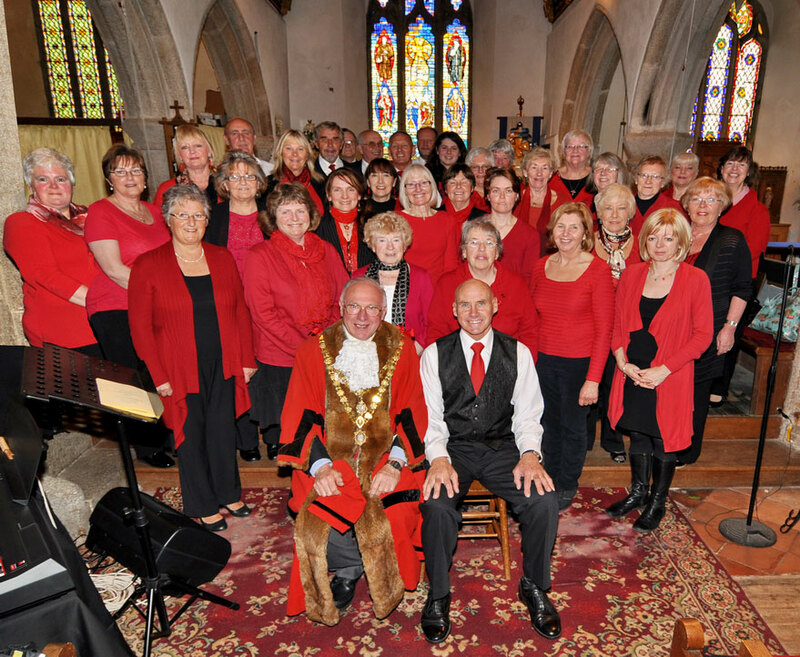 We shared with Fore Street Methodist Choir, our musical director's other choir. 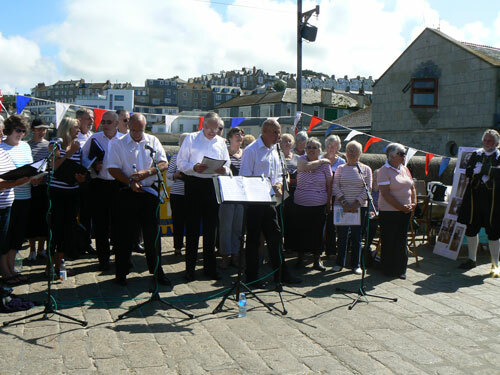 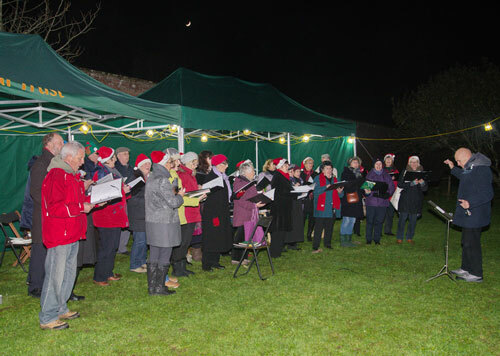 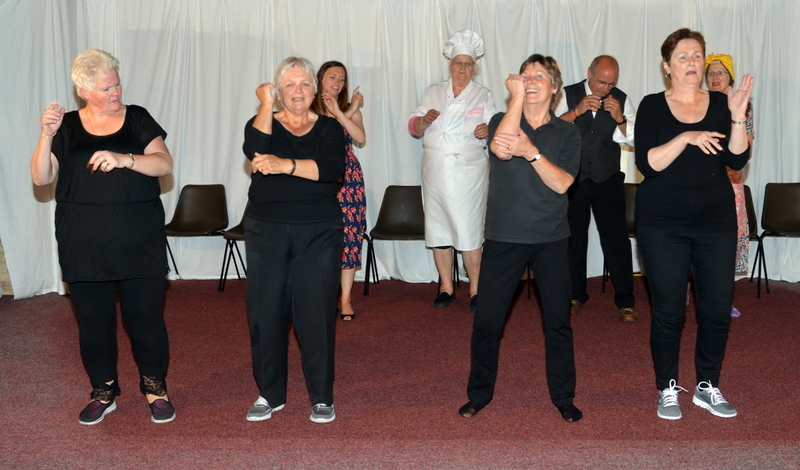 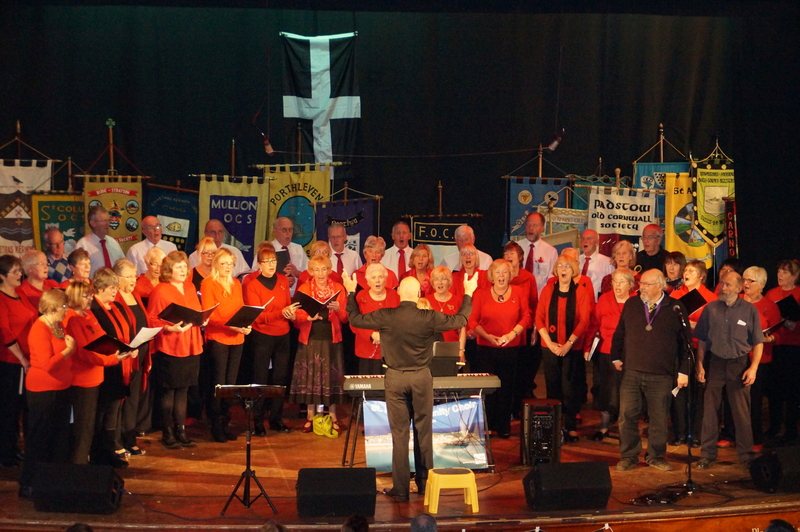 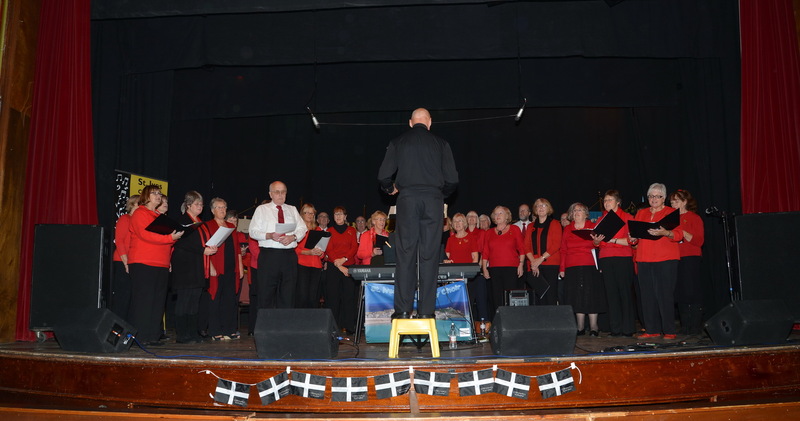 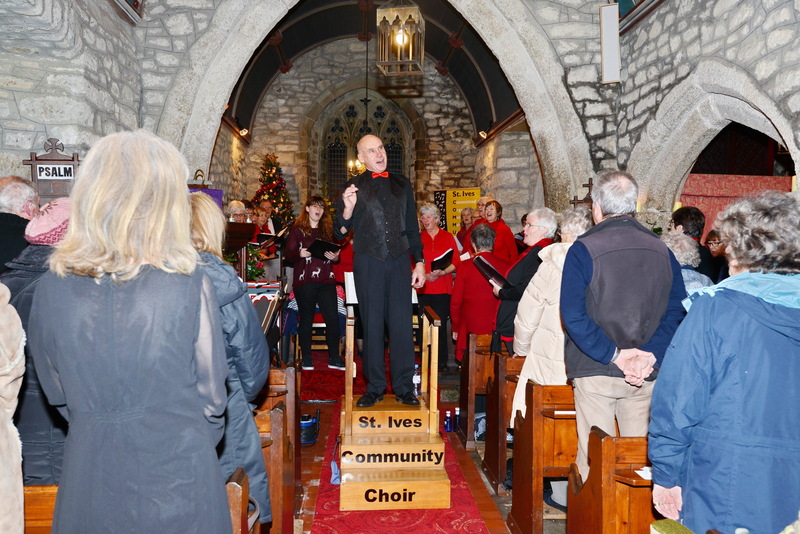 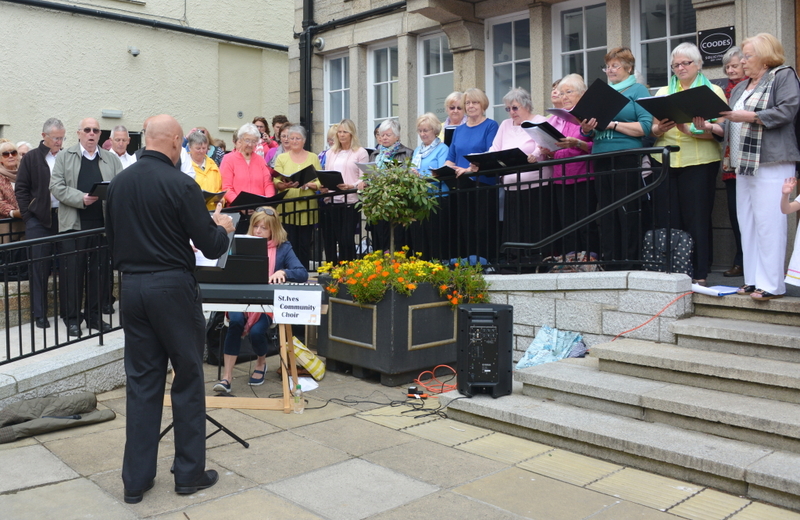 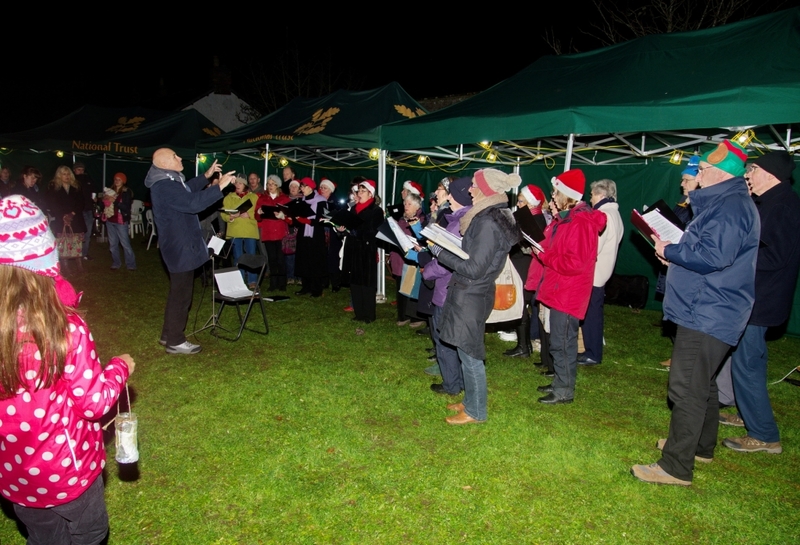 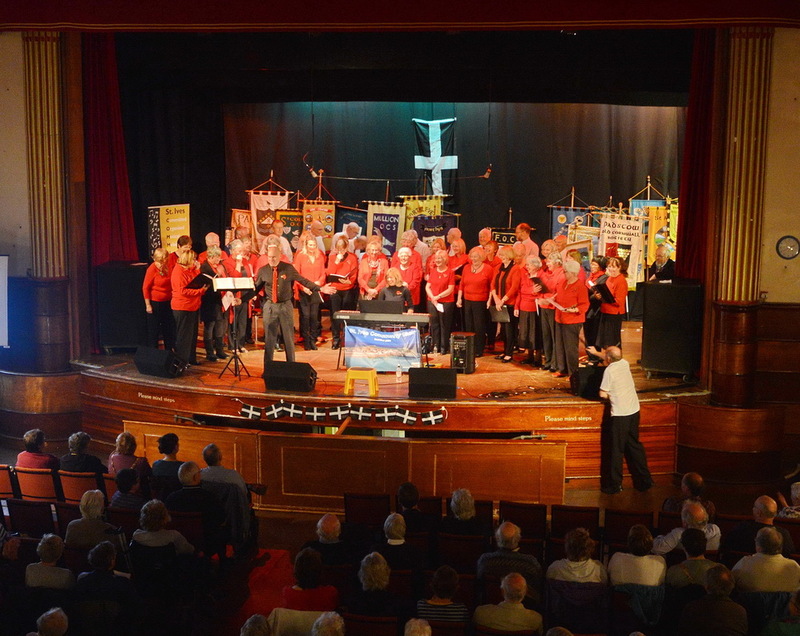 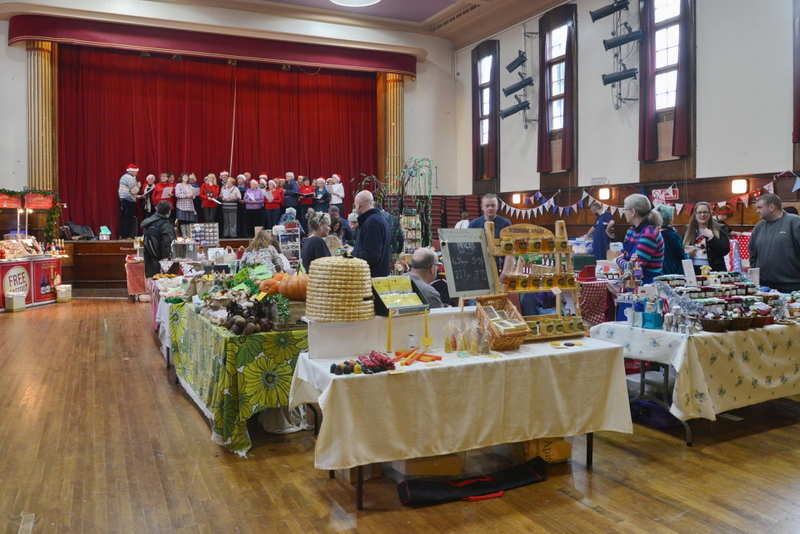 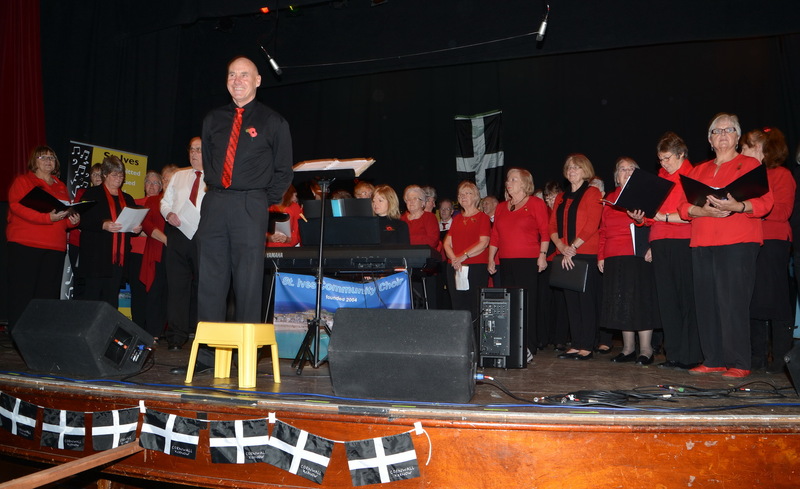 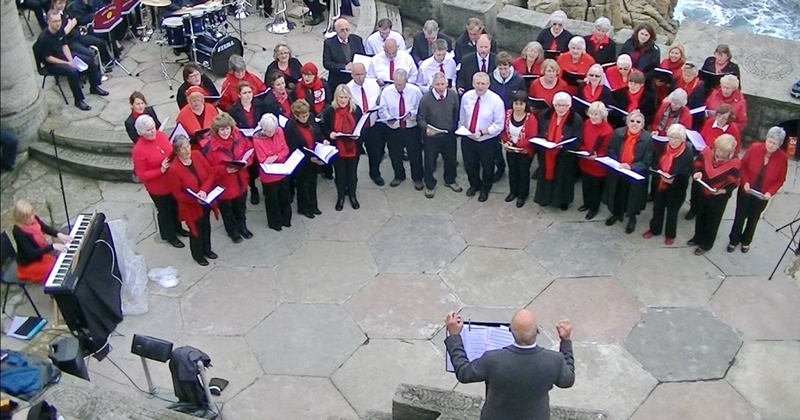 It was also supported by Menherion Singers, a ladies choir from Wendron/Carnkie and Strike Sound a men’s choir from Mid Cornwall.